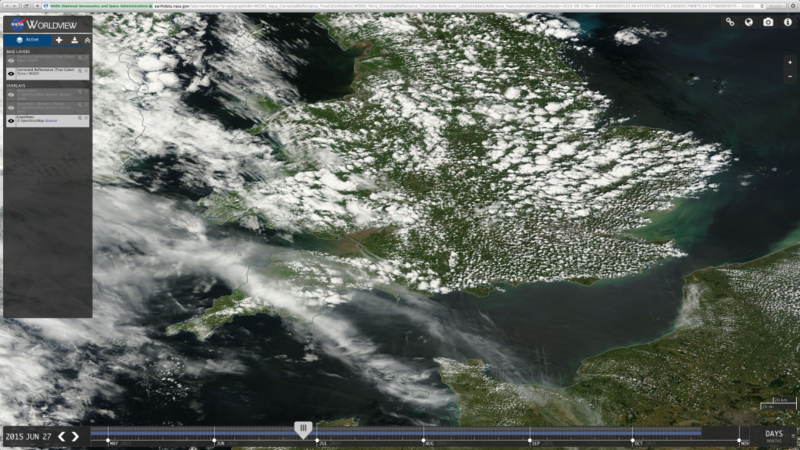 Published on: Oct 21, 2015 – we have not had a chance to update the gallery but you can view these images online at the NASA Worldview website. 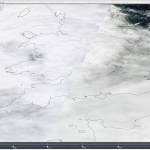 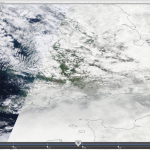 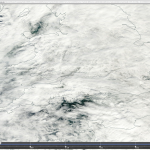 In 2015 there were 12 days which had 50% or less cloud cover over England. 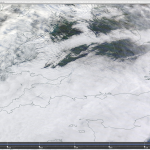 There was one day with about 10% cloud cover. 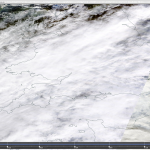 The rest were mostly cloudy with 50-100% cloud cover. 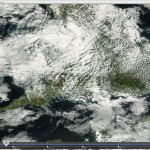 There were no days at all that were completely clear of cloud. 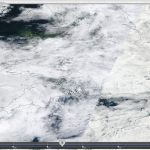 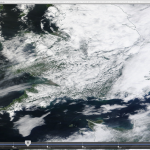 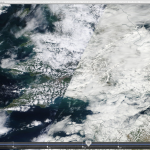 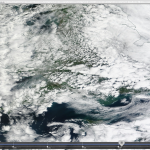 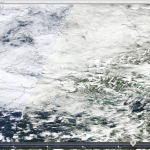 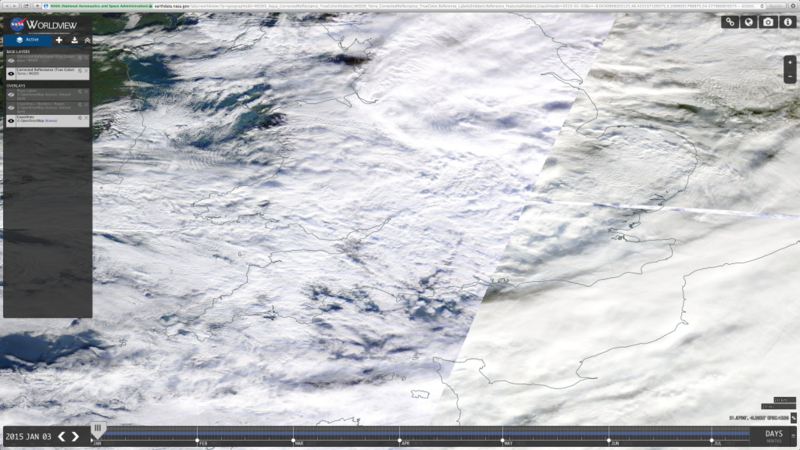 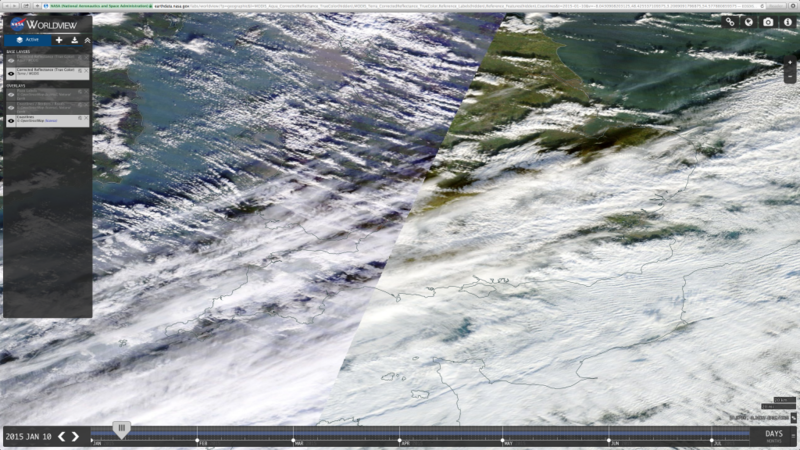 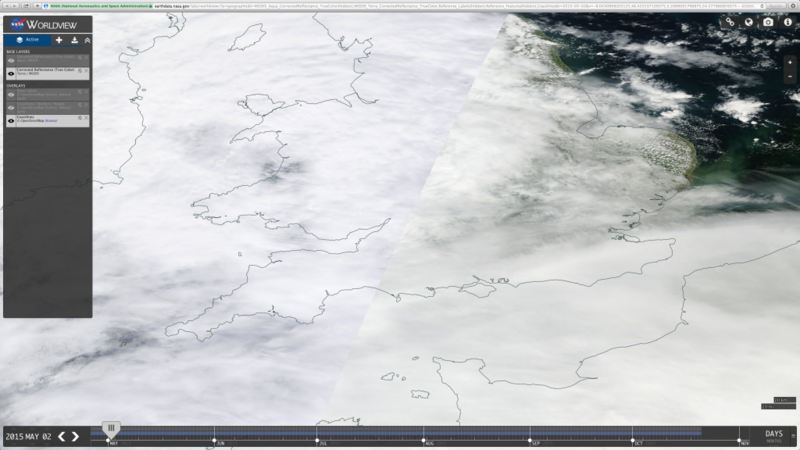 In 2013 – the first full year of images currently available – there were 13 days that were about 50% or less cloud cover, with only a couple with 10% or less. 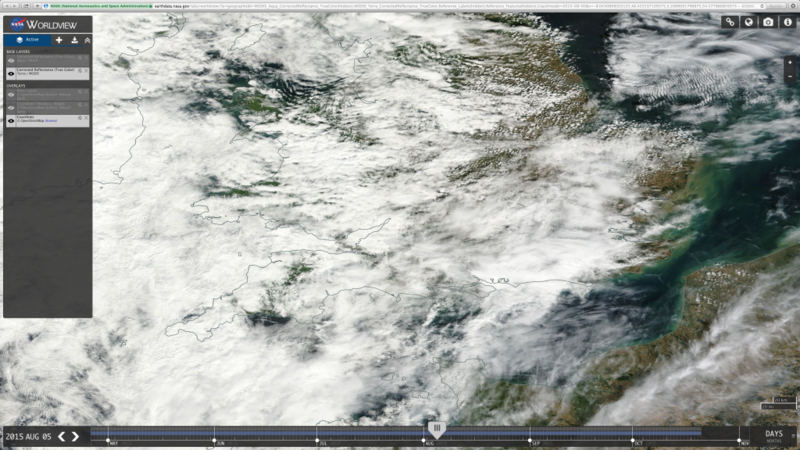 The rest were 50-100% cloud cover. 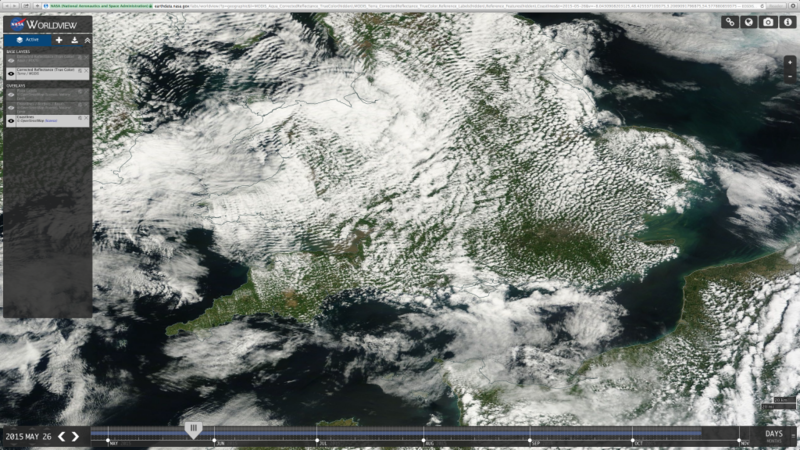 There were no days completely clear of cloud. 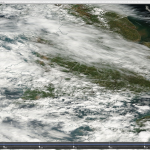 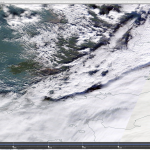 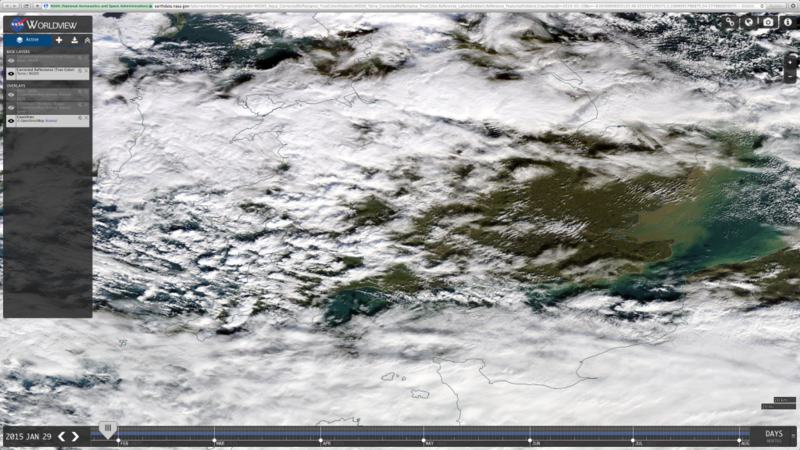 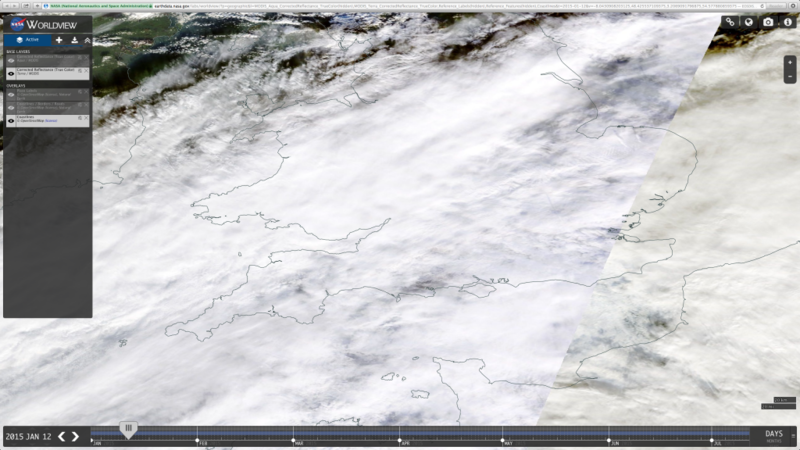 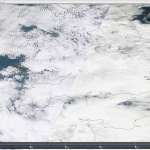 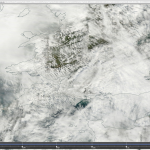 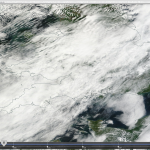 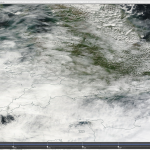 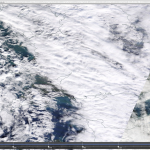 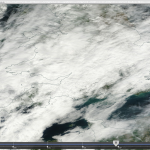 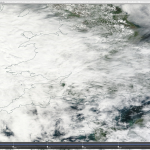 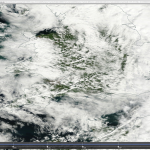 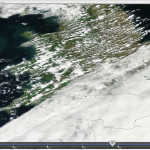 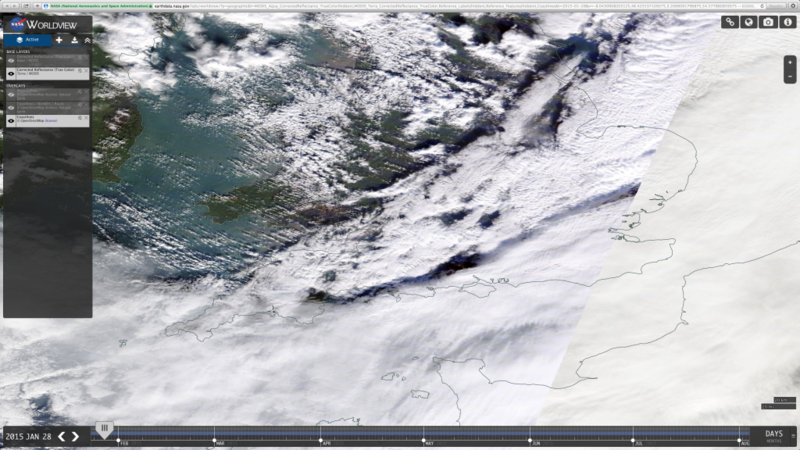 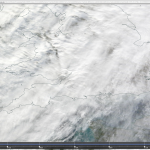 Even on the days where the satellite image shows a reasonably cloud free day, the image may have been taken very early before the cloud cover had been produced, so it is possible that there simply are no completely clear days anymore. 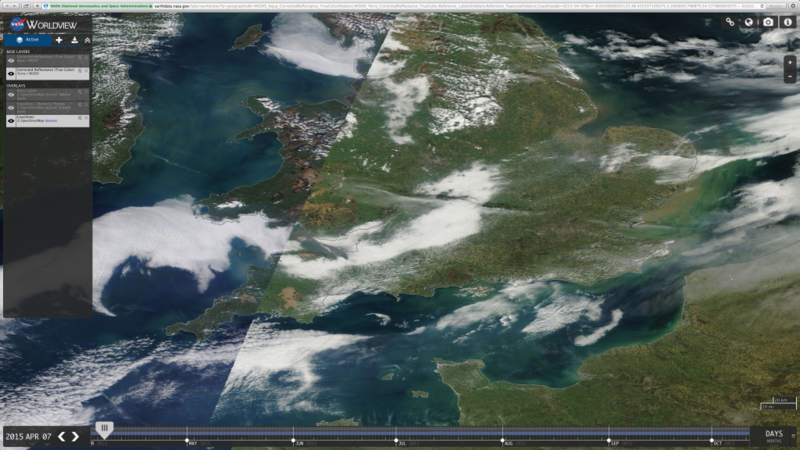 There is a way to discover the time the images were taken but we have not had the chance to do this yet and to be honest it matter not. 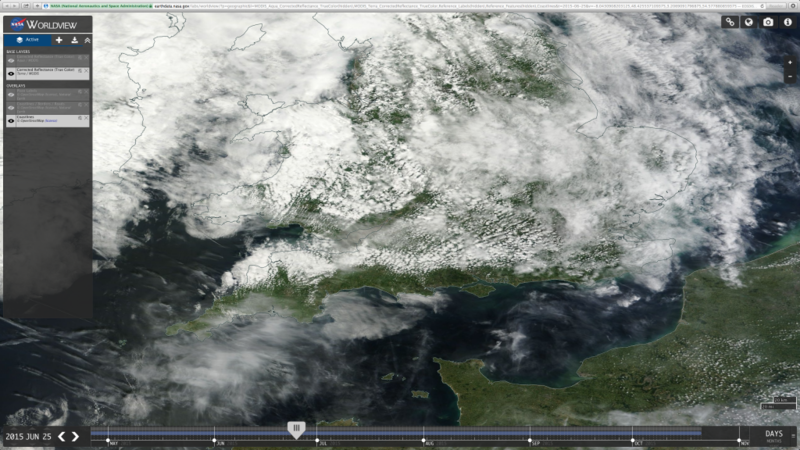 No clear day at all is enough information for us. 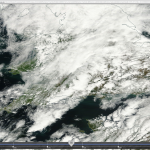 Incredible as that sounds, go see for yourself. 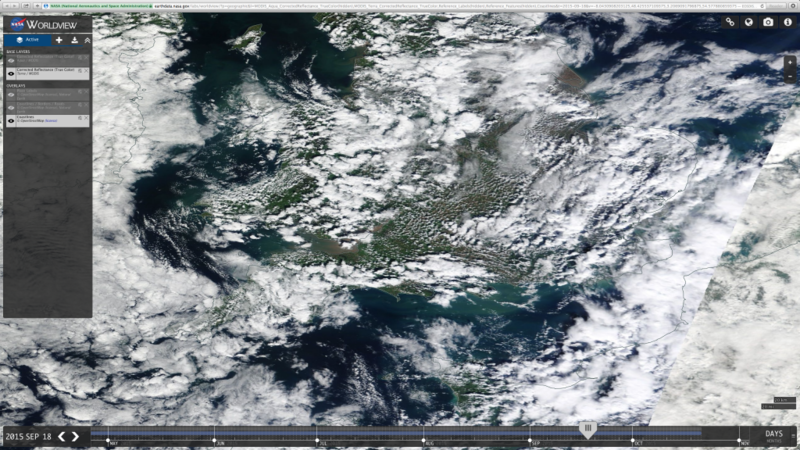 Unfortunately NASA only publish images from mid 2012. 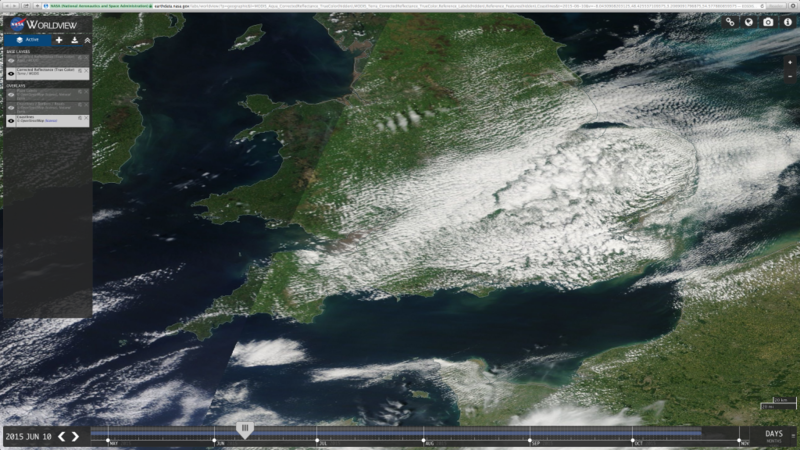 It would be extremely interesting to see images from the 1970s and 1980.
cheap clomid and nolvadex http://thehandrailpeople.co.uk/research/index.html Why are there so many clouds? 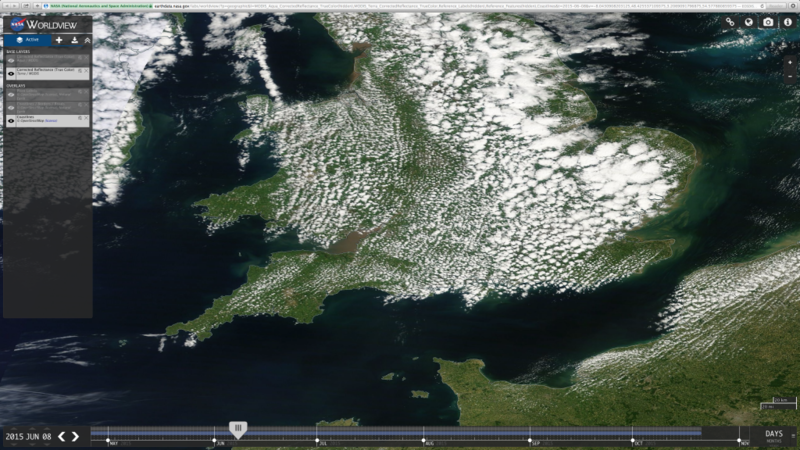 Approximately 70% of the earth’s surface is covered by clouds at any given time. 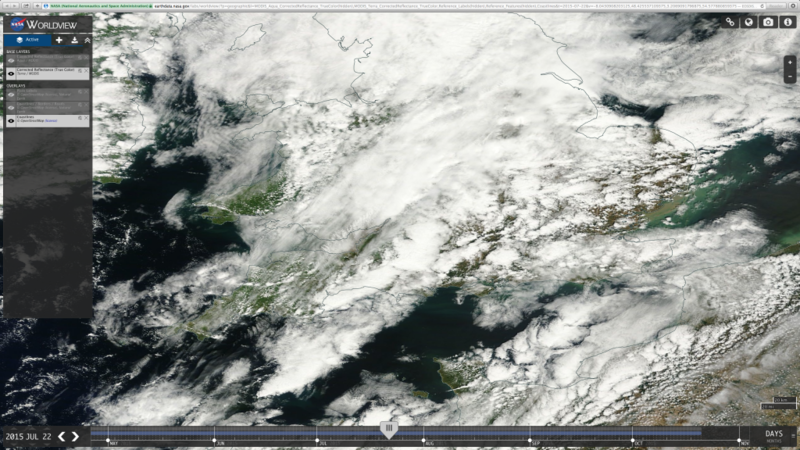 That means there is a good chance that the region you want to see will have some cloud cover. 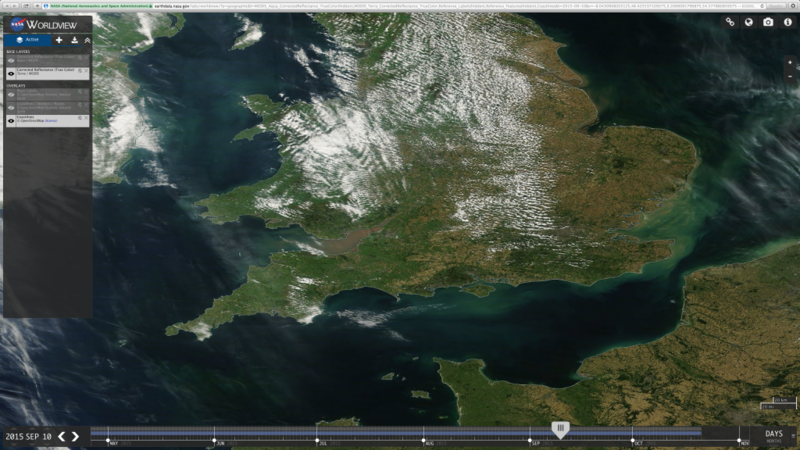 Use the time slider at the bottom of Worldview to view other dates. 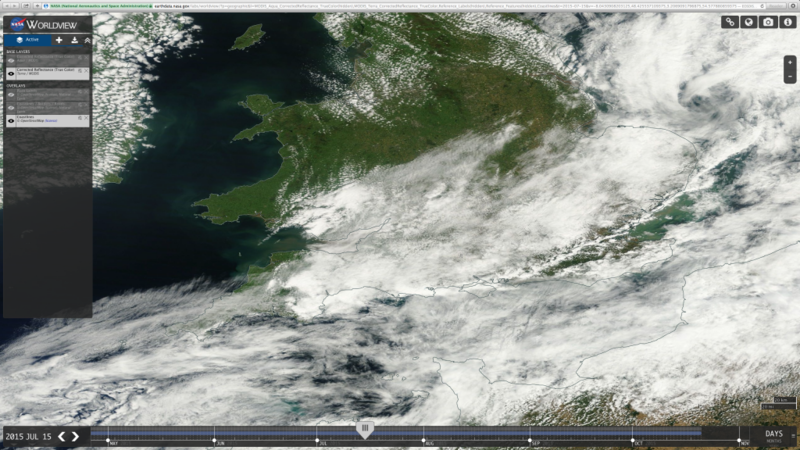 Most of that cloud was induced cloud produced by aviation. 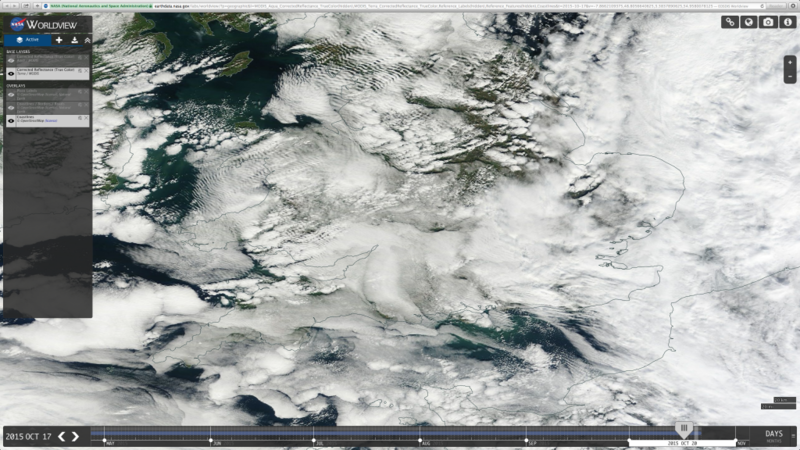 Some scientists will try to tell that’s because of global warming, but the arguments don’t make sense. 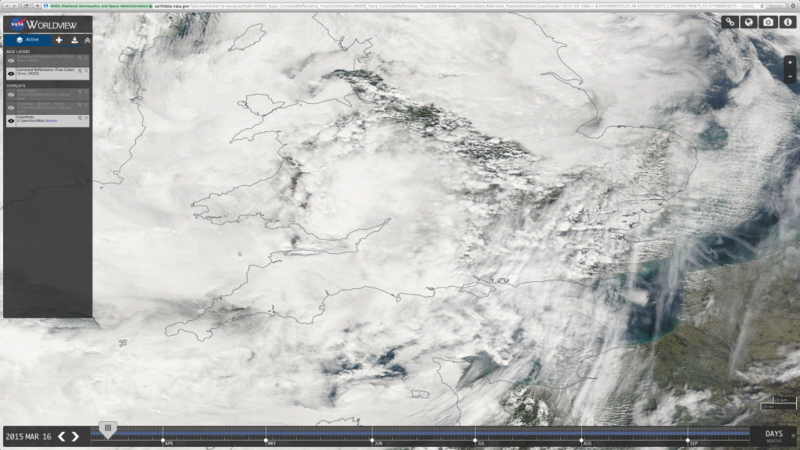 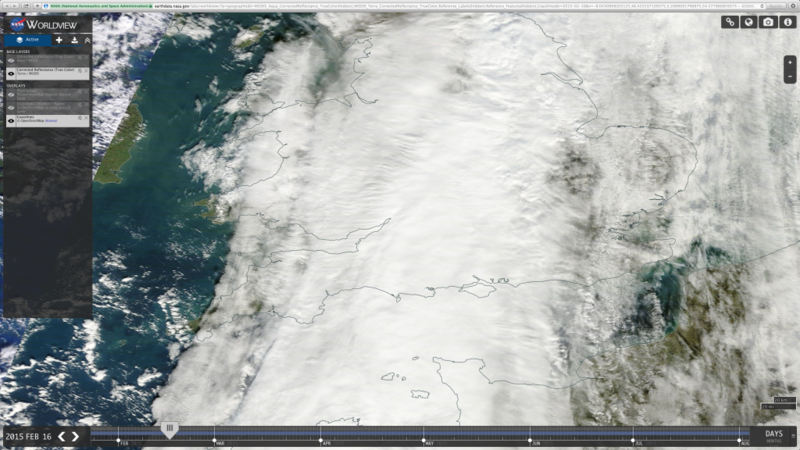 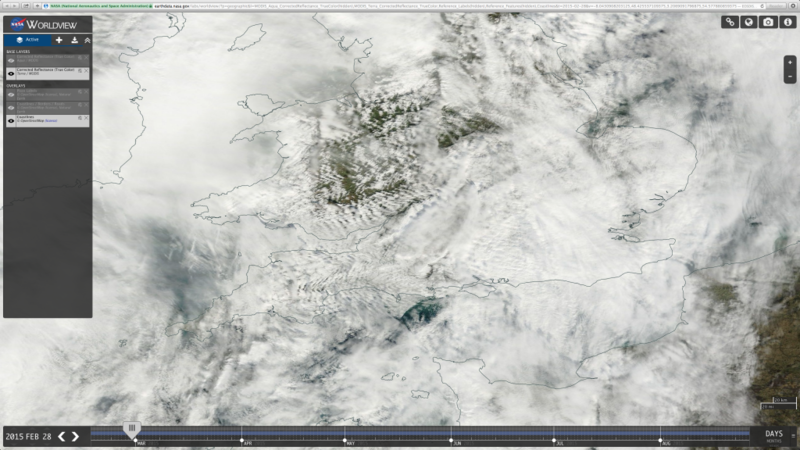 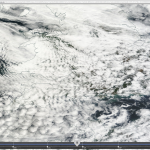 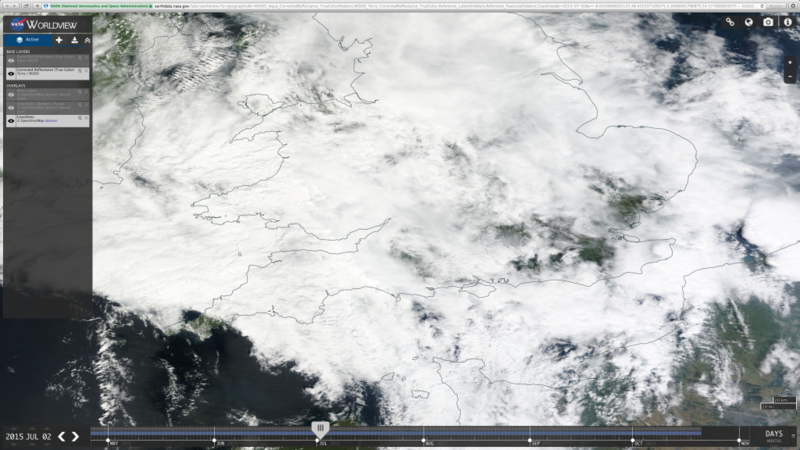 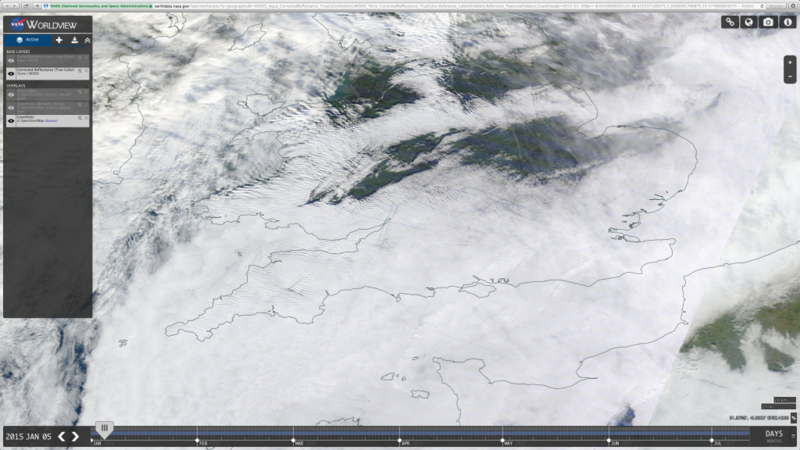 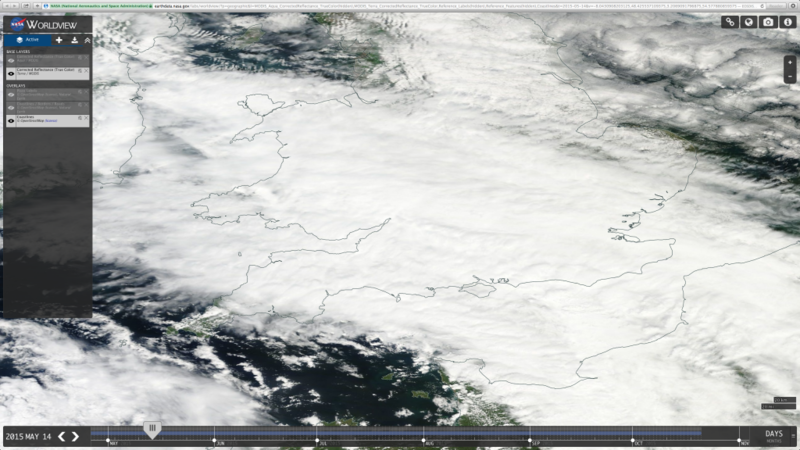 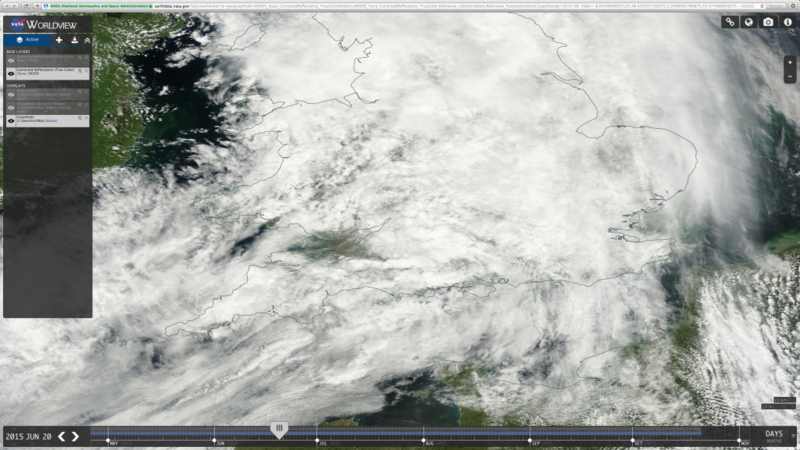 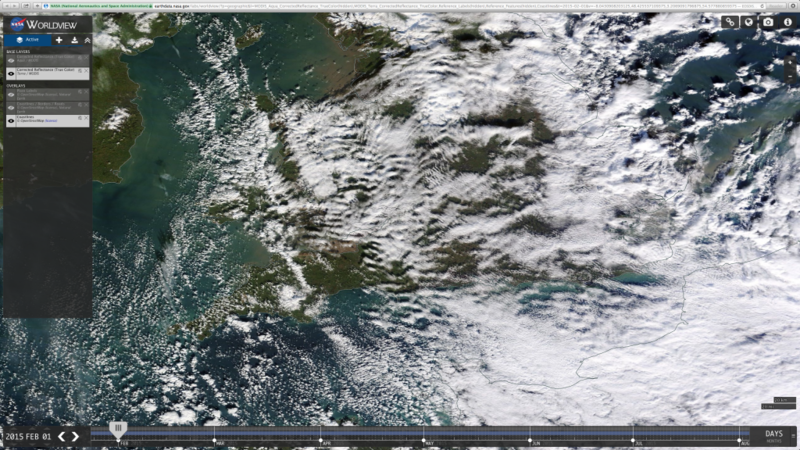 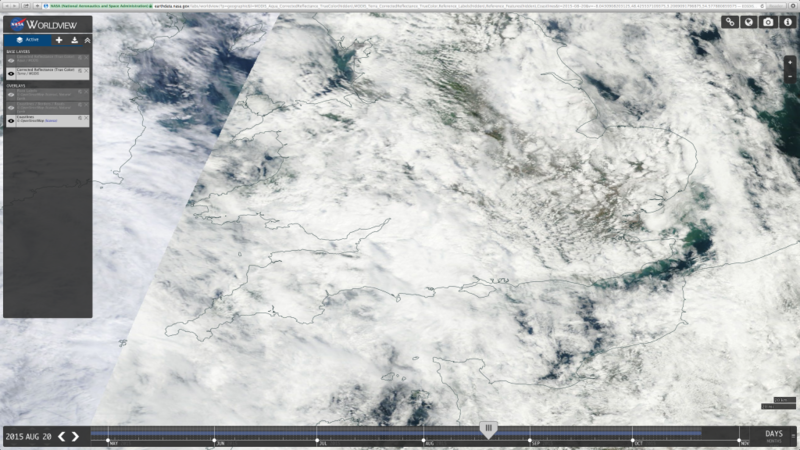 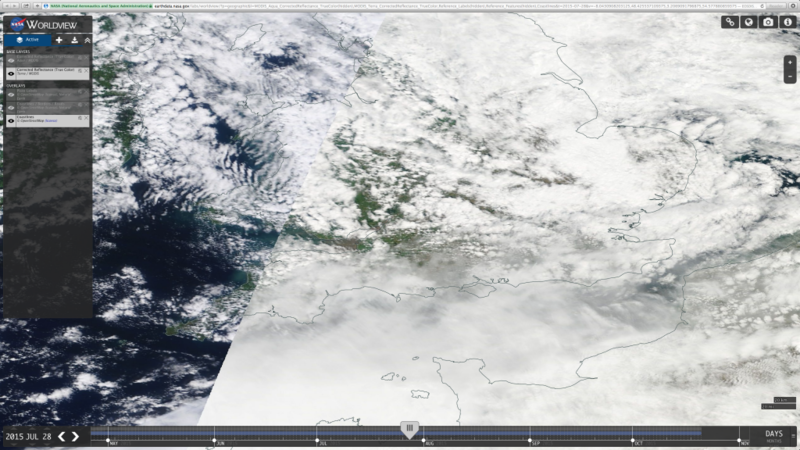 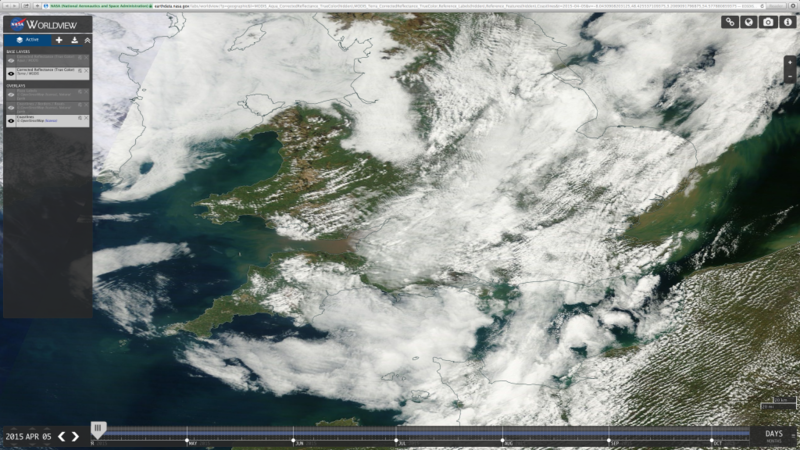 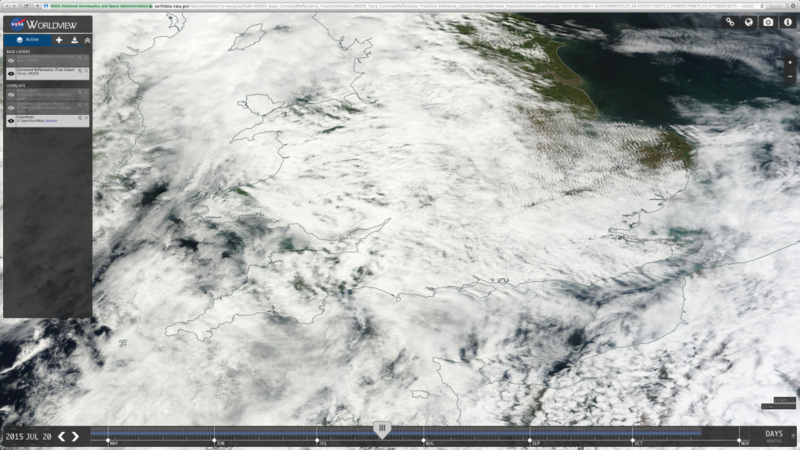 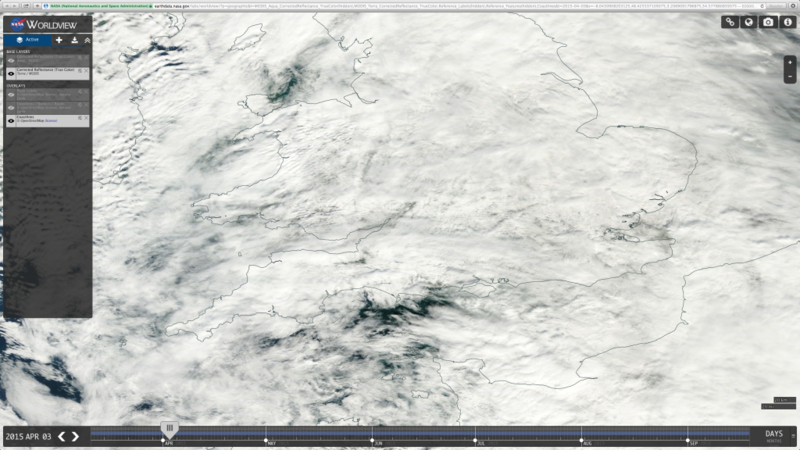 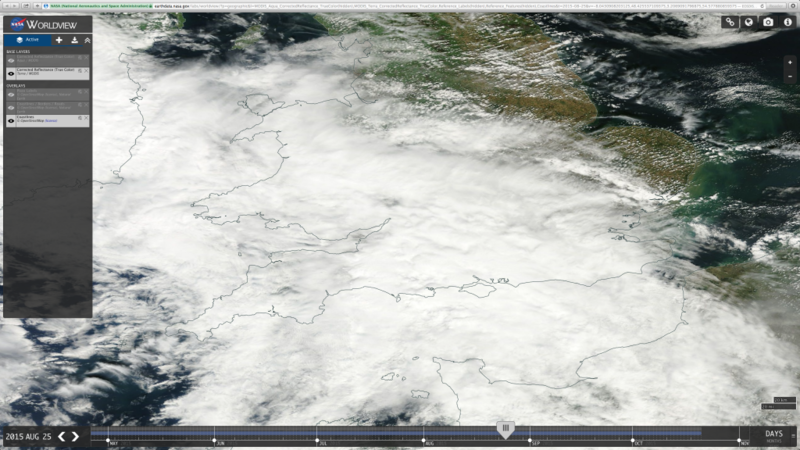 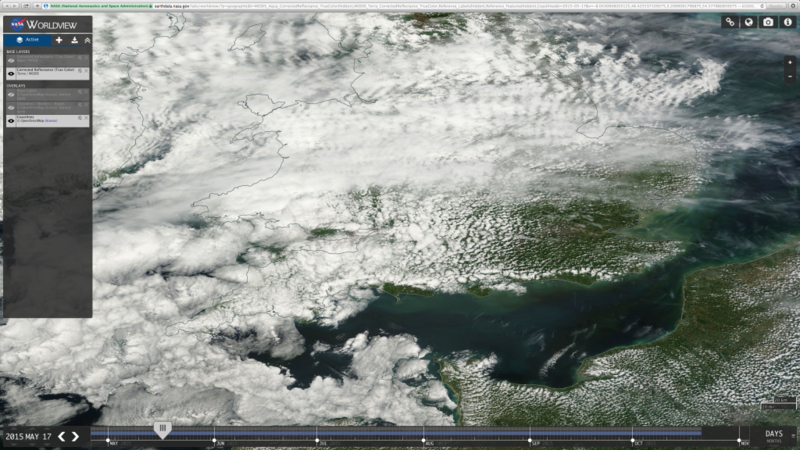 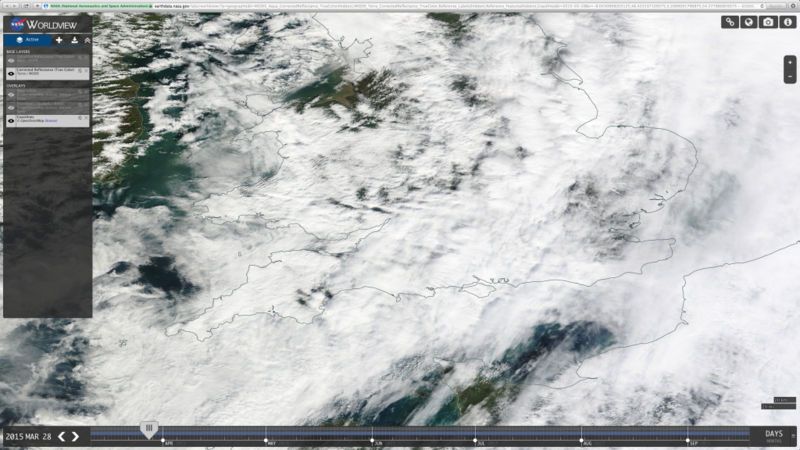 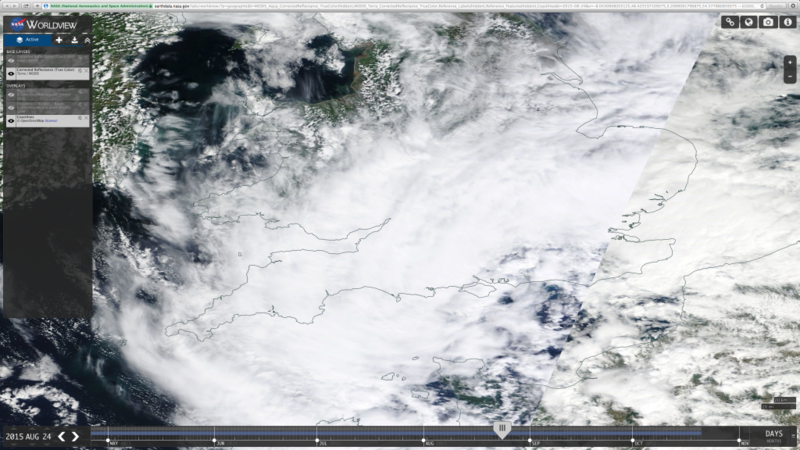 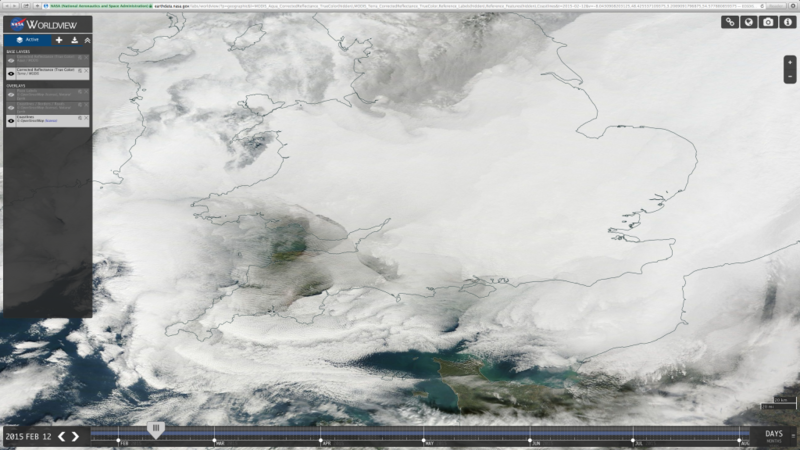 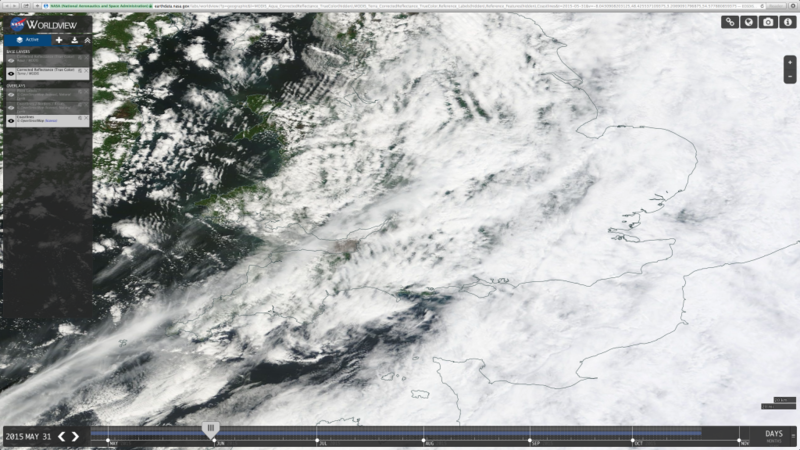 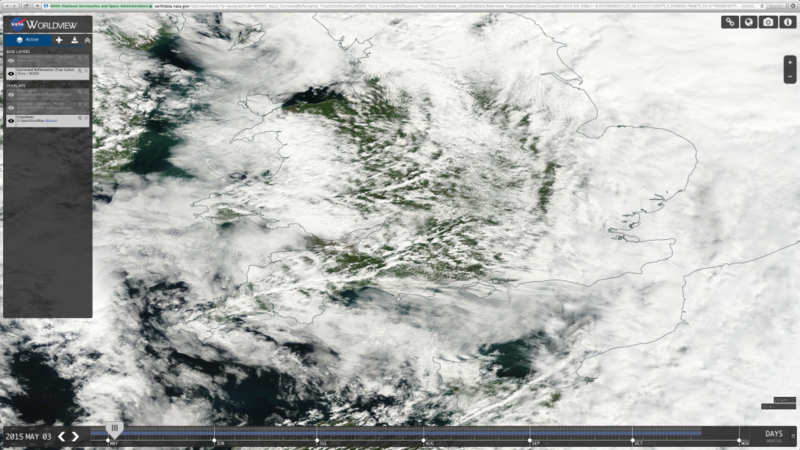 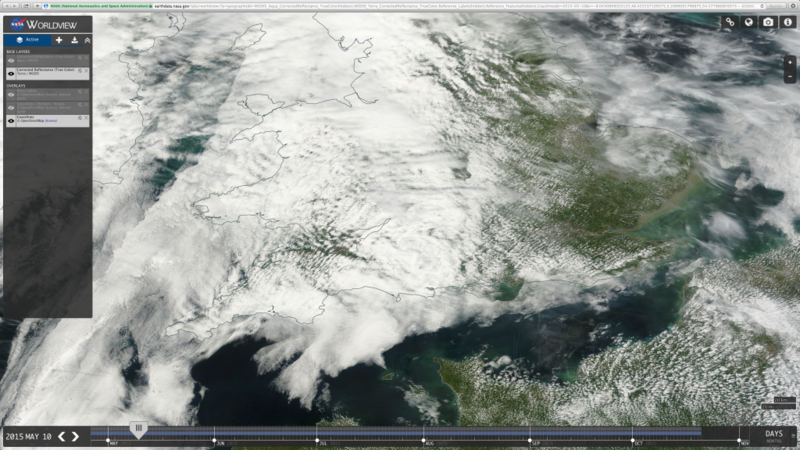 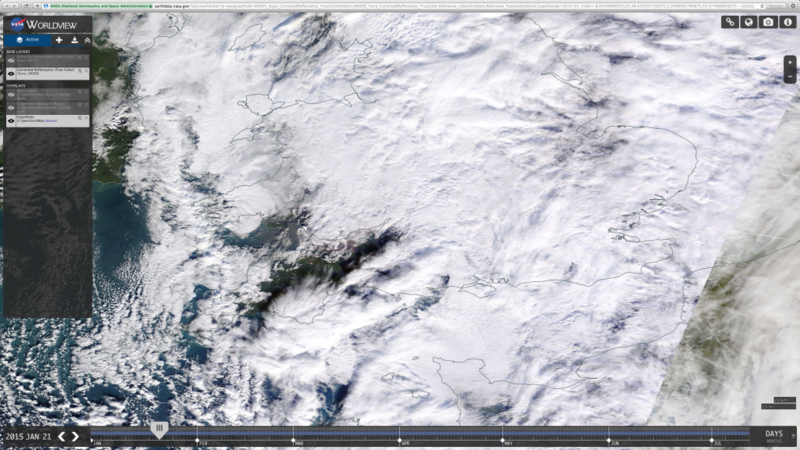 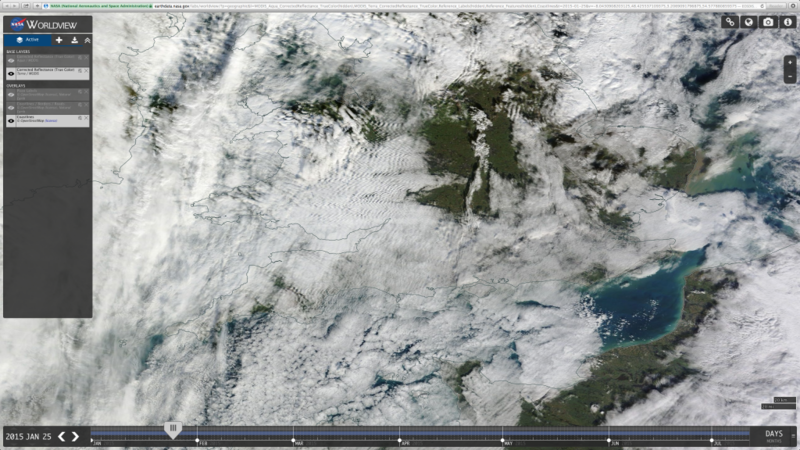 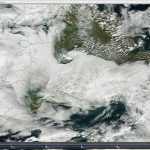 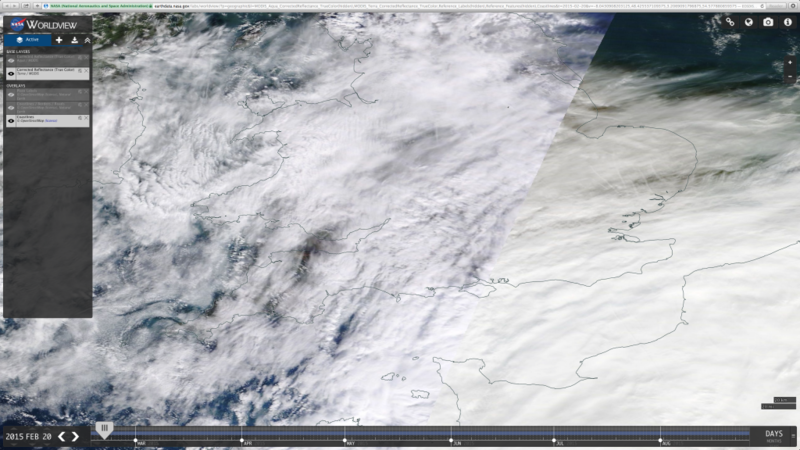 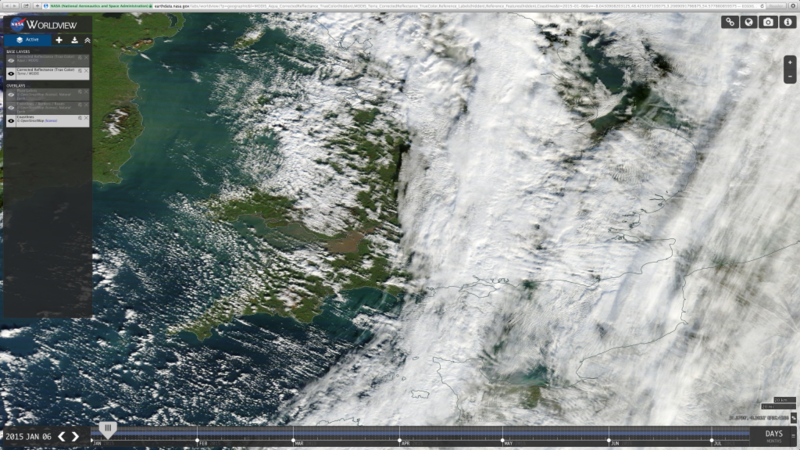 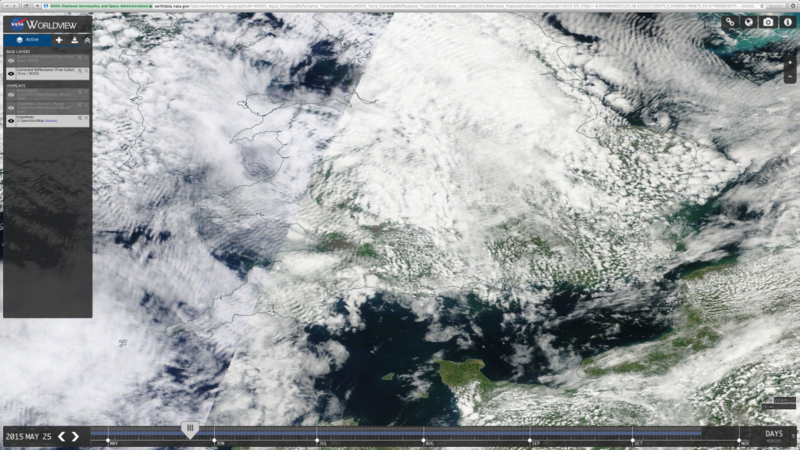 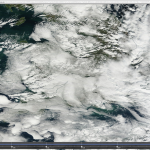 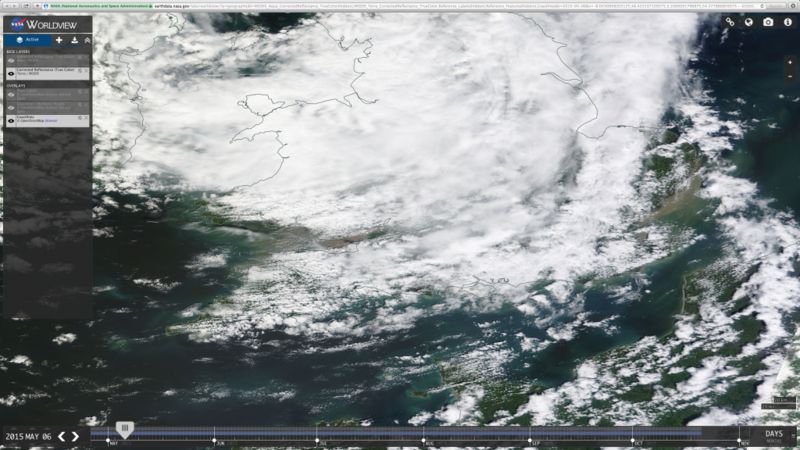 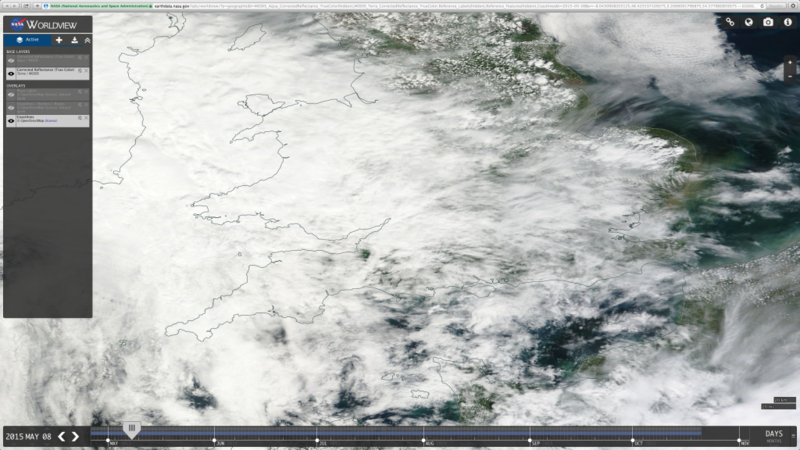 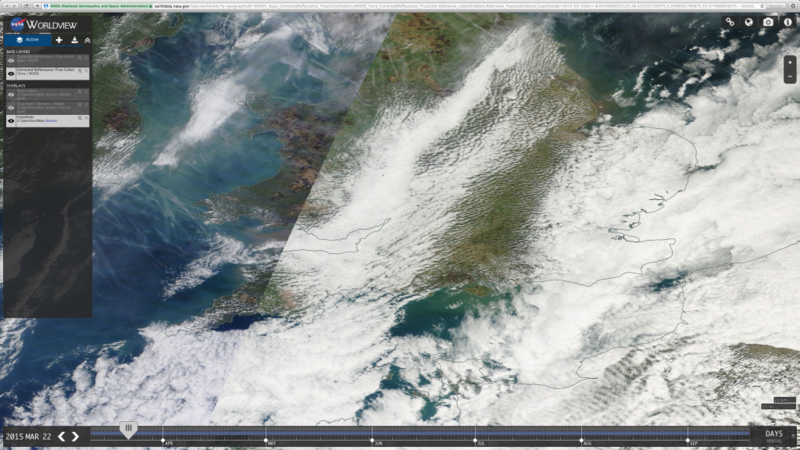 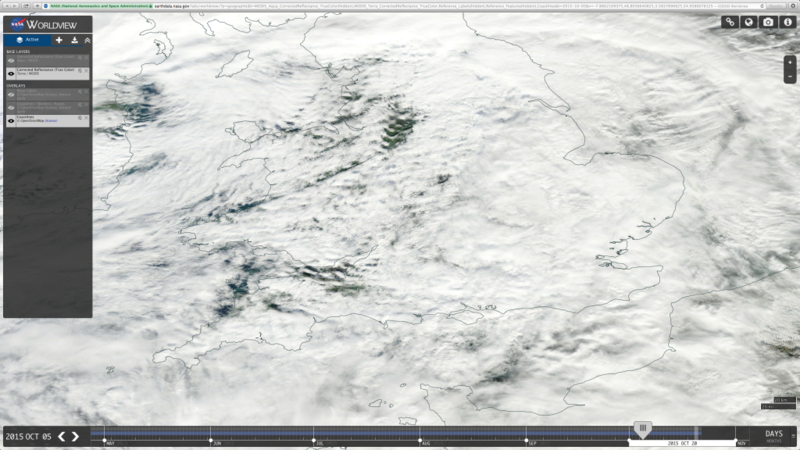 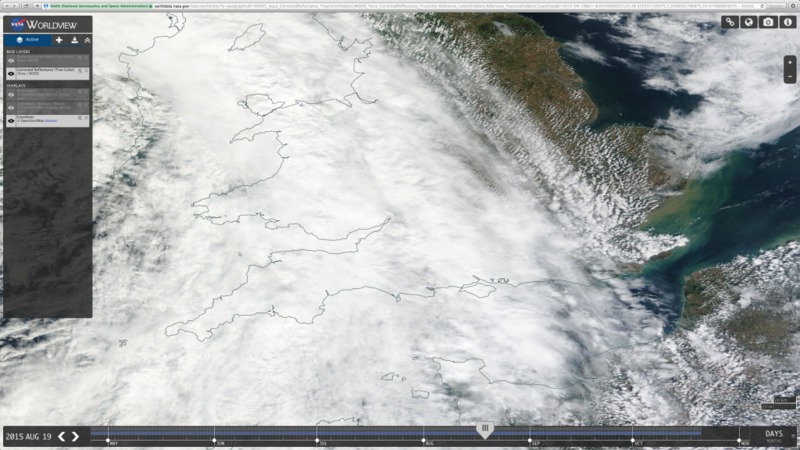 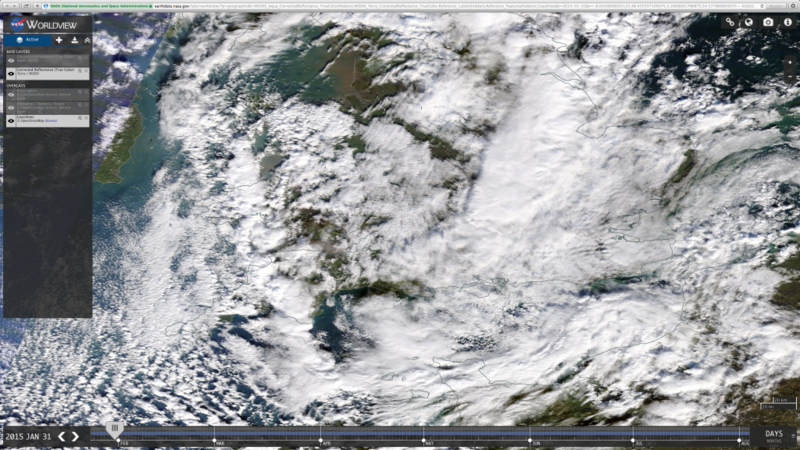 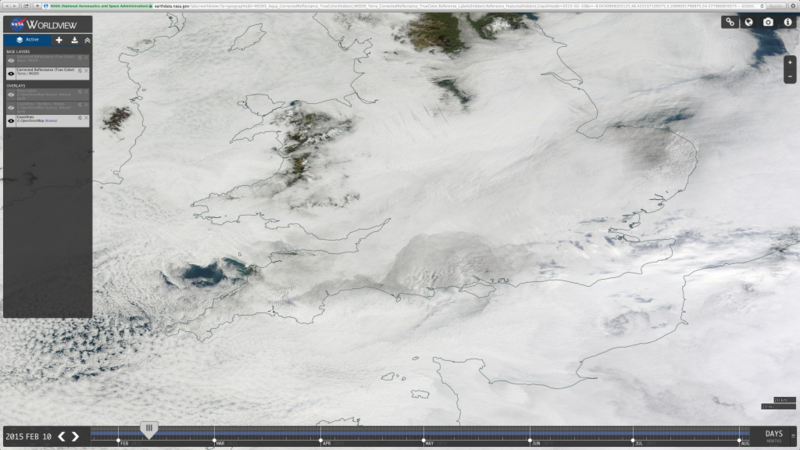 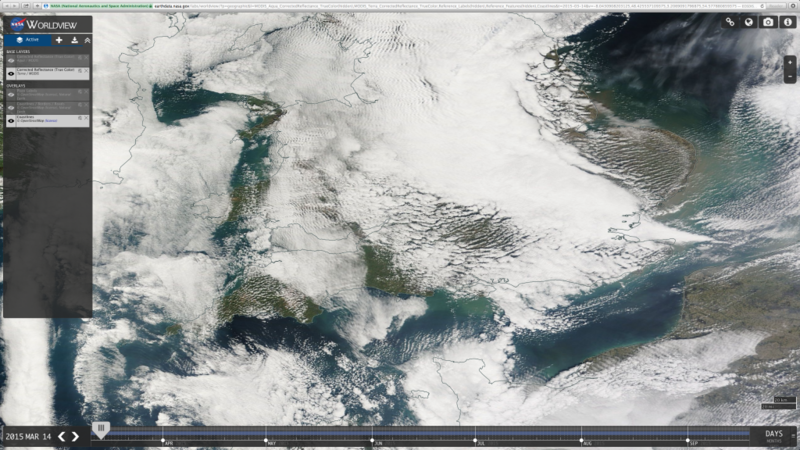 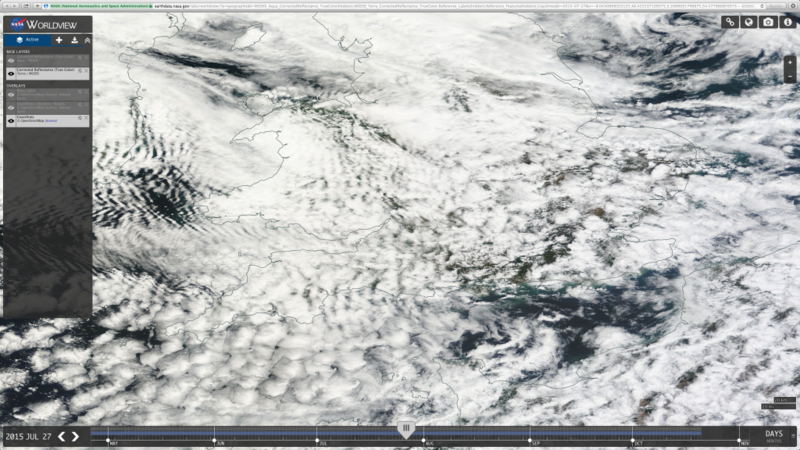 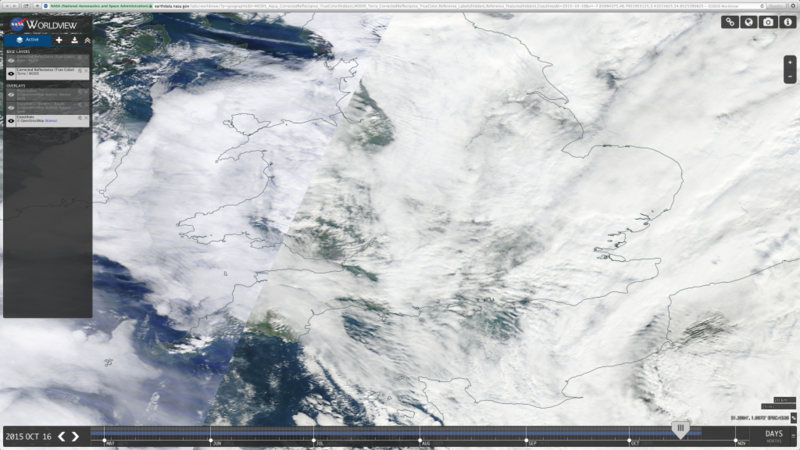 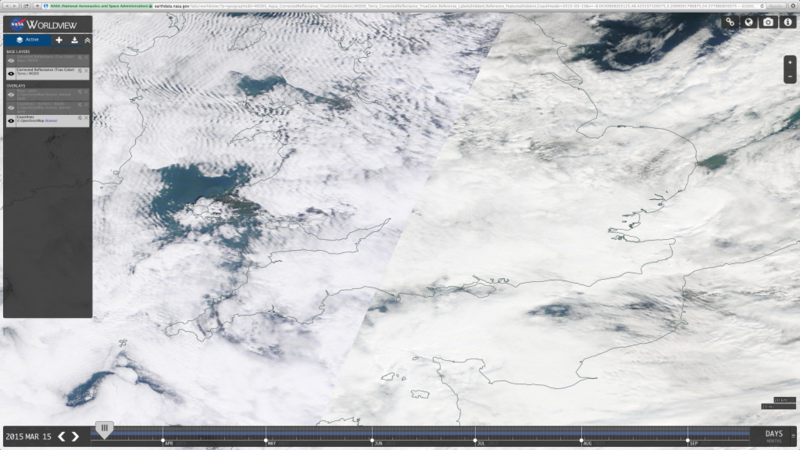 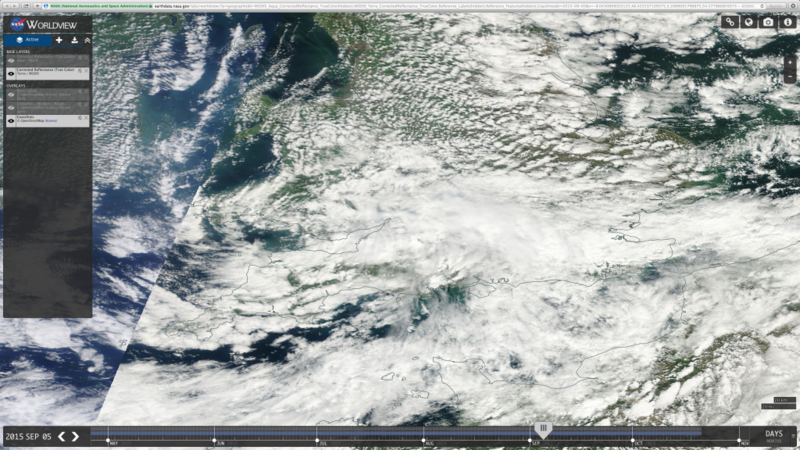 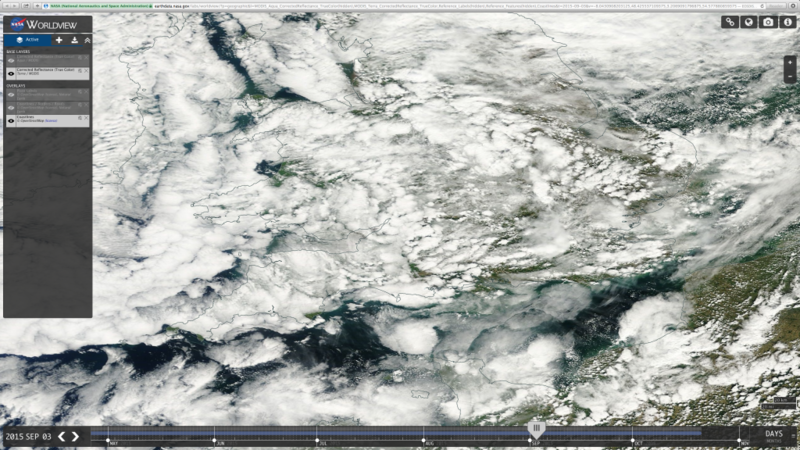 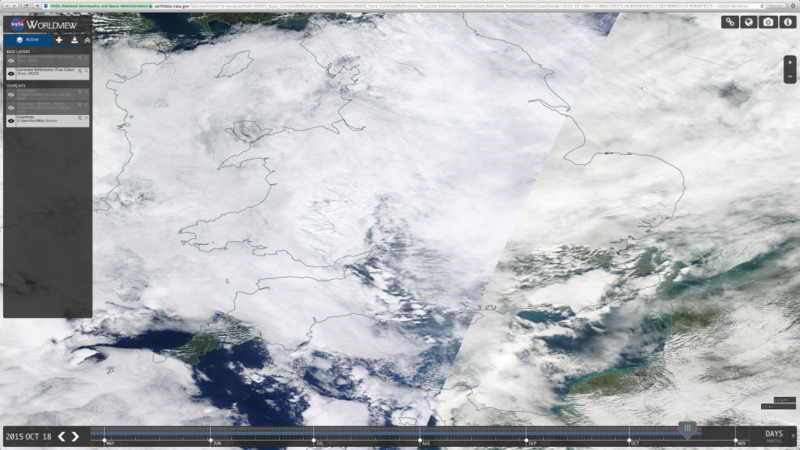 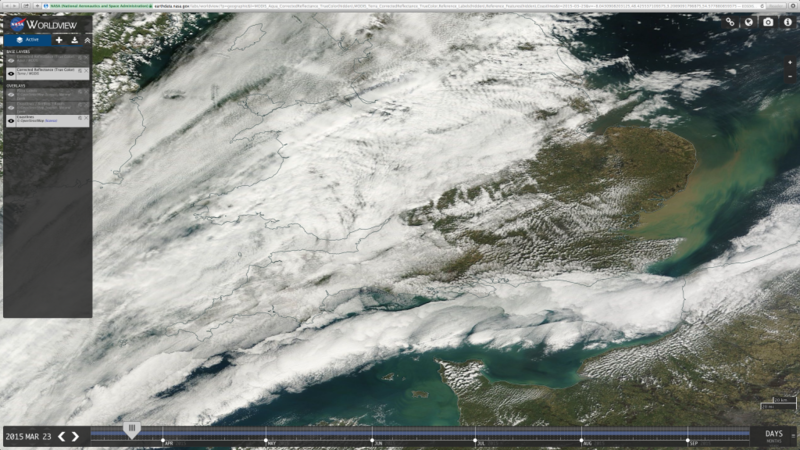 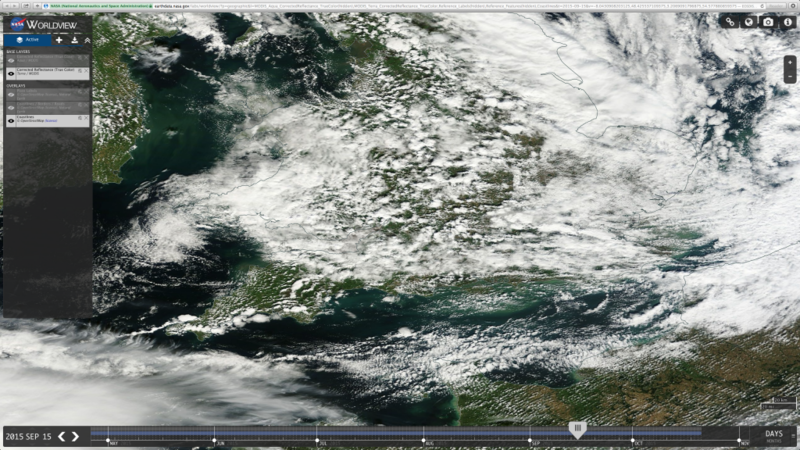 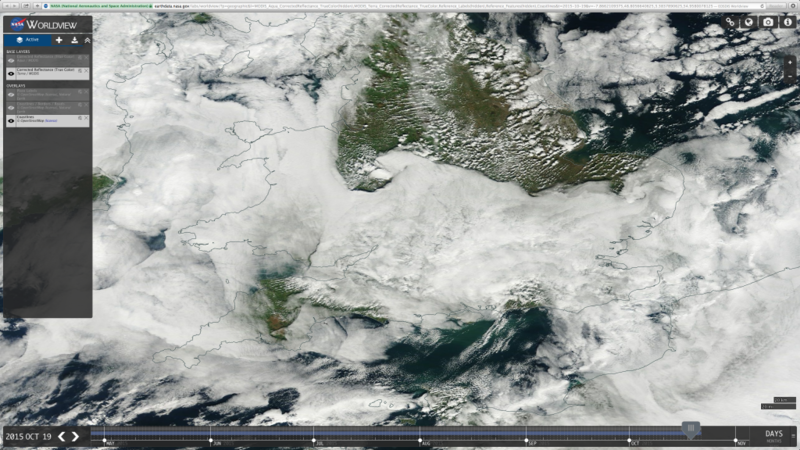 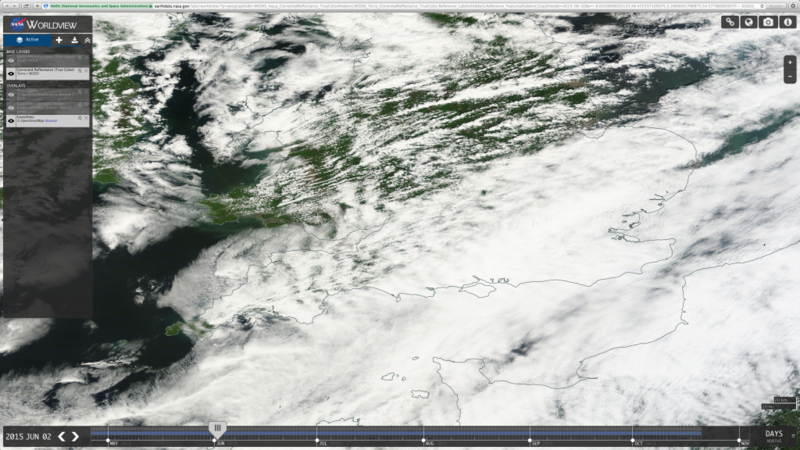 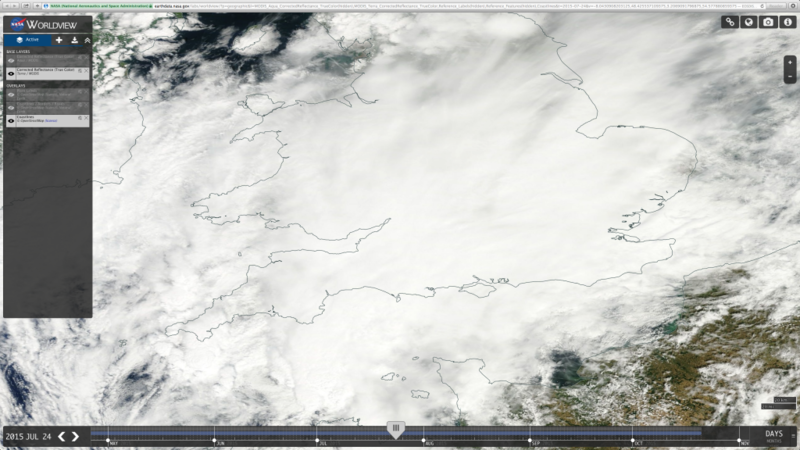 There is no natural process that is happening now that can create such vast cloud cover over the UK. 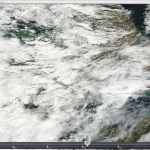 Average temperatures on land or sea have not warmed, so why is there so much cloud? 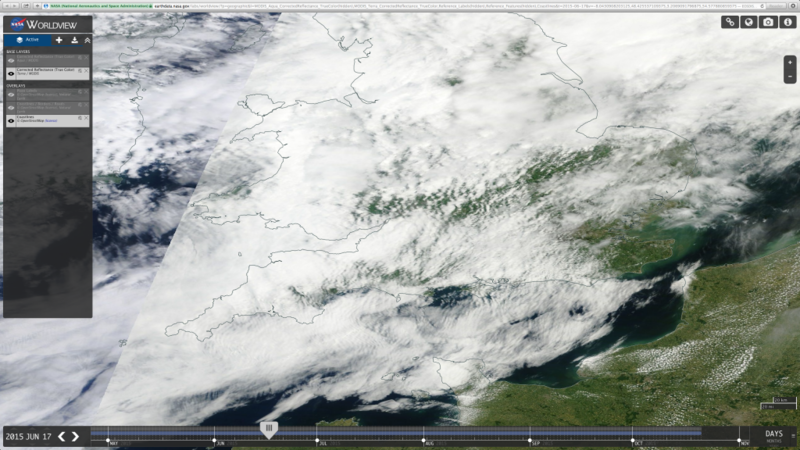 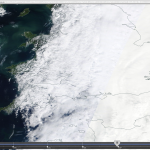 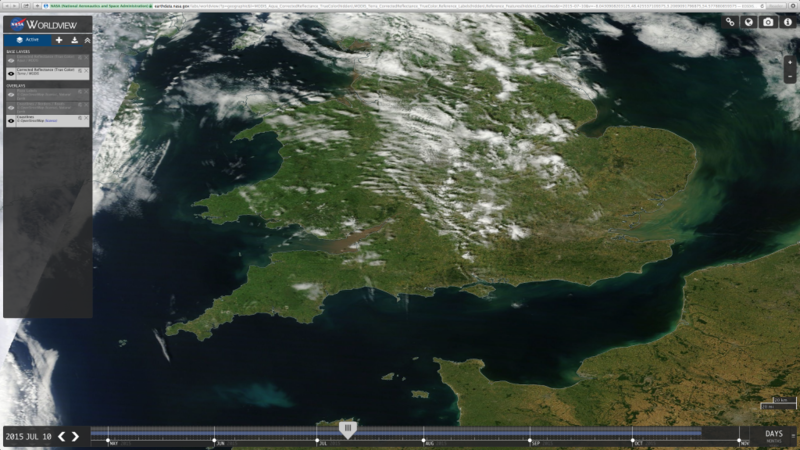 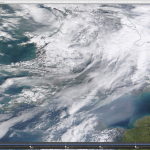 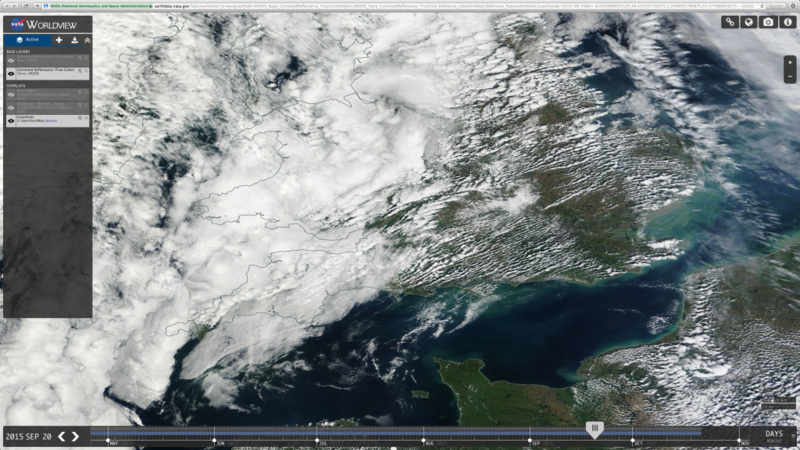 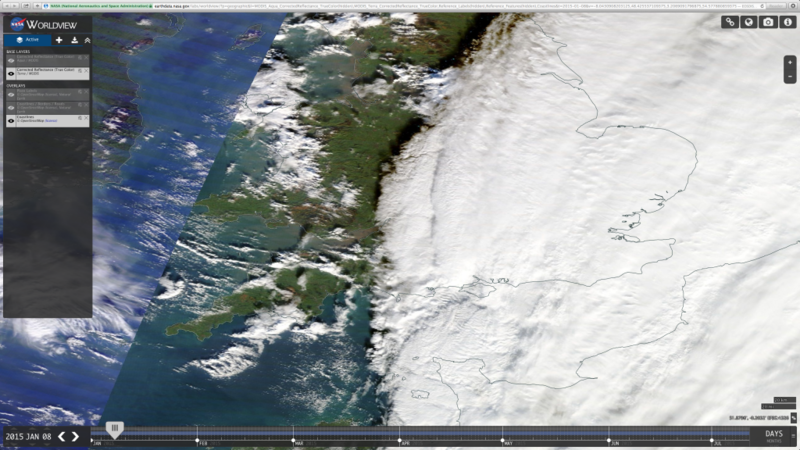 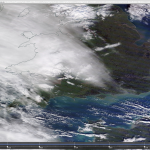 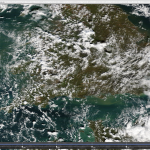 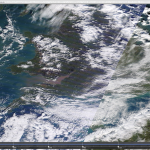 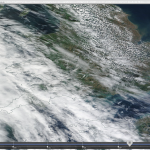 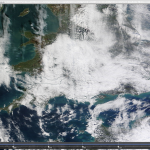 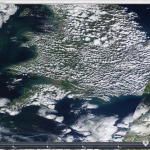 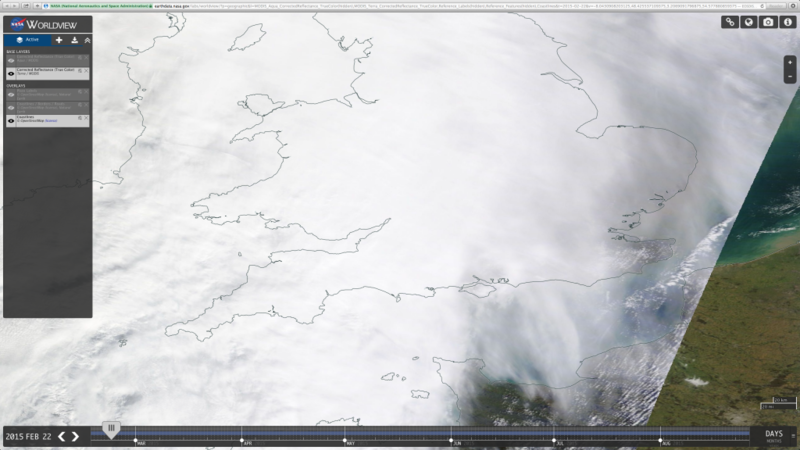 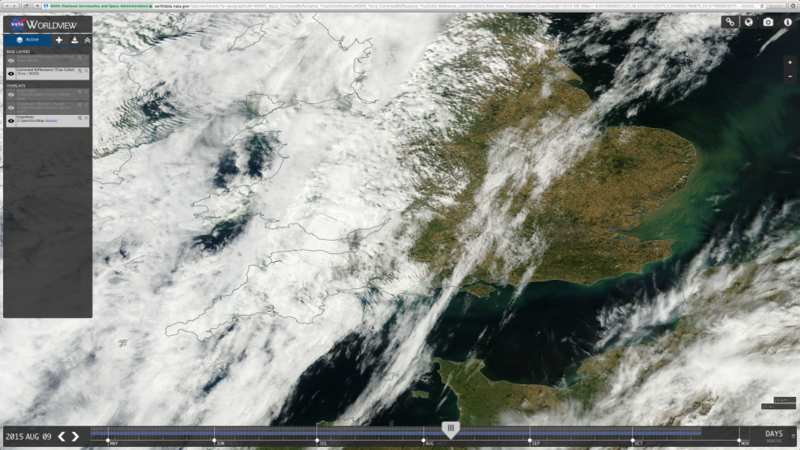 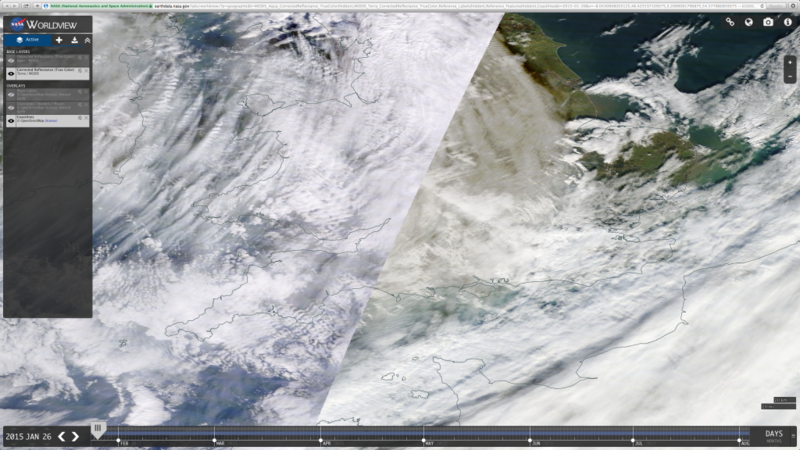 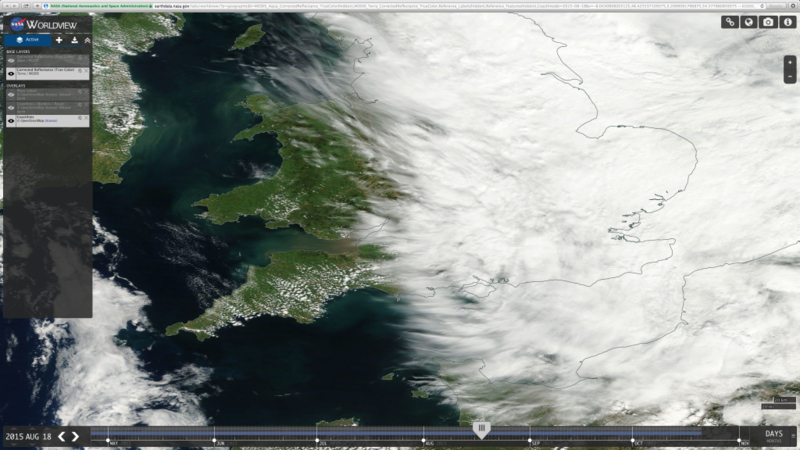 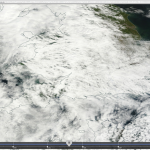 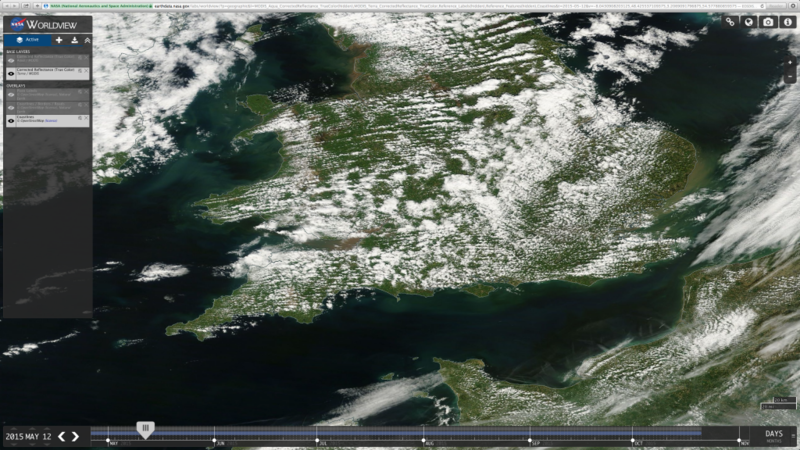 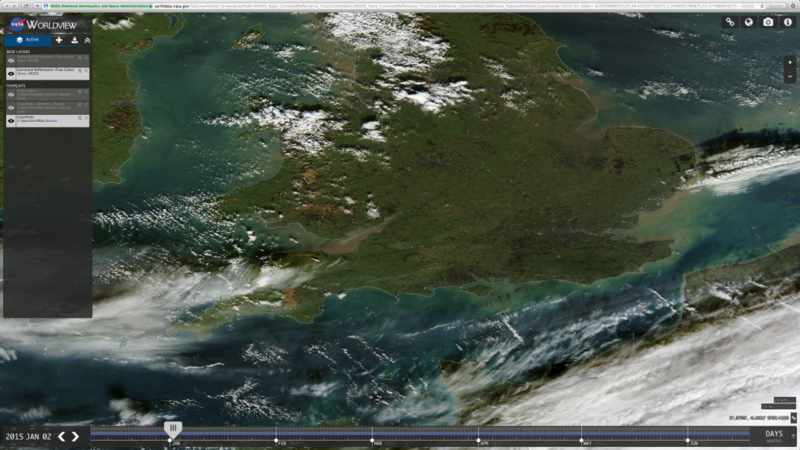 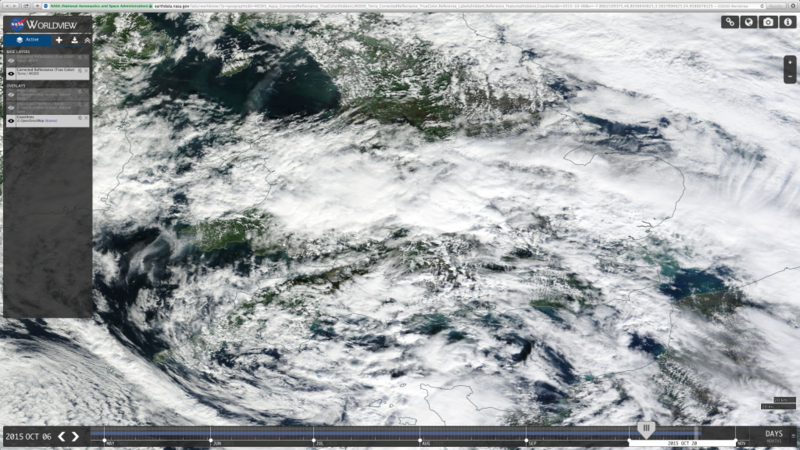 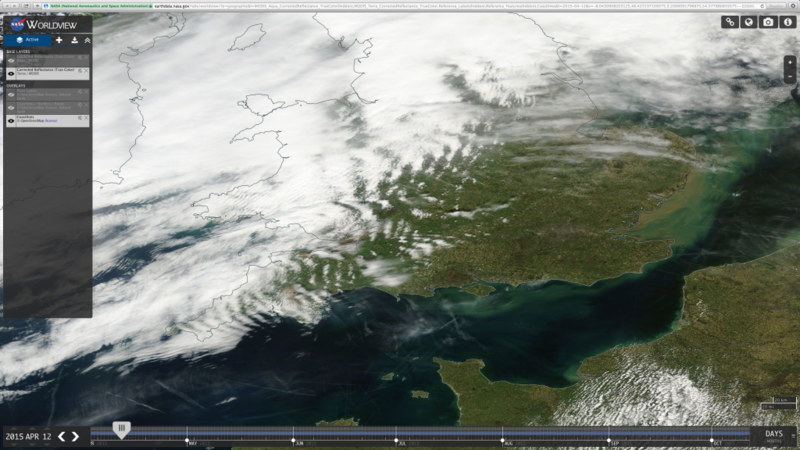 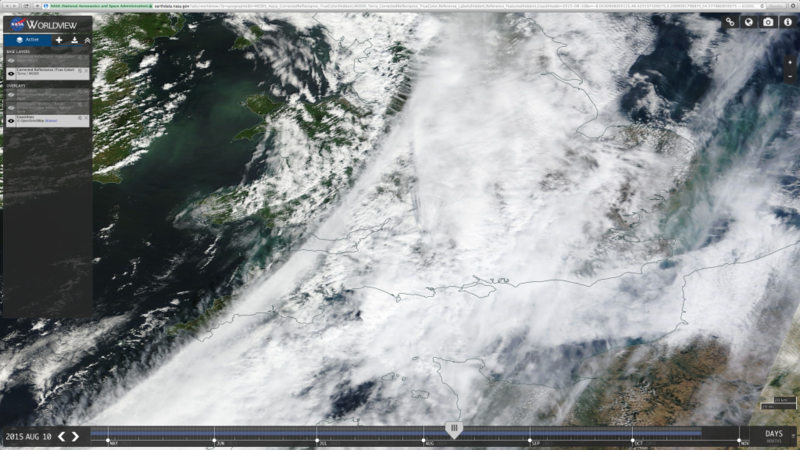 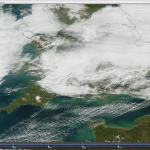 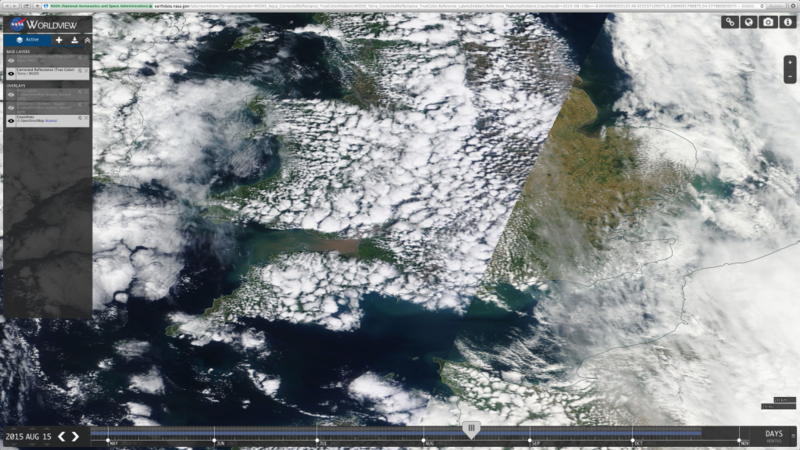 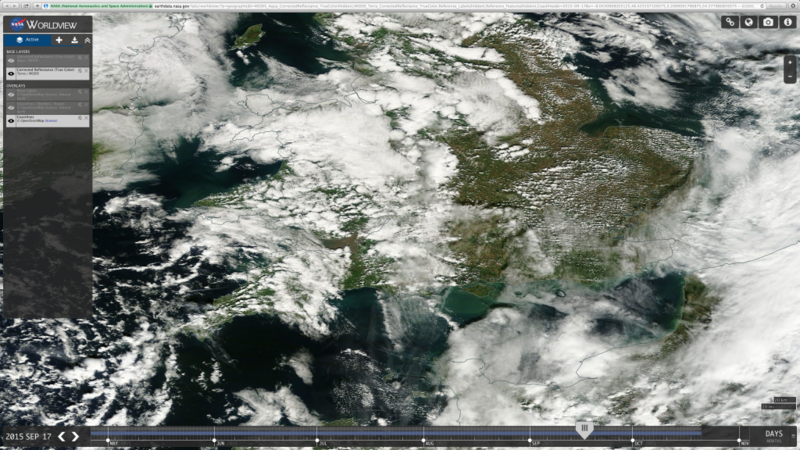 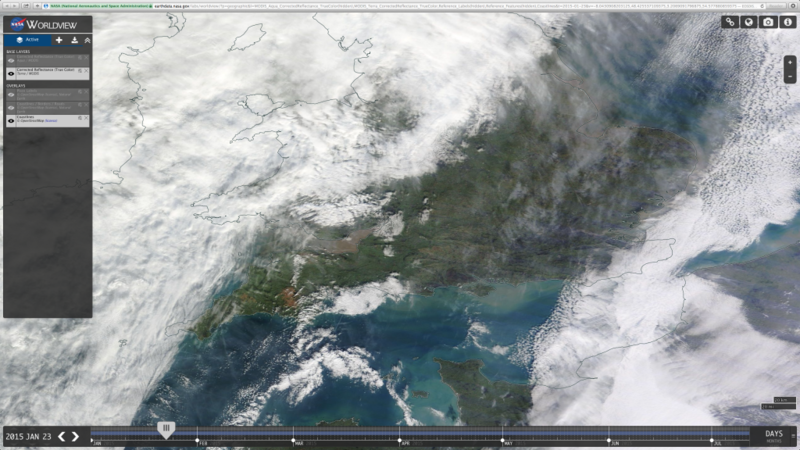 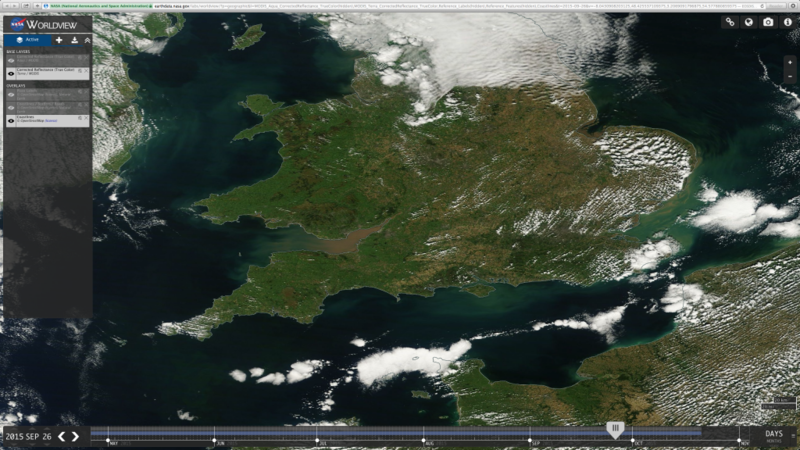 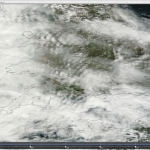 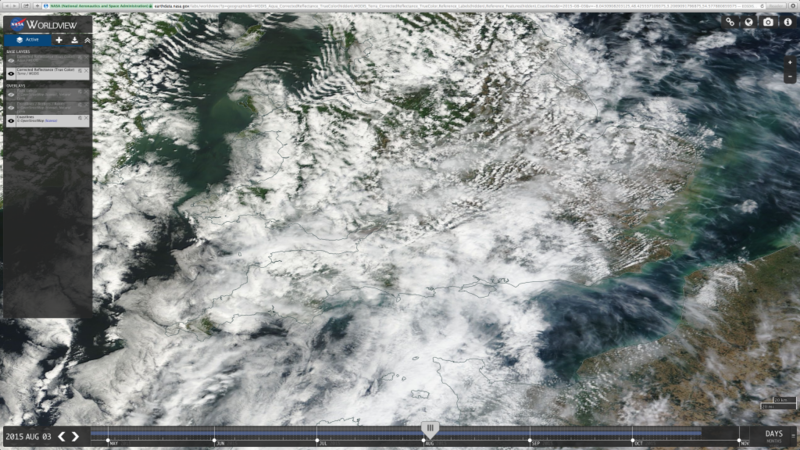 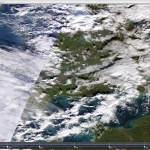 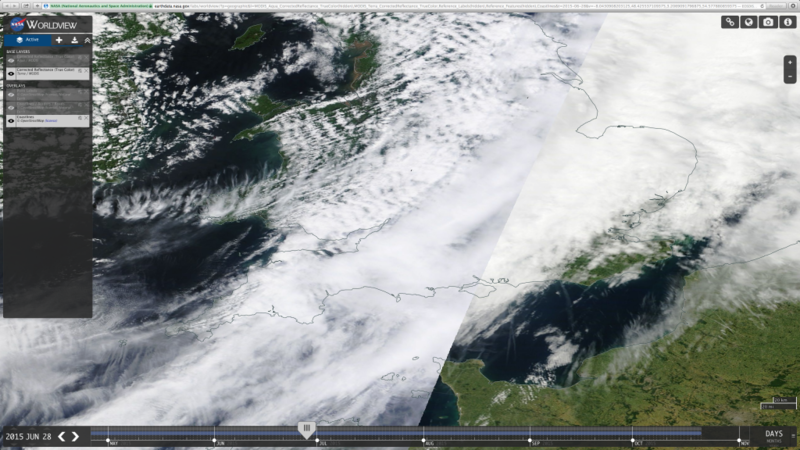 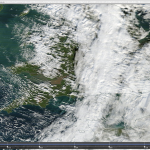 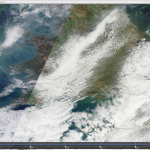 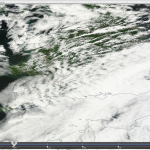 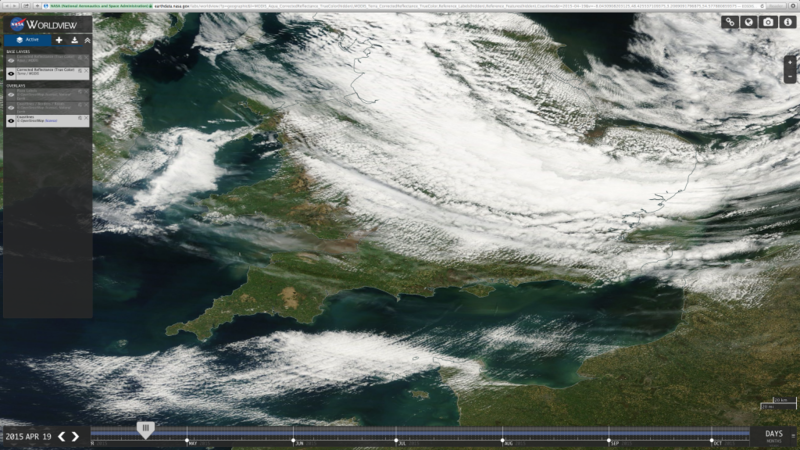 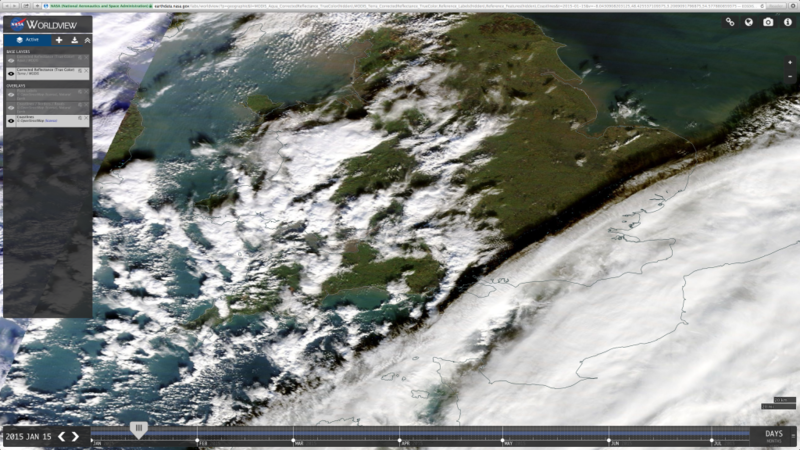 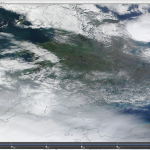 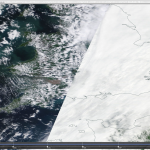 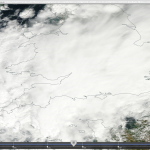 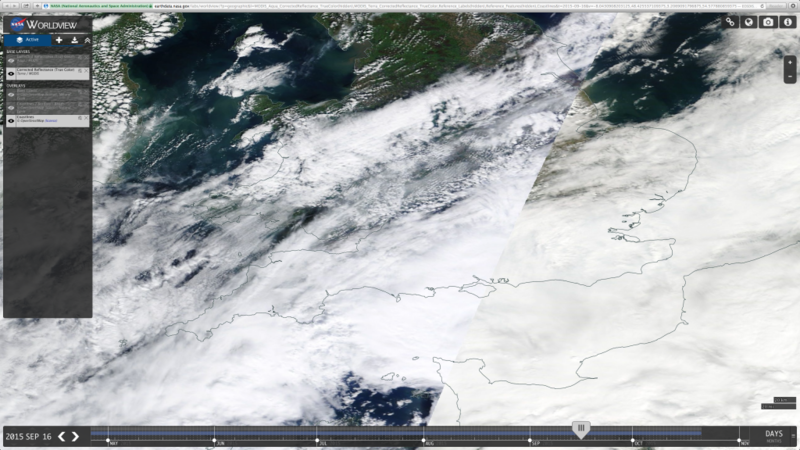 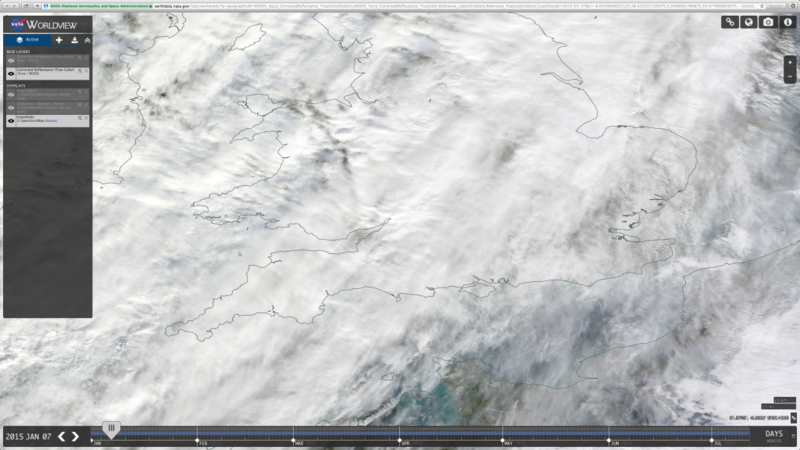 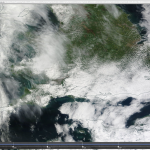 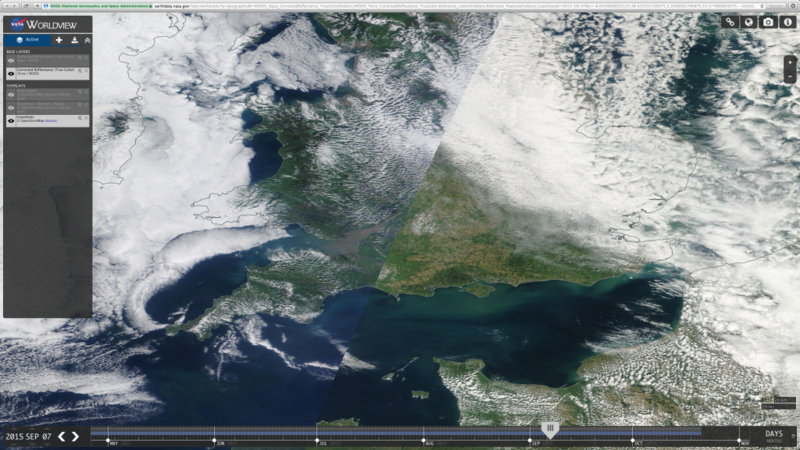 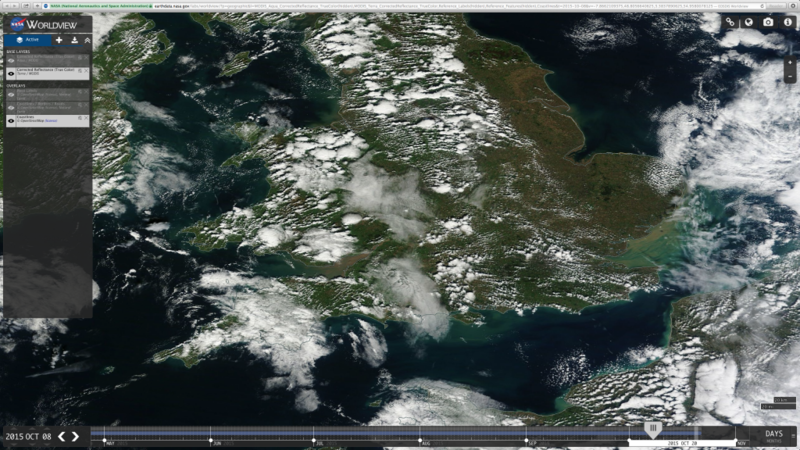 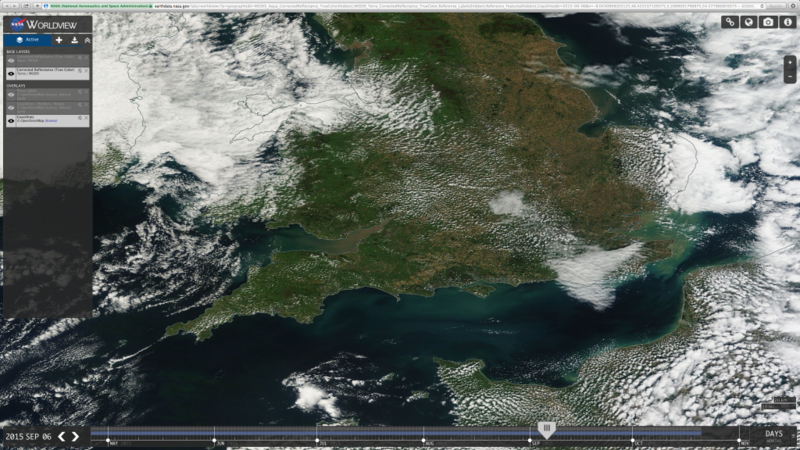 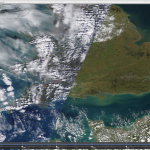 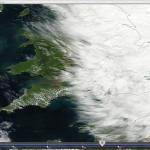 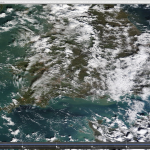 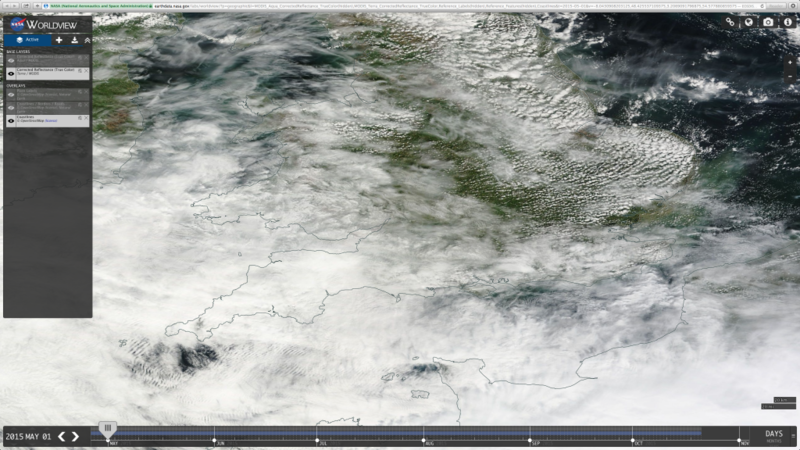 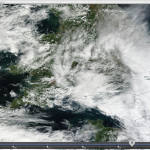 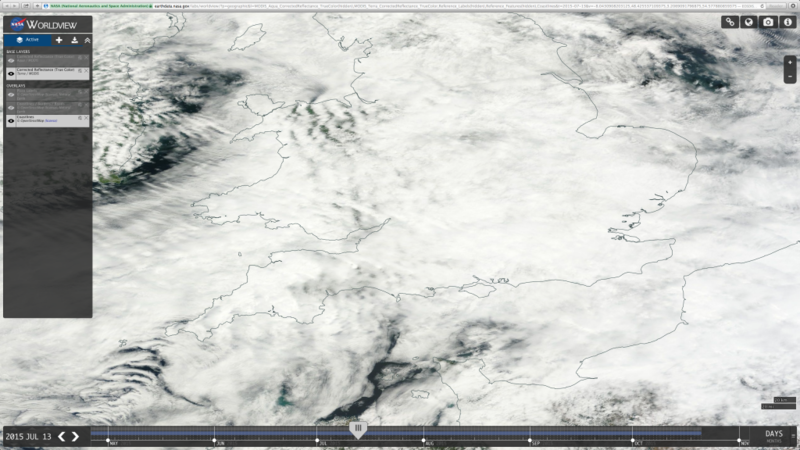 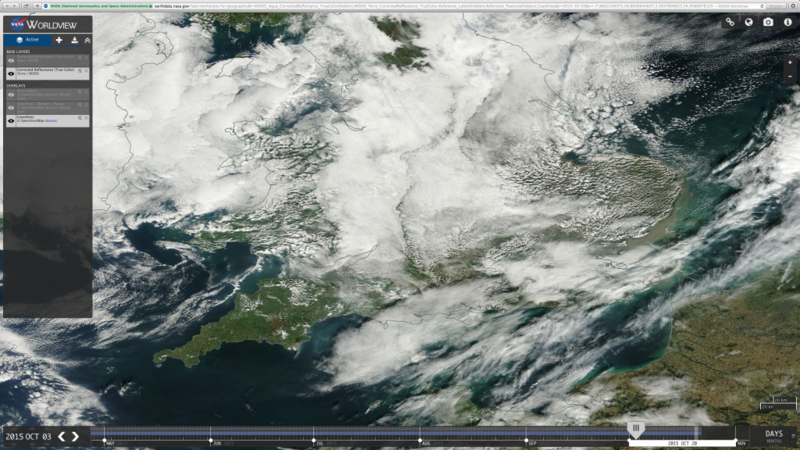 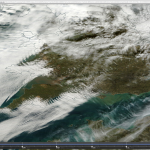 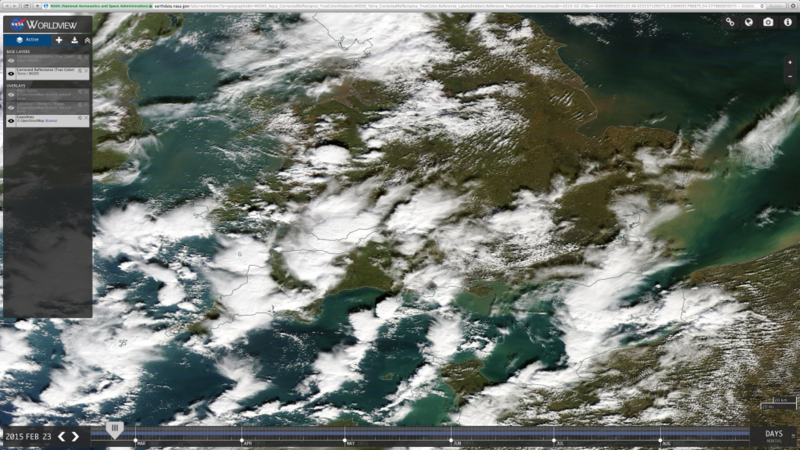 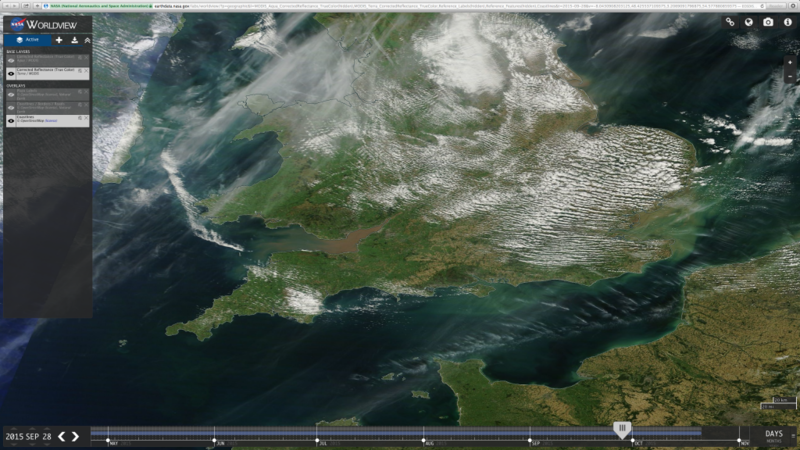 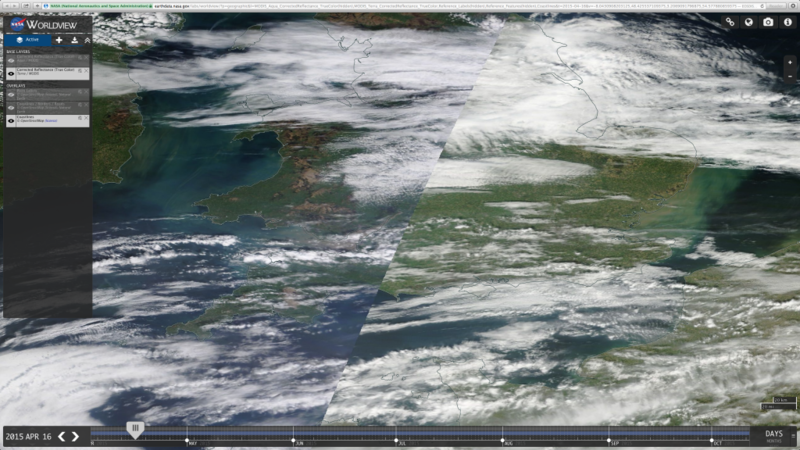 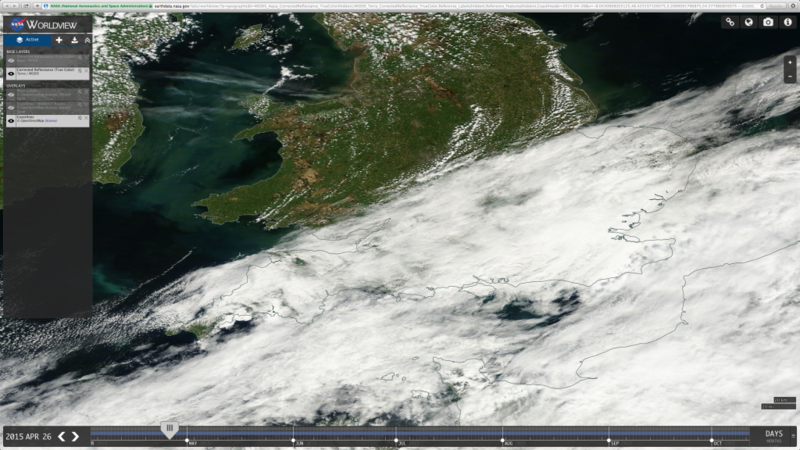 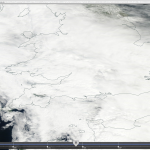 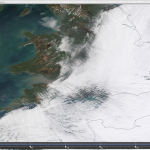 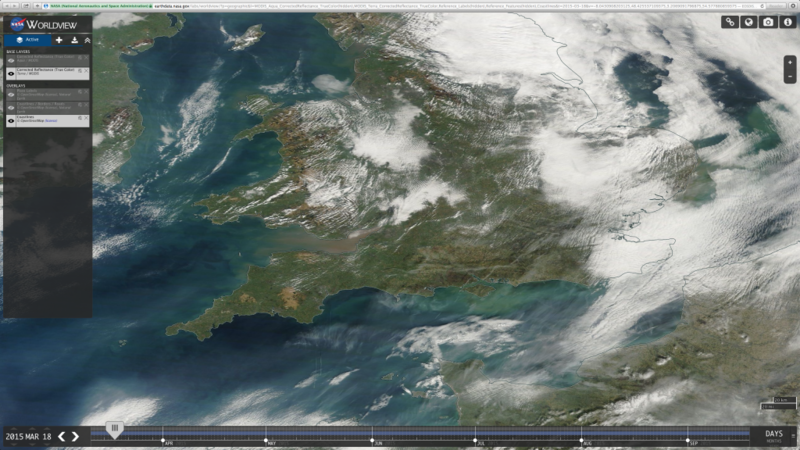 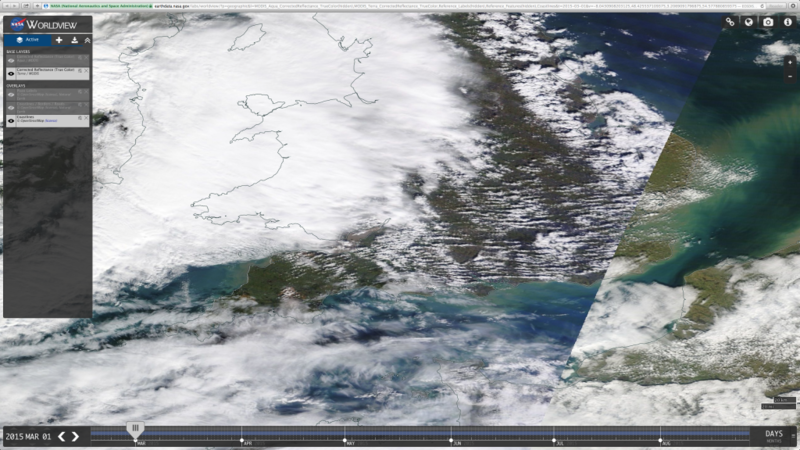 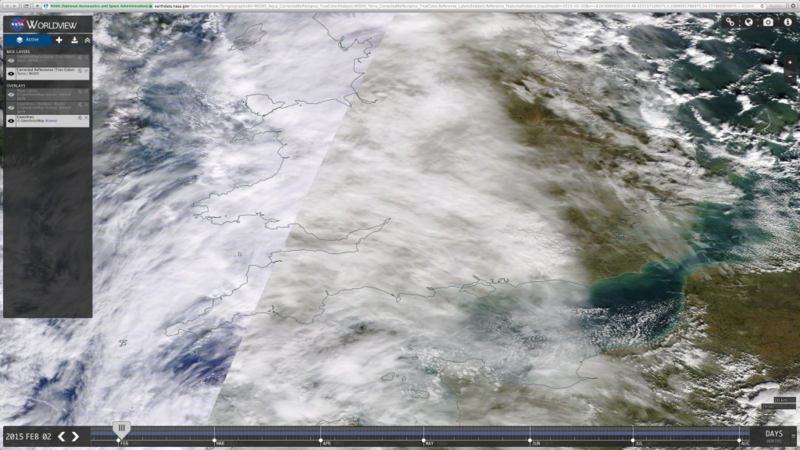 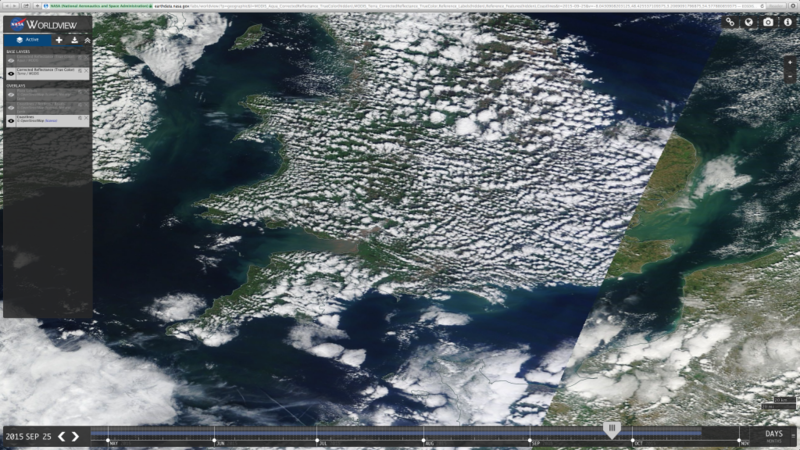 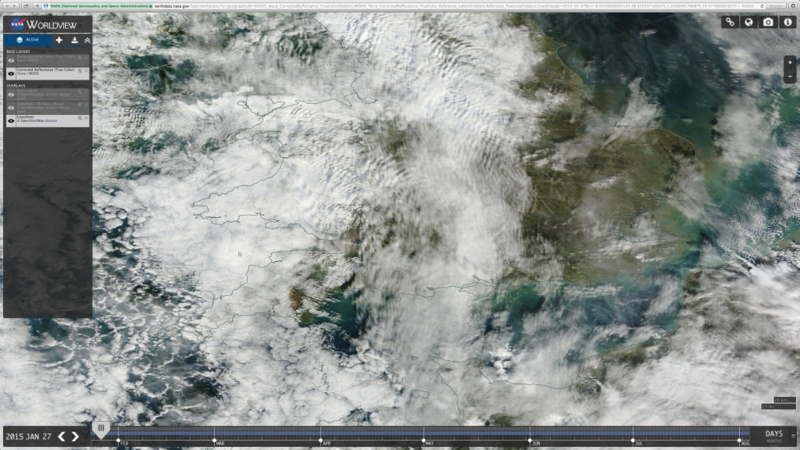 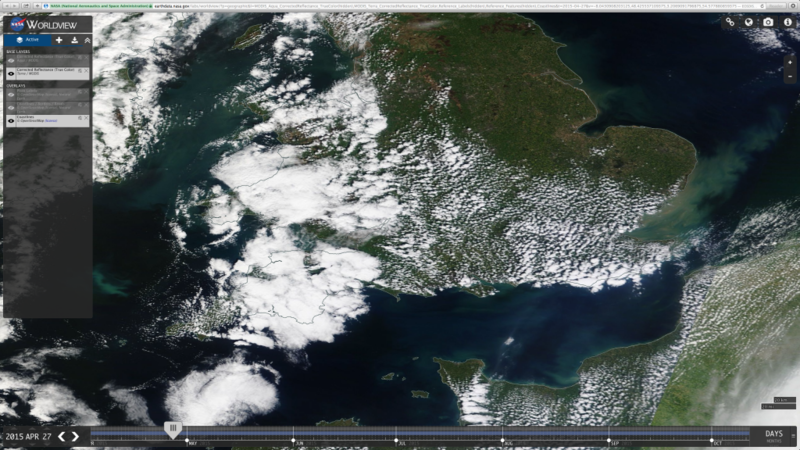 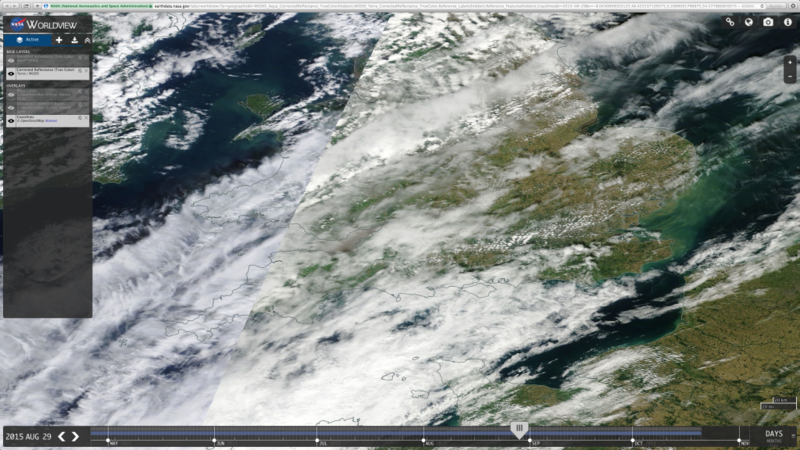 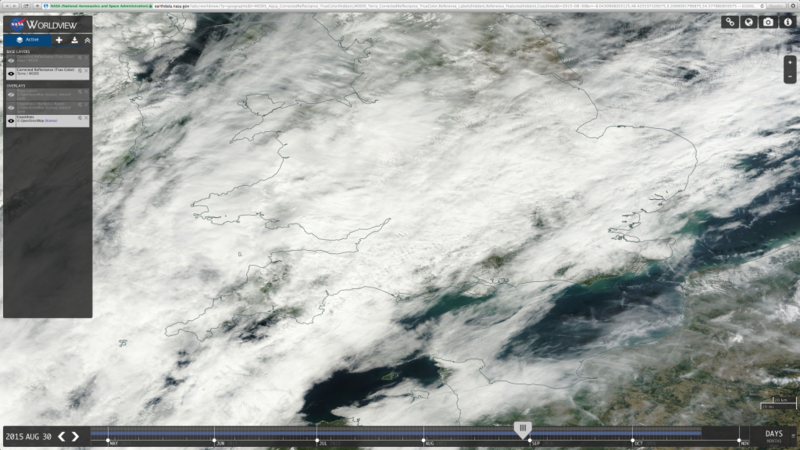 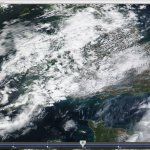 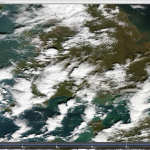 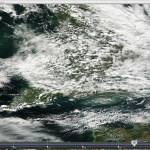 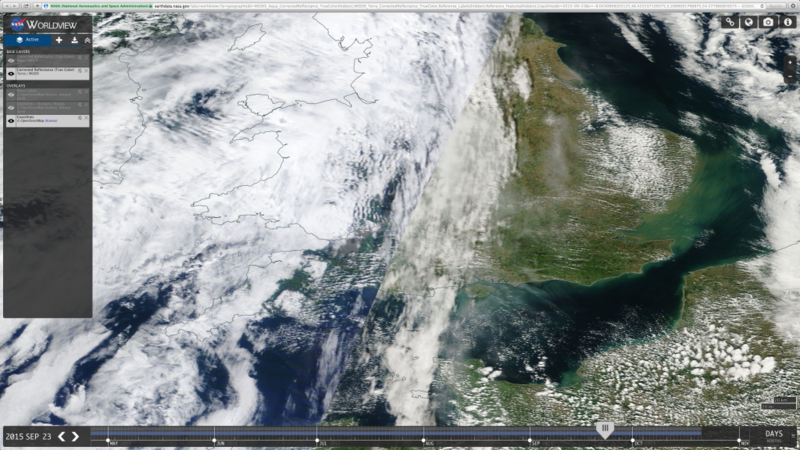 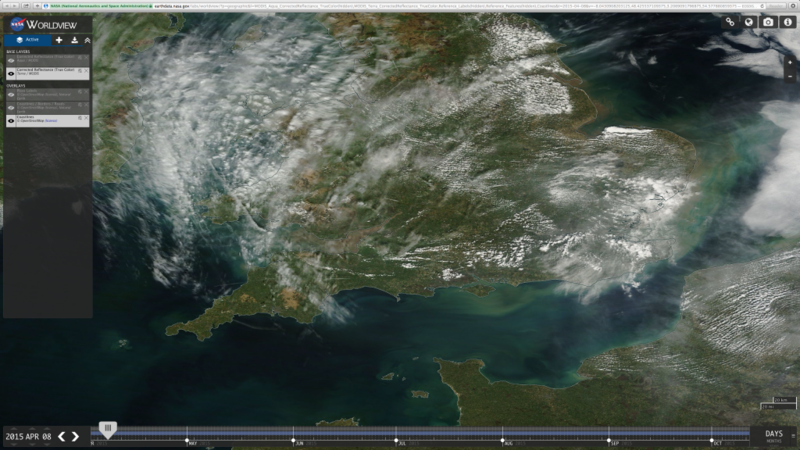 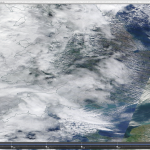 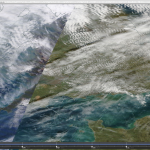 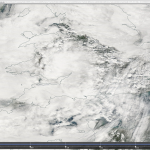 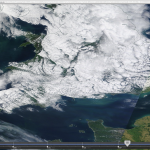 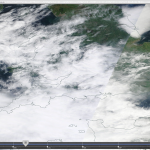 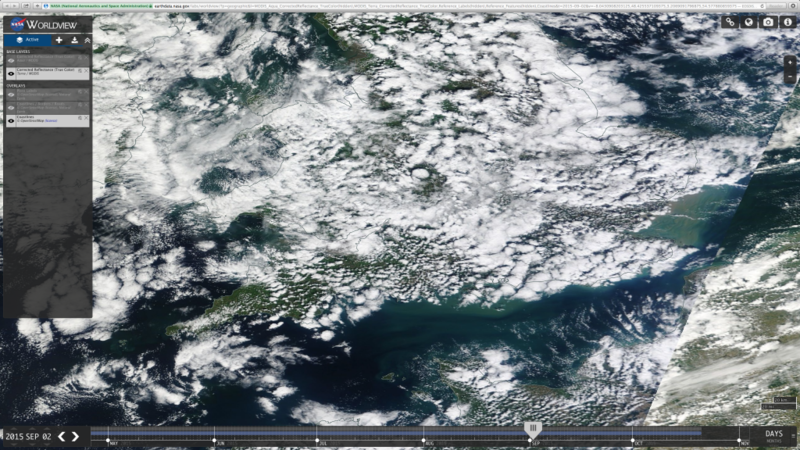 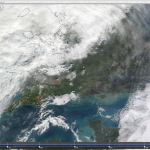 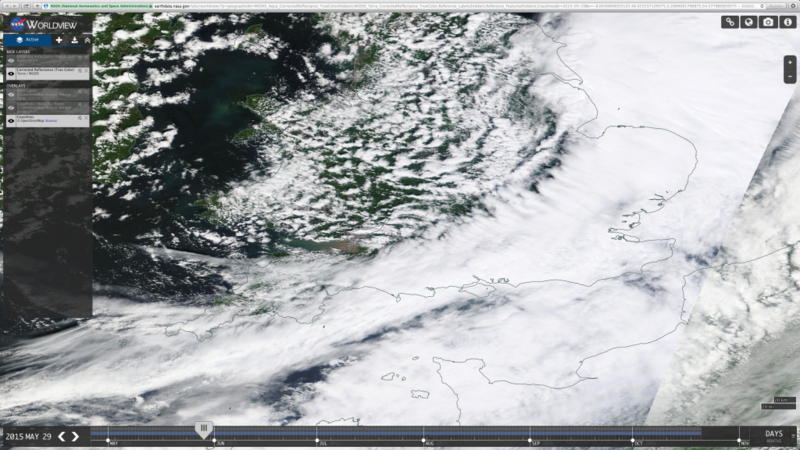 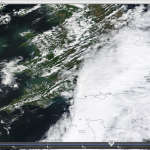 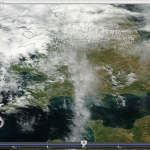 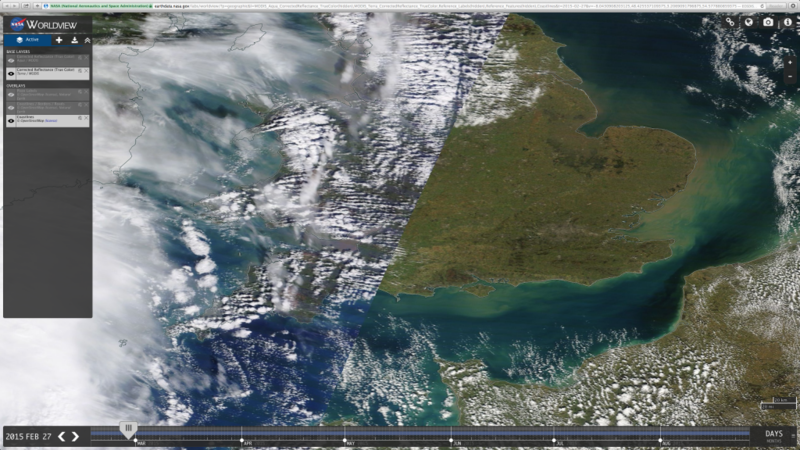 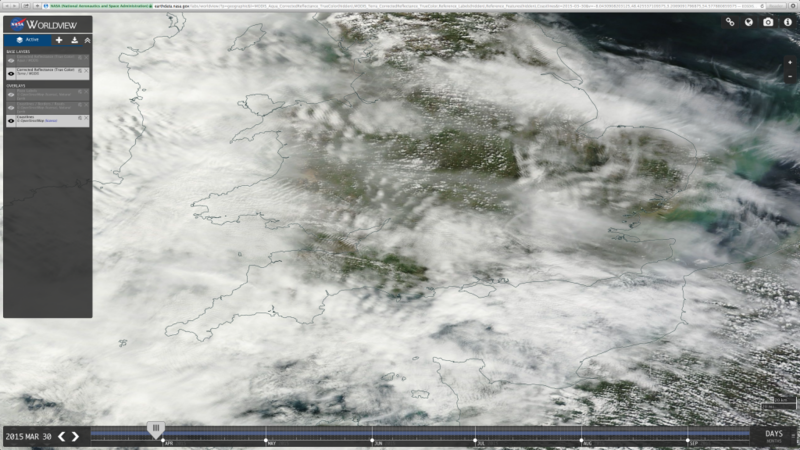 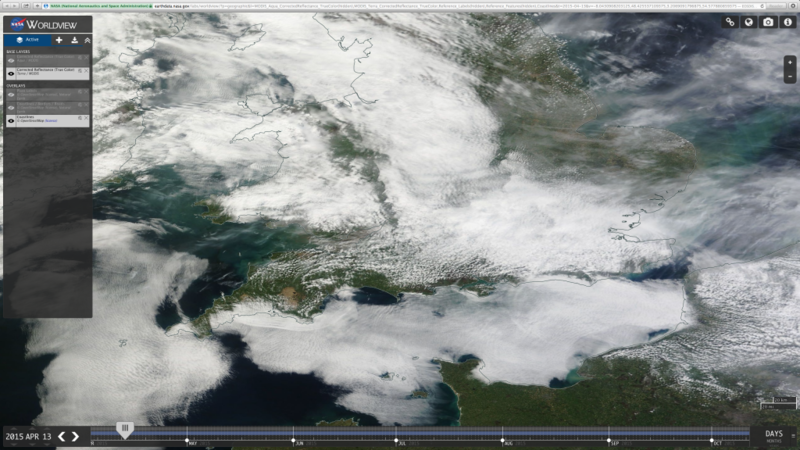 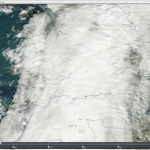 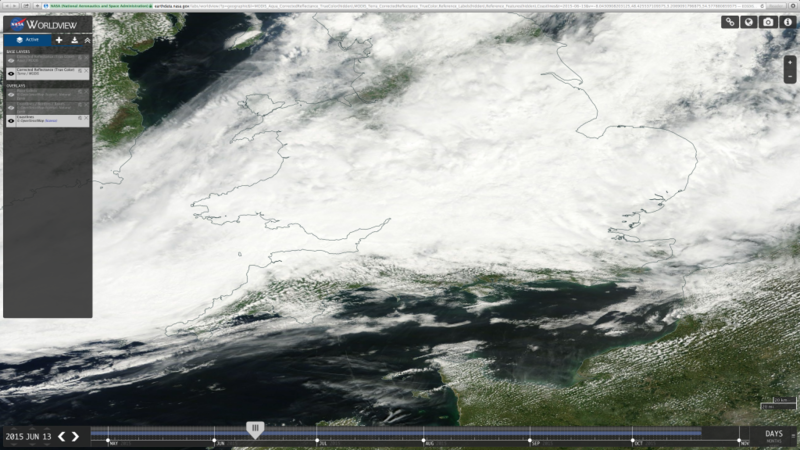 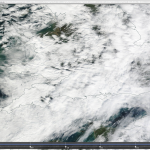 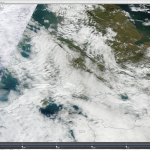 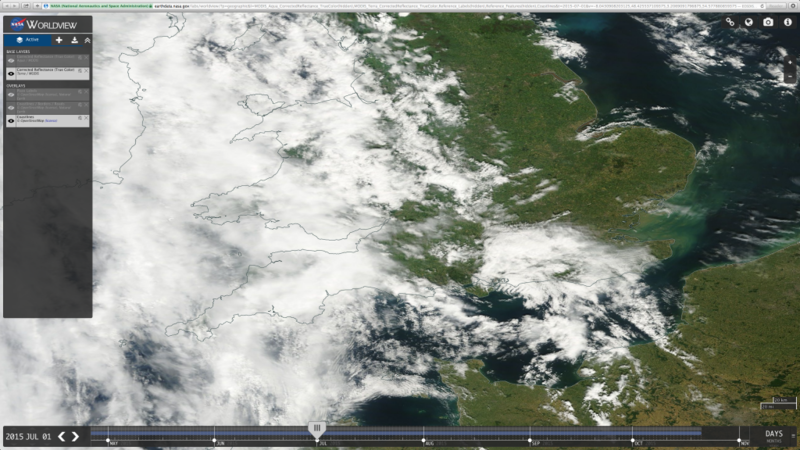 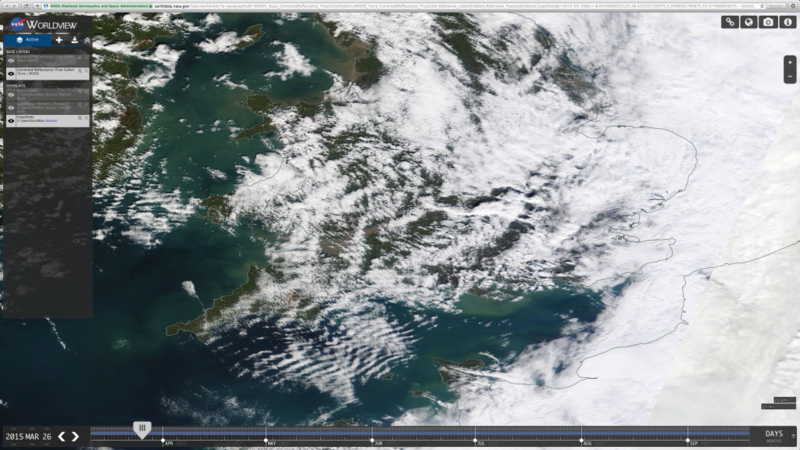 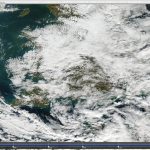 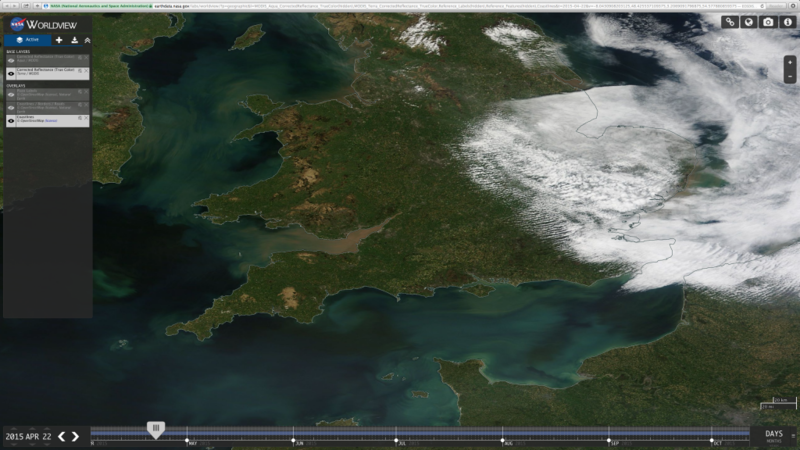 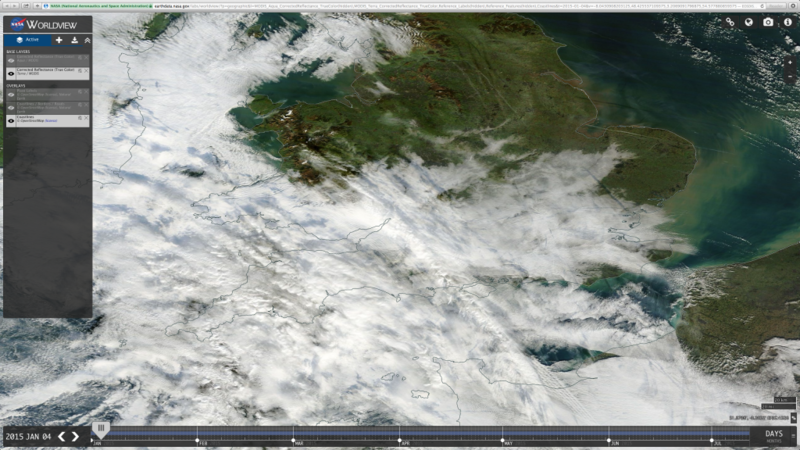 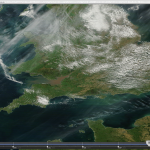 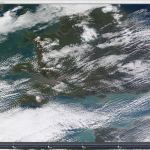 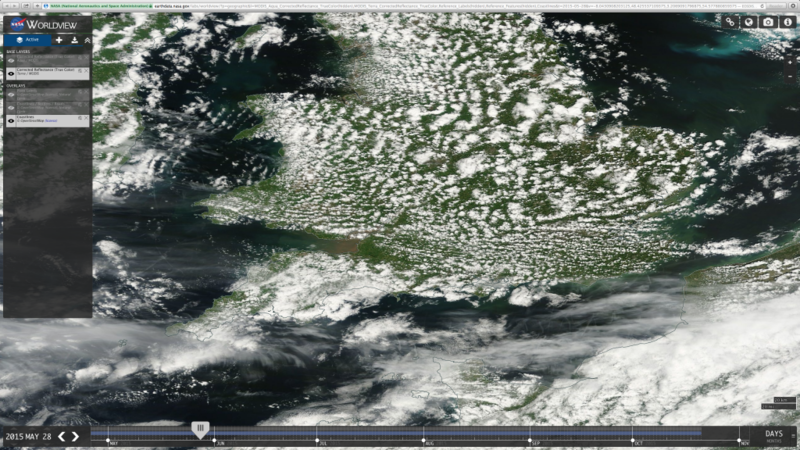 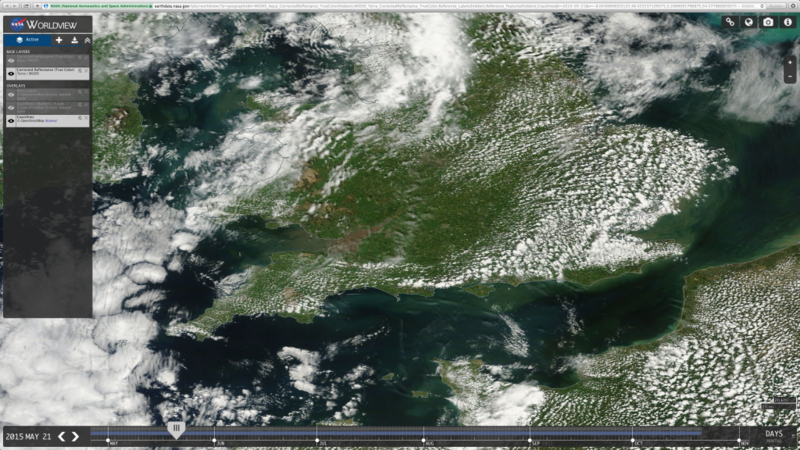 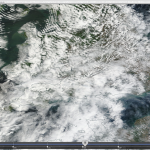 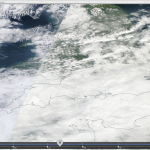 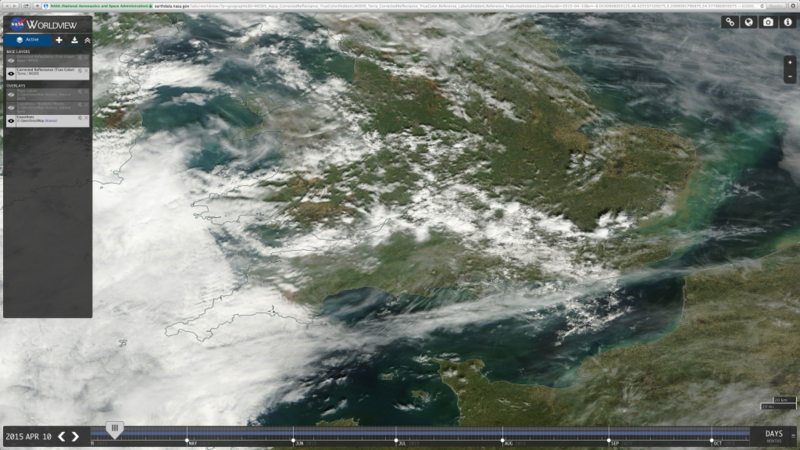 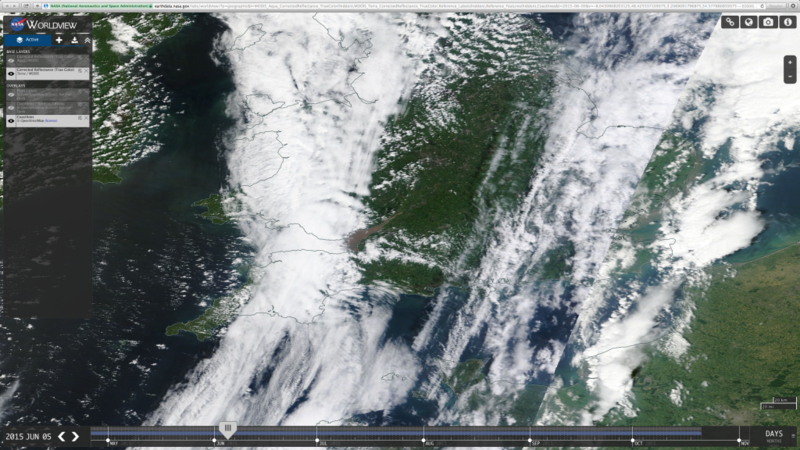 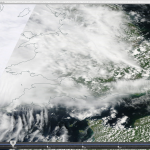 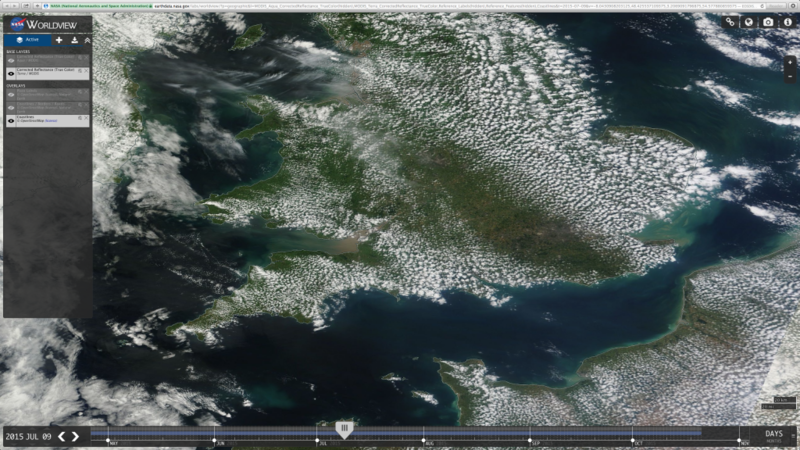 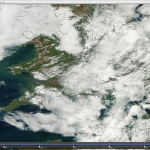 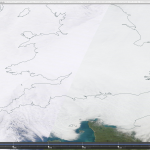 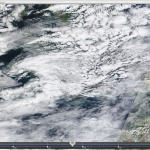 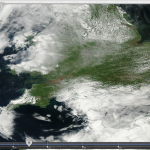 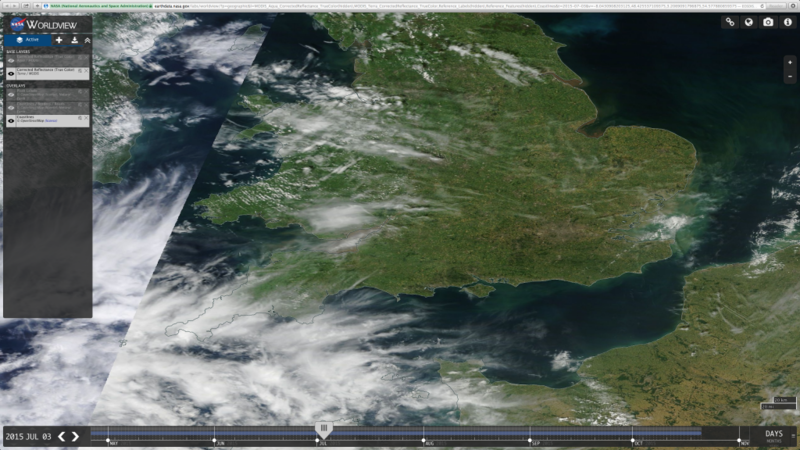 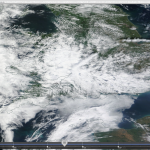 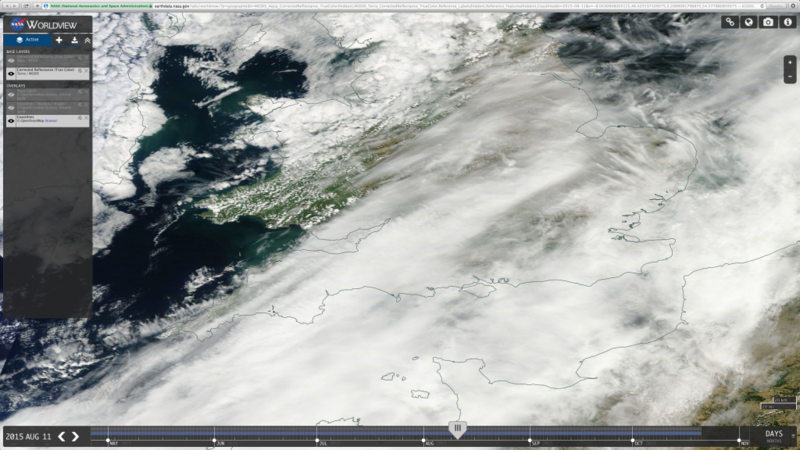 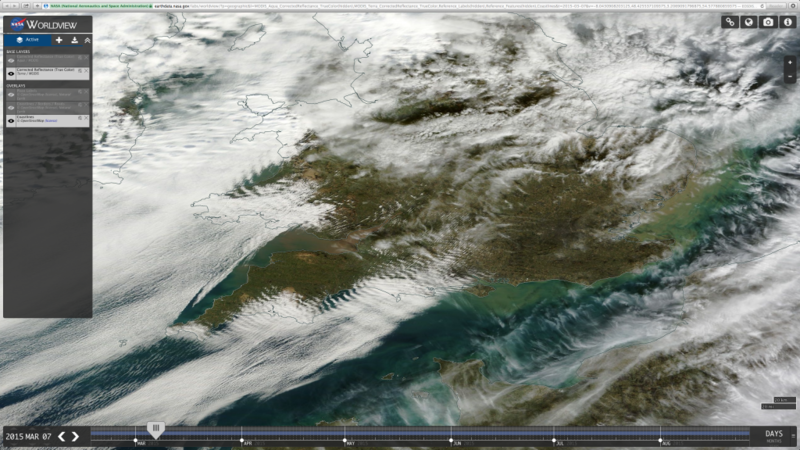 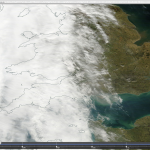 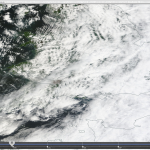 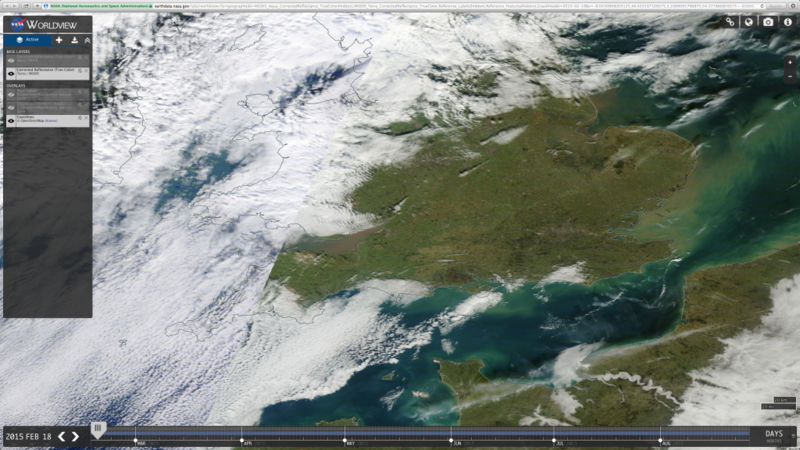 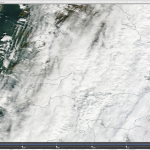 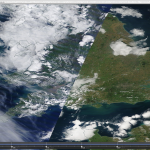 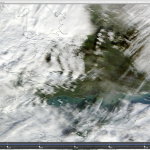 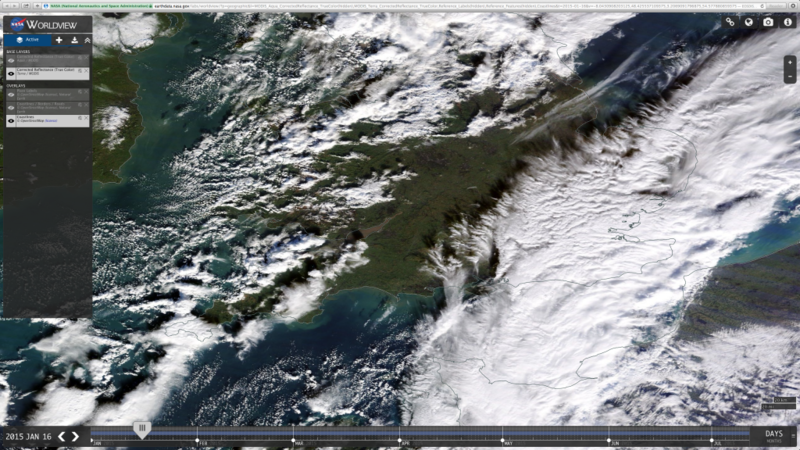 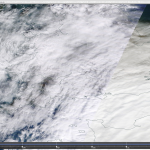 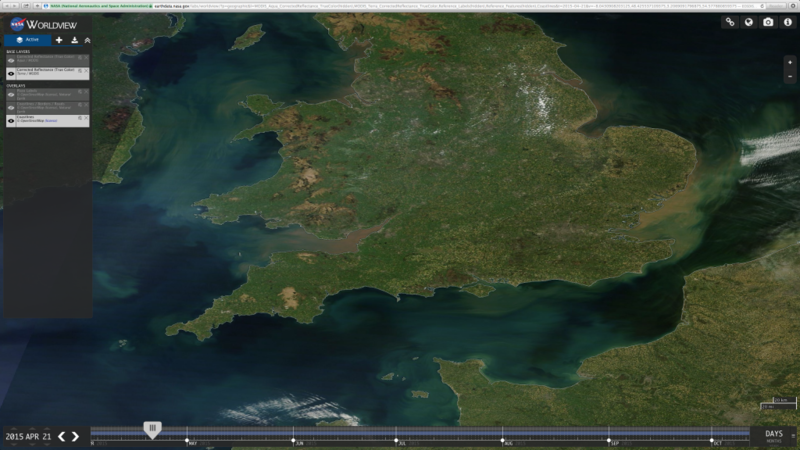 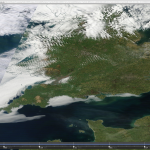 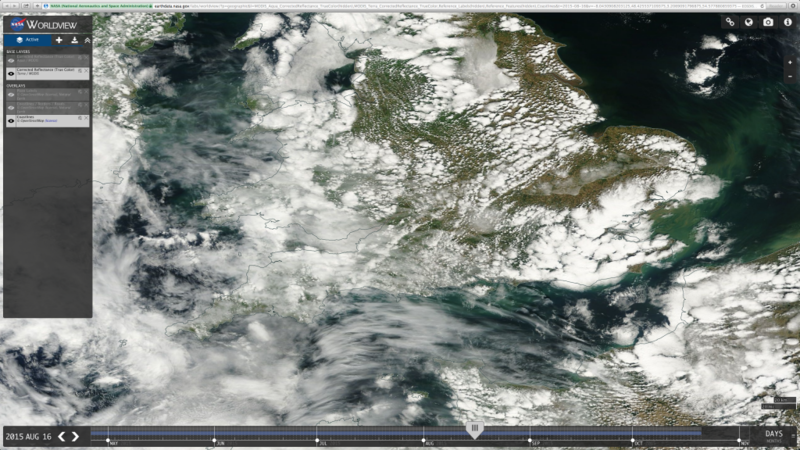 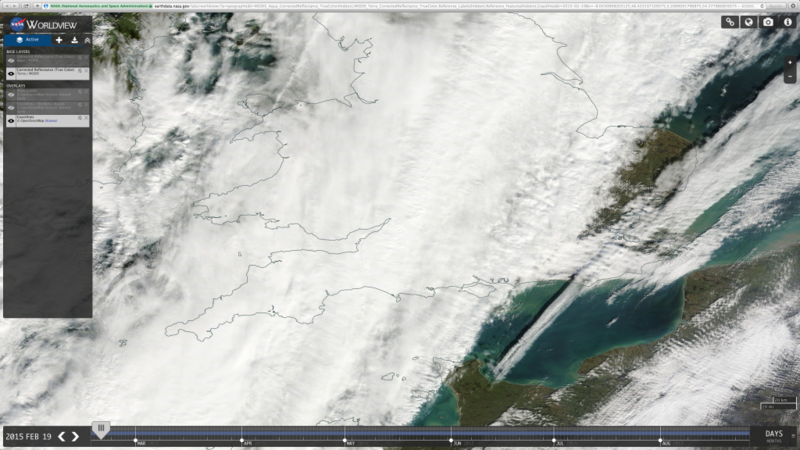 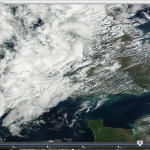 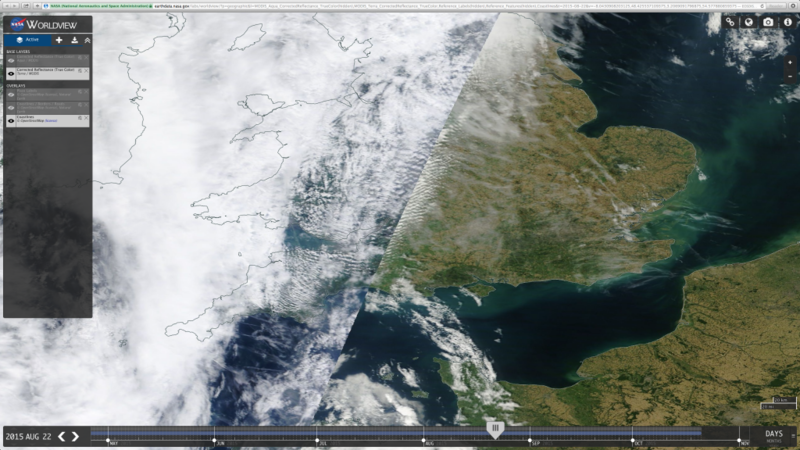 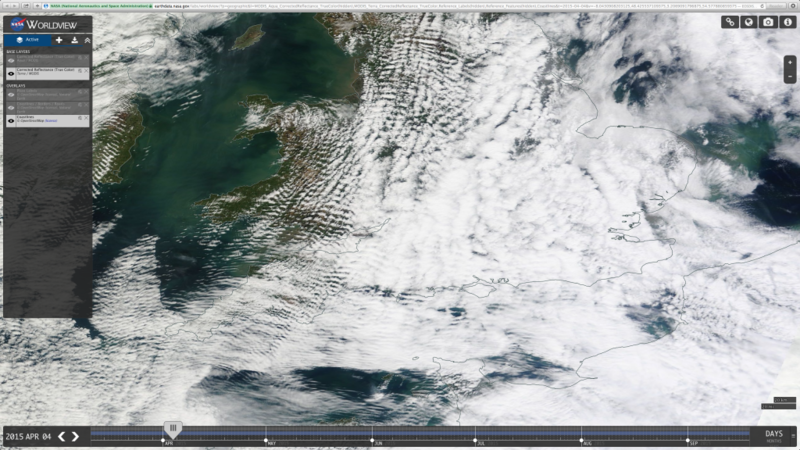 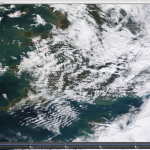 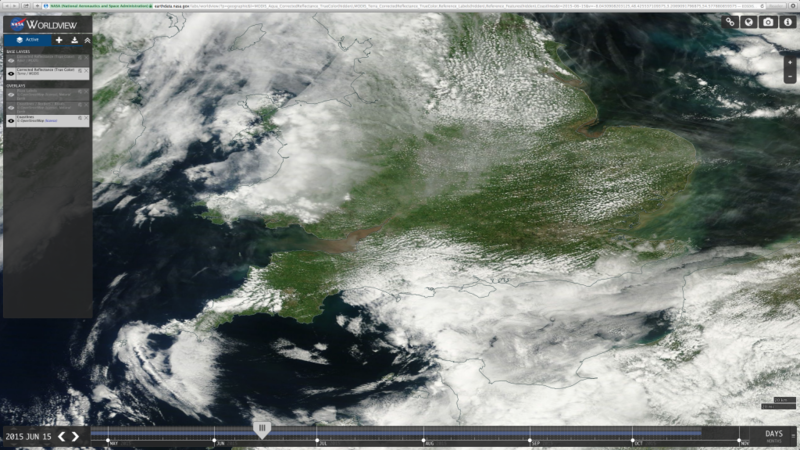 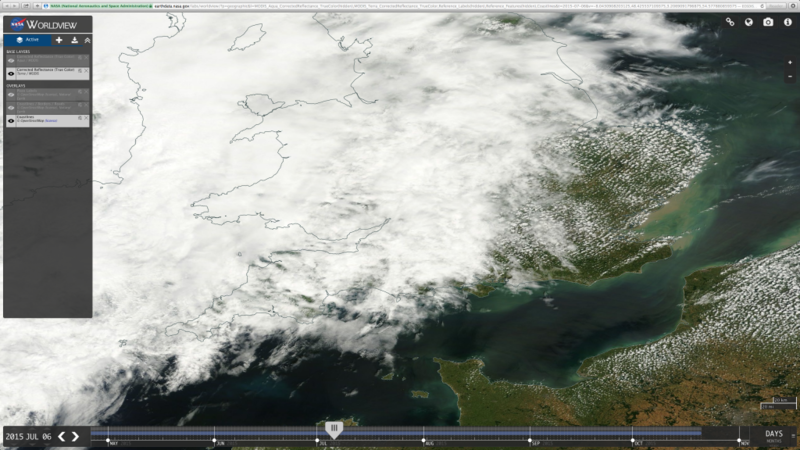 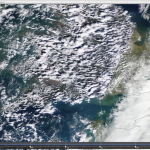 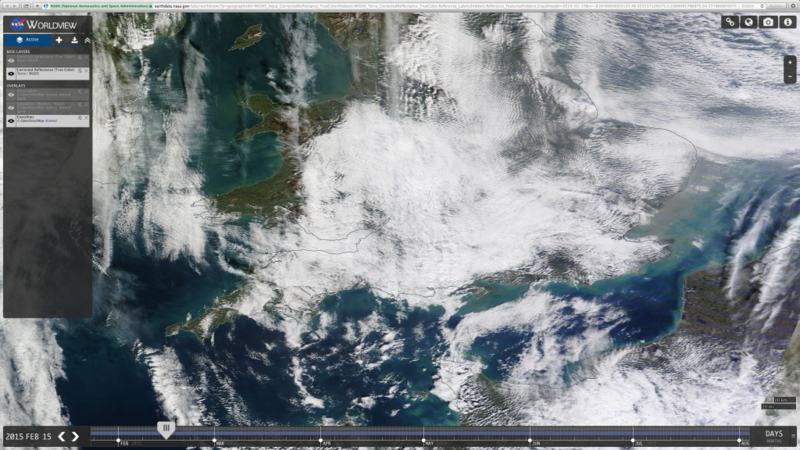 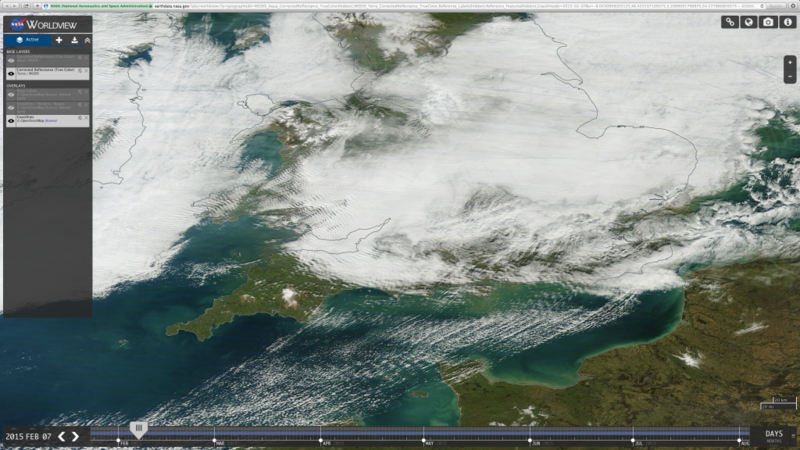 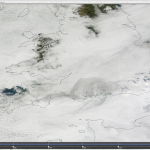 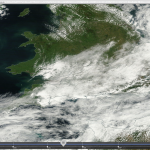 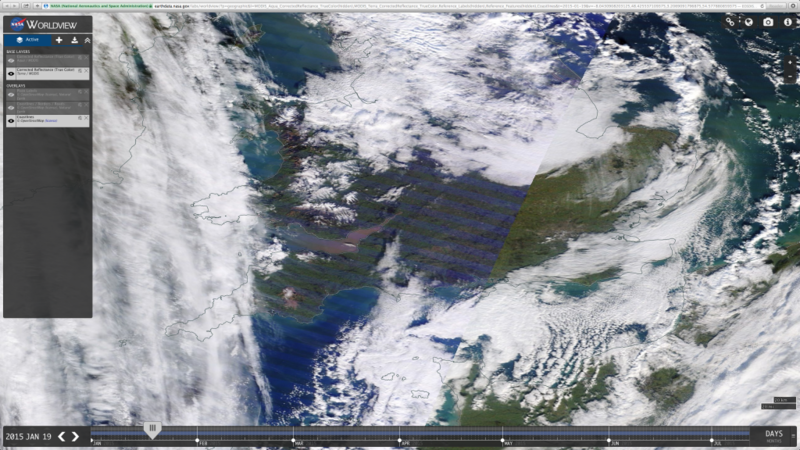 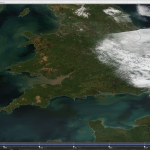 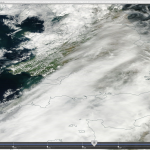 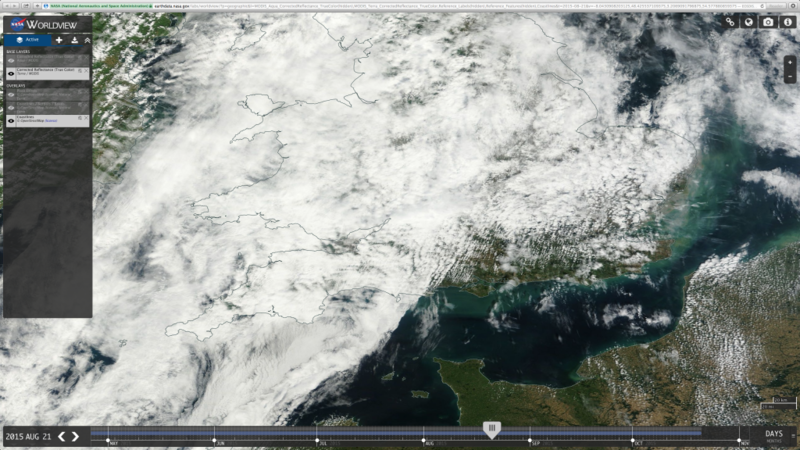 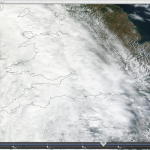 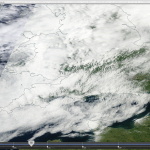 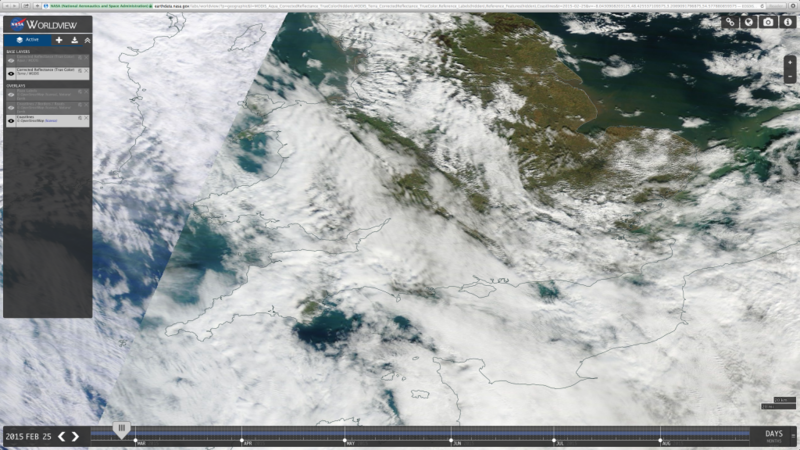 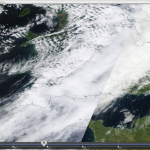 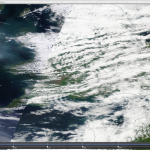 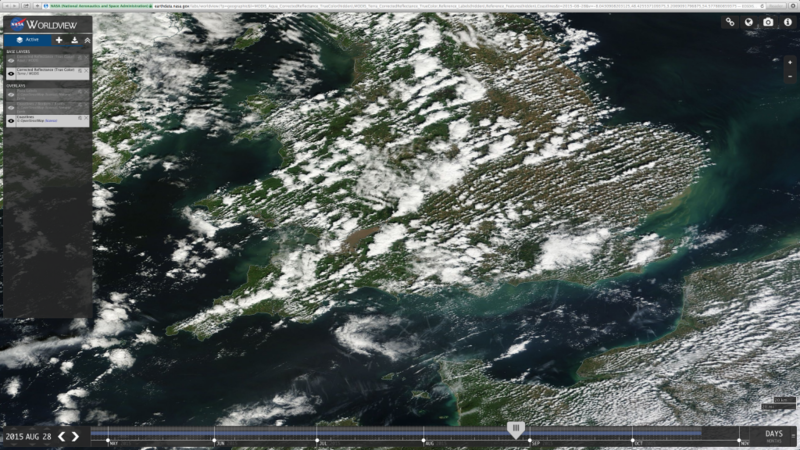 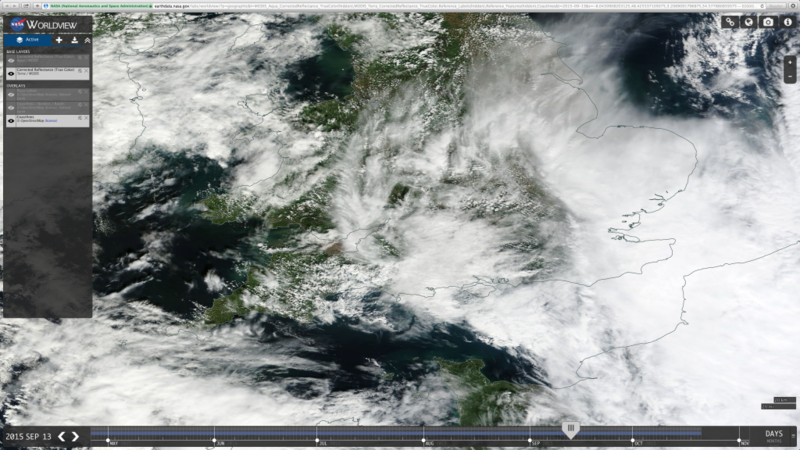 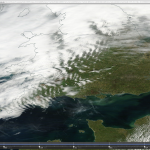 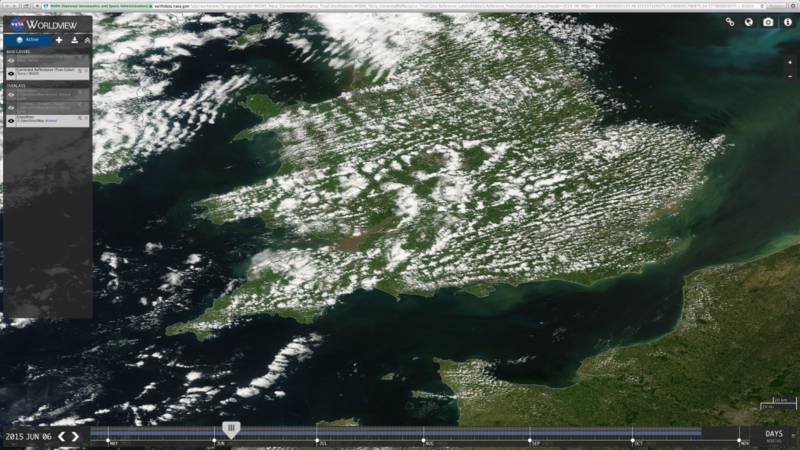 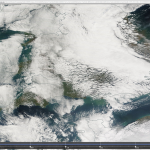 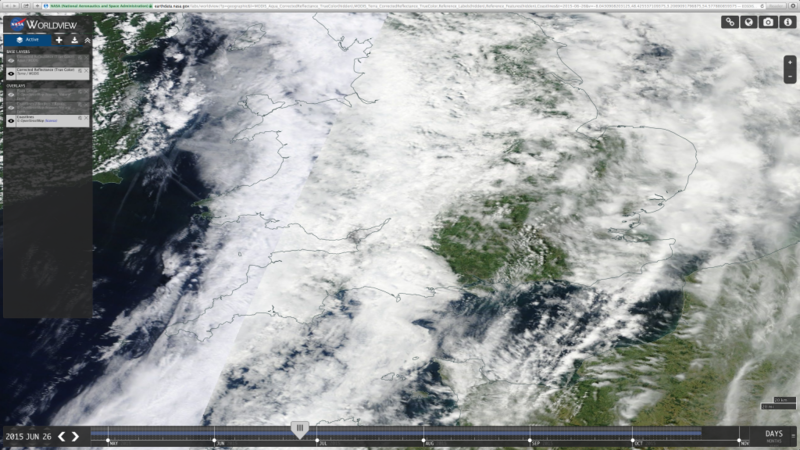 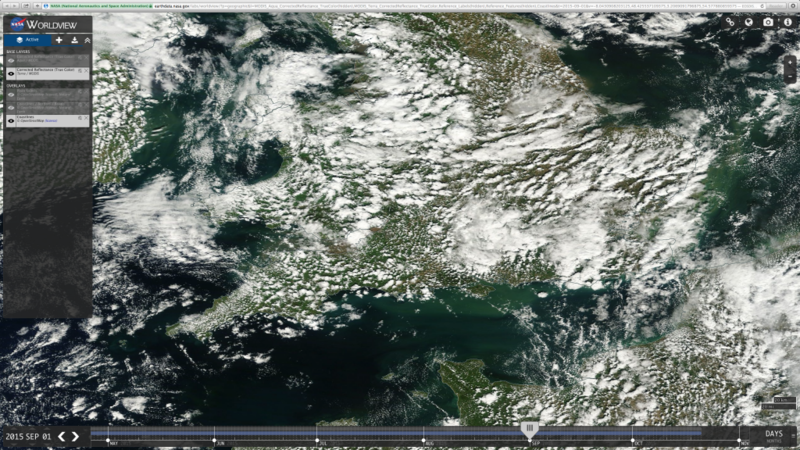 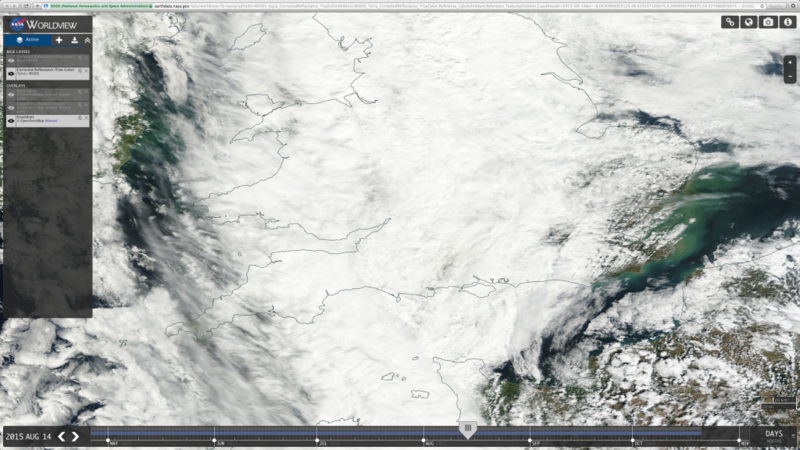 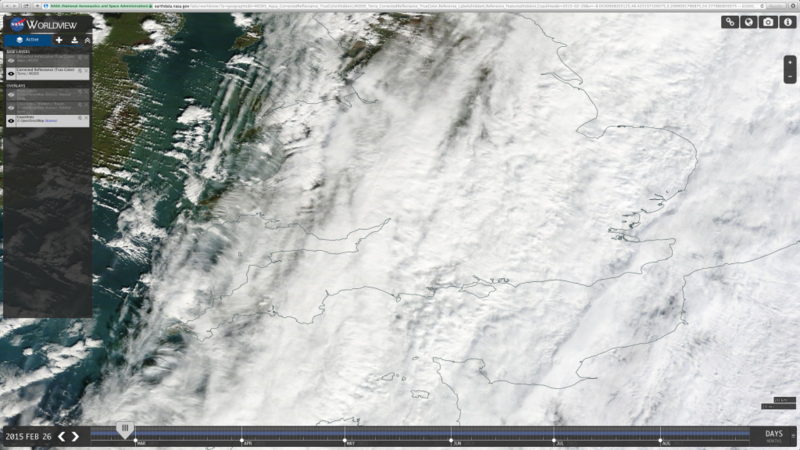 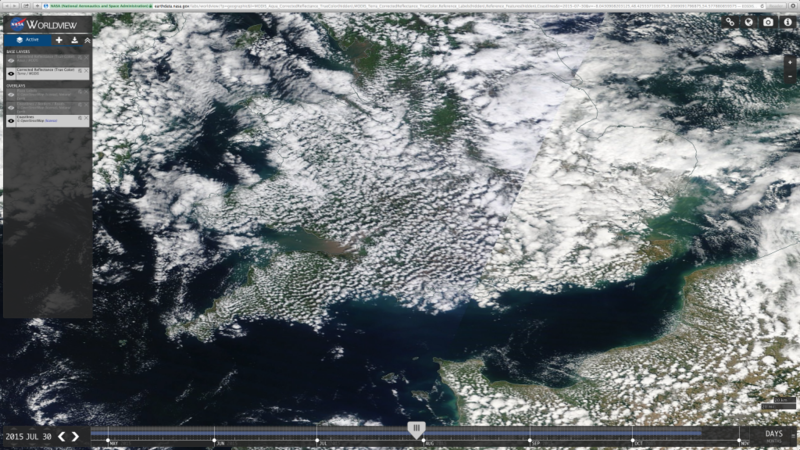 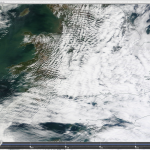 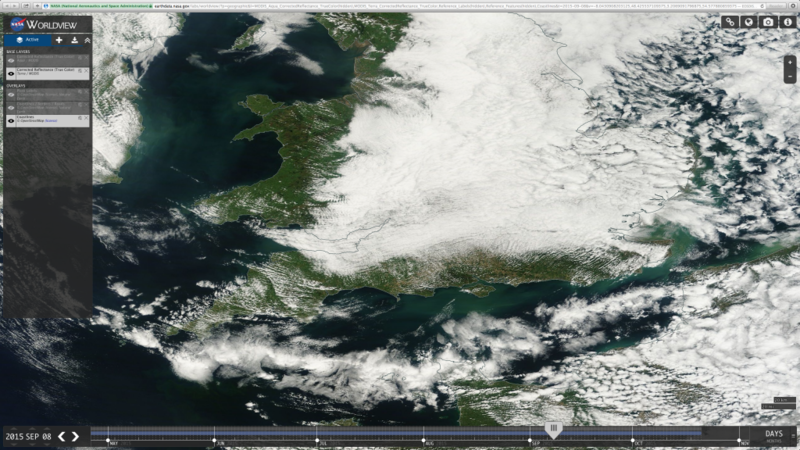 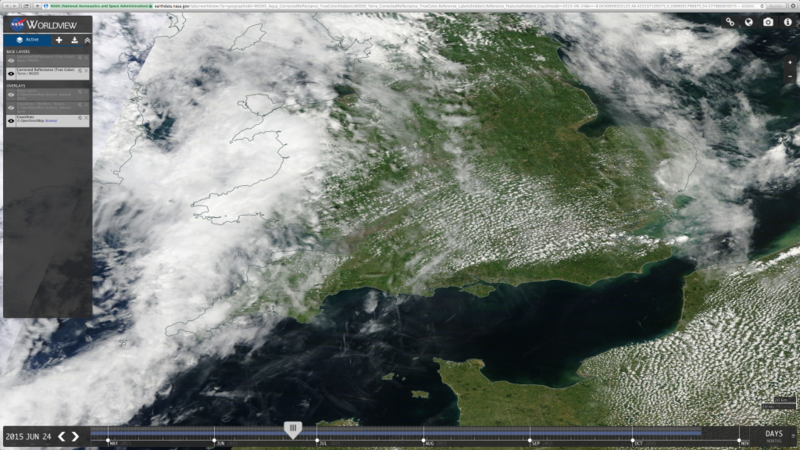 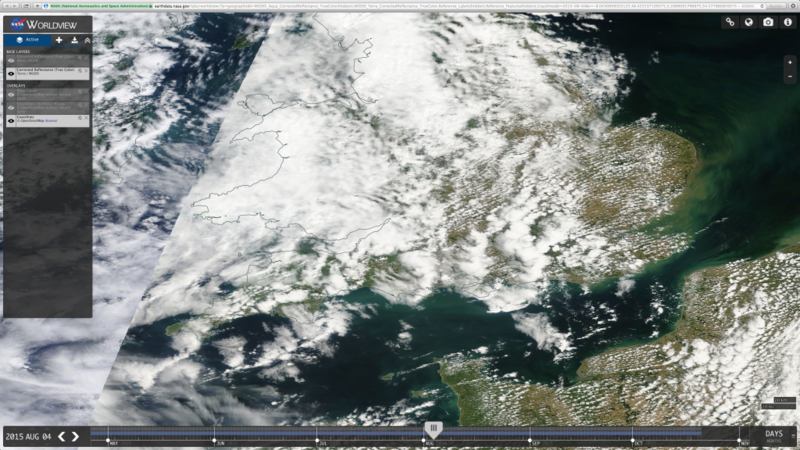 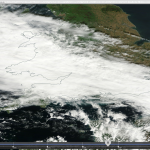 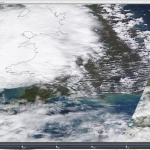 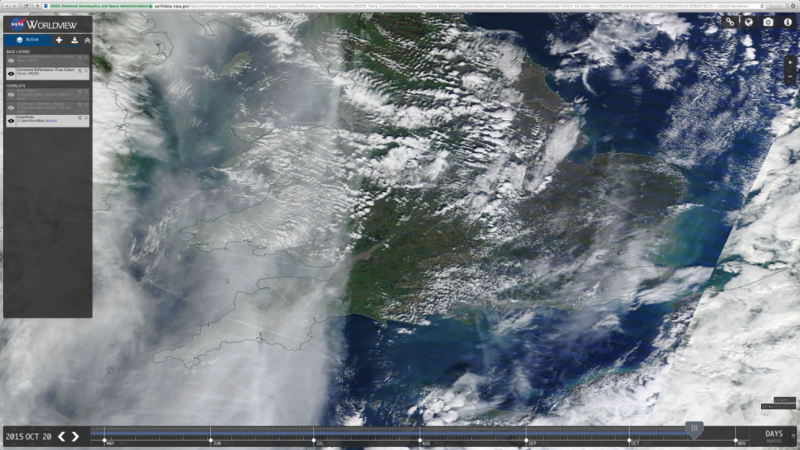 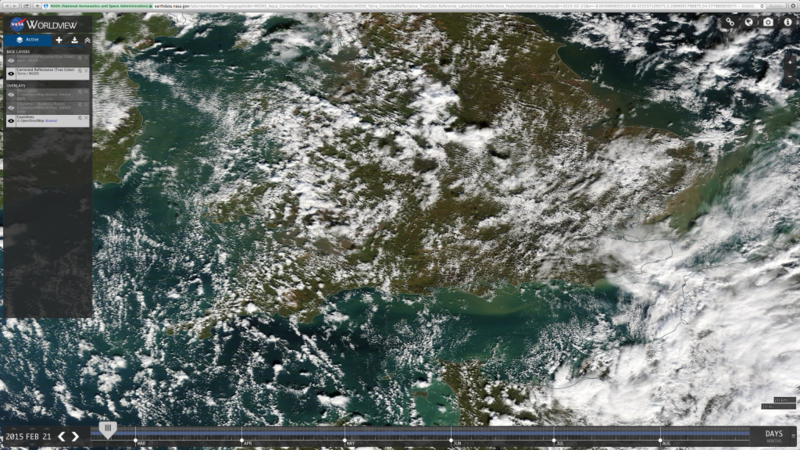 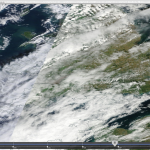 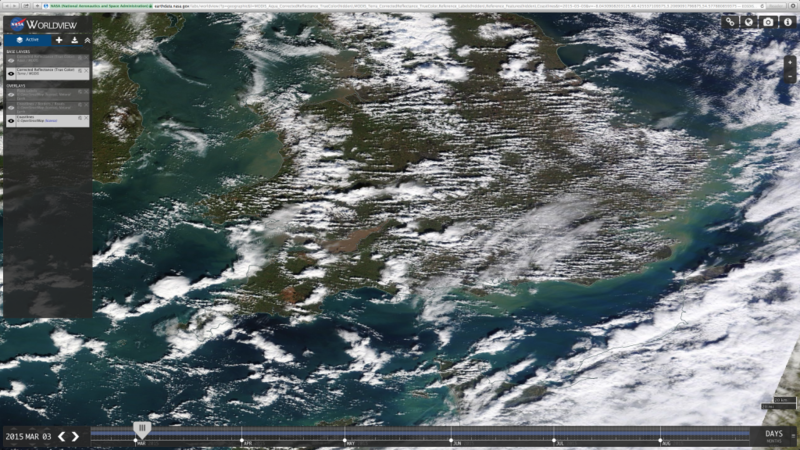 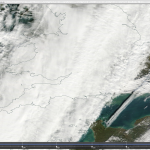 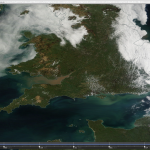 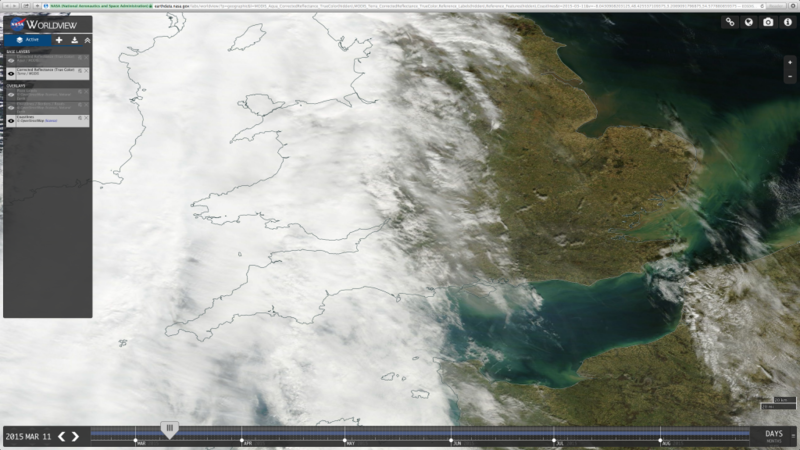 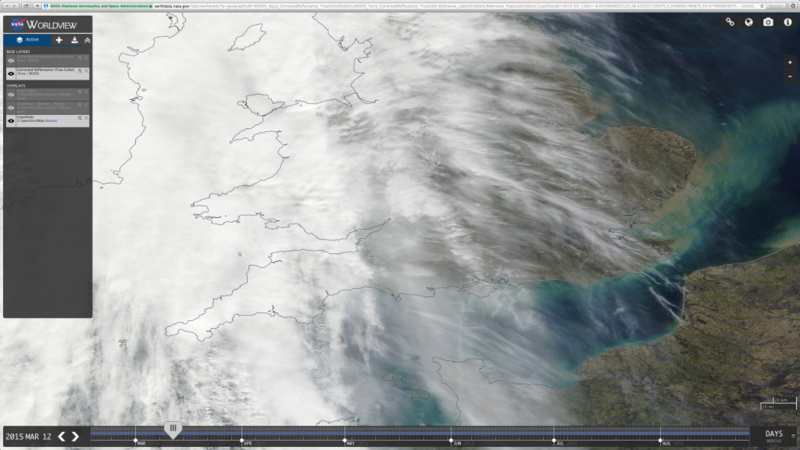 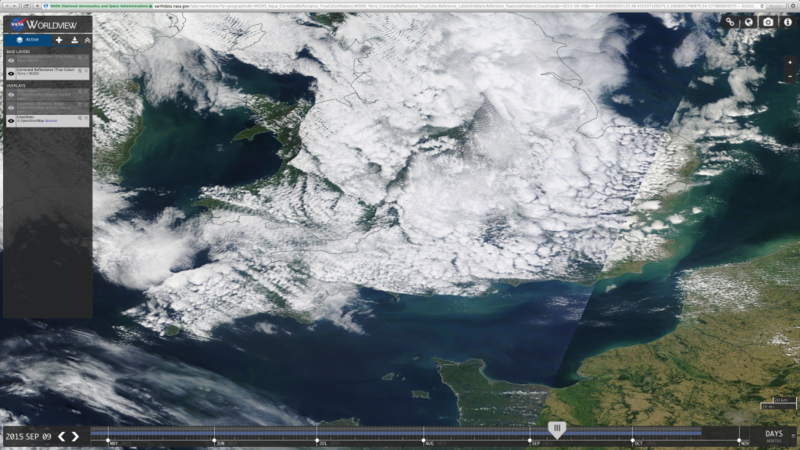 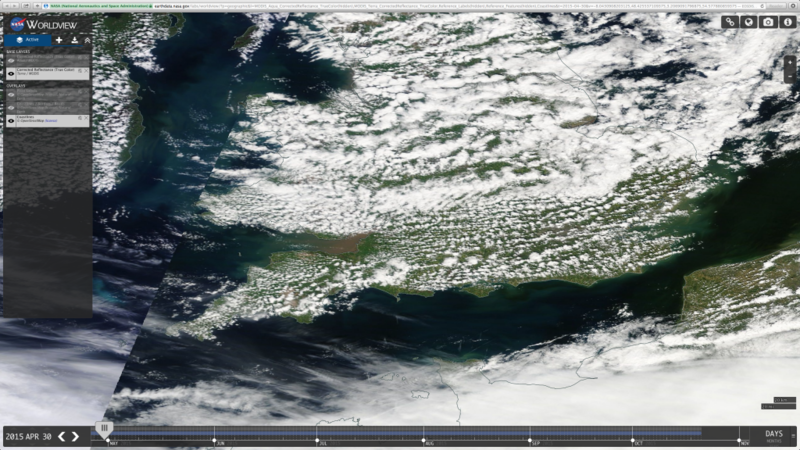 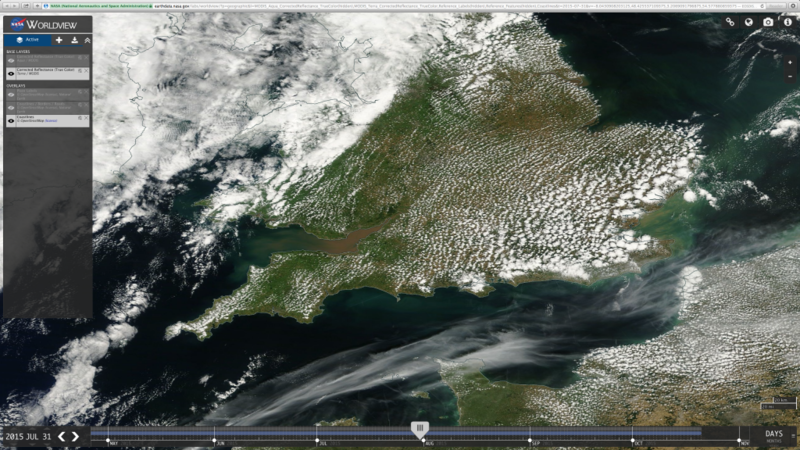 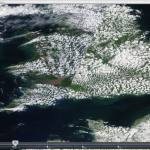 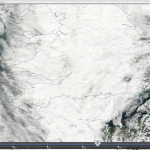 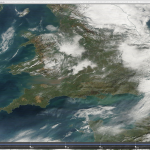 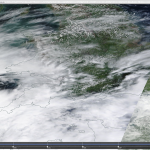 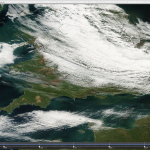 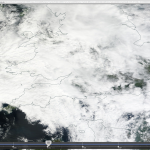 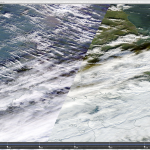 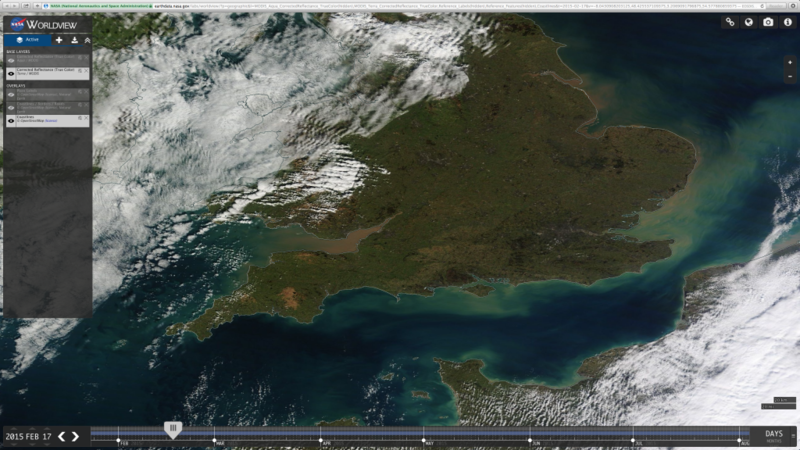 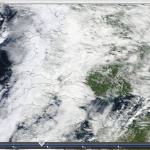 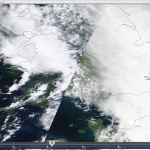 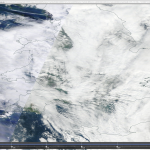 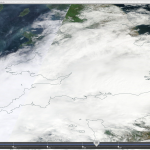 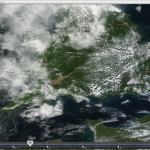 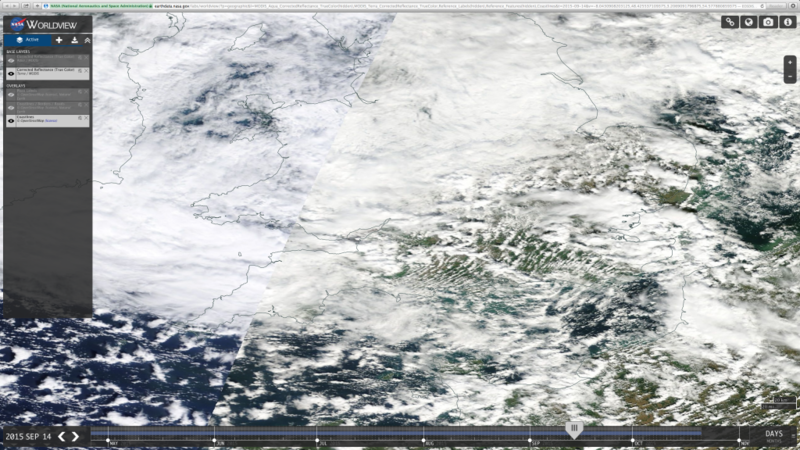 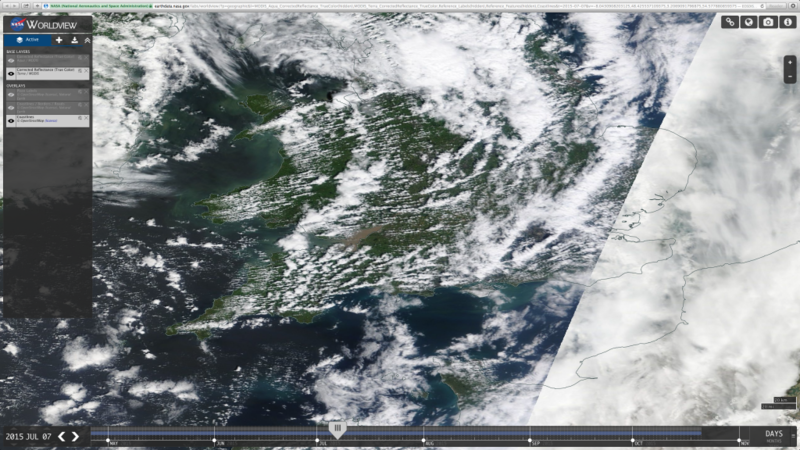 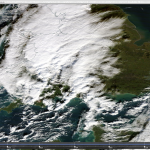 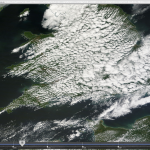 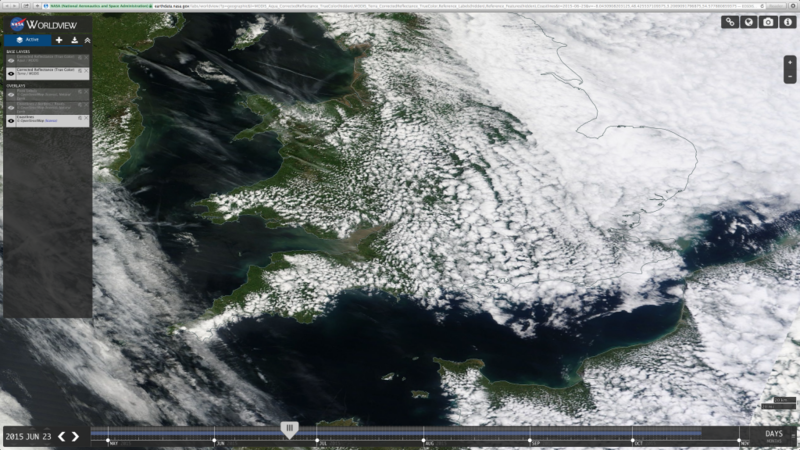 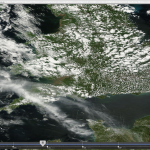 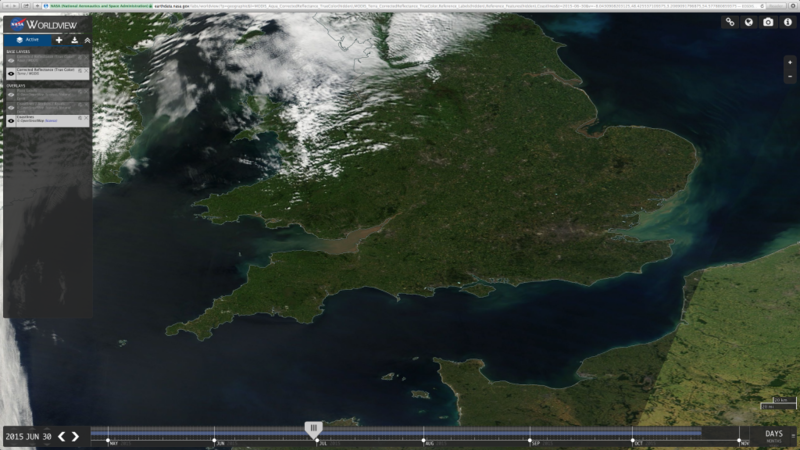 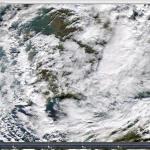 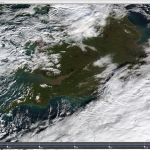 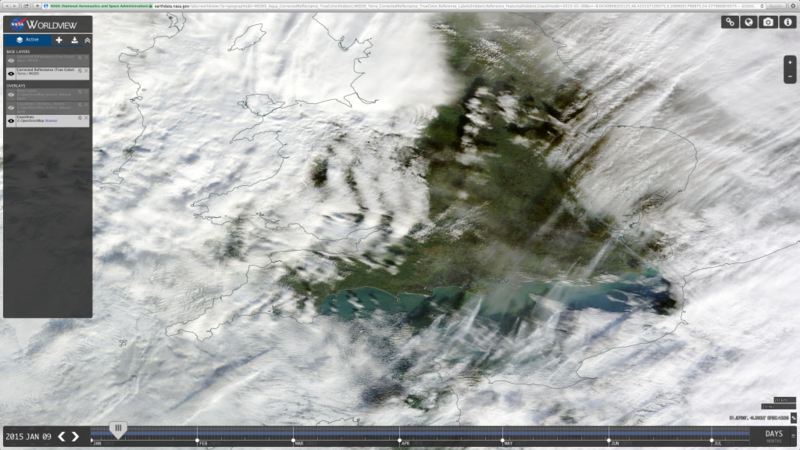 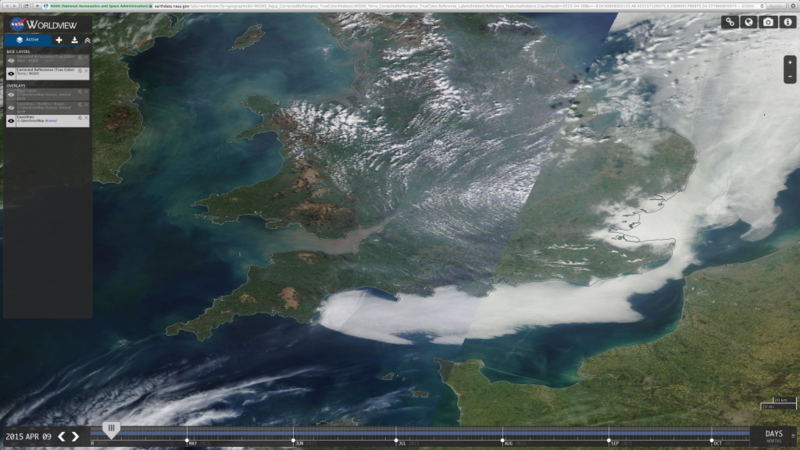 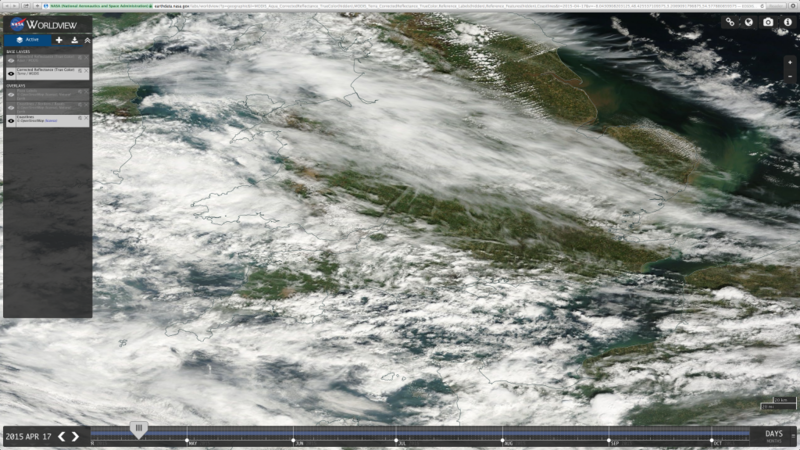 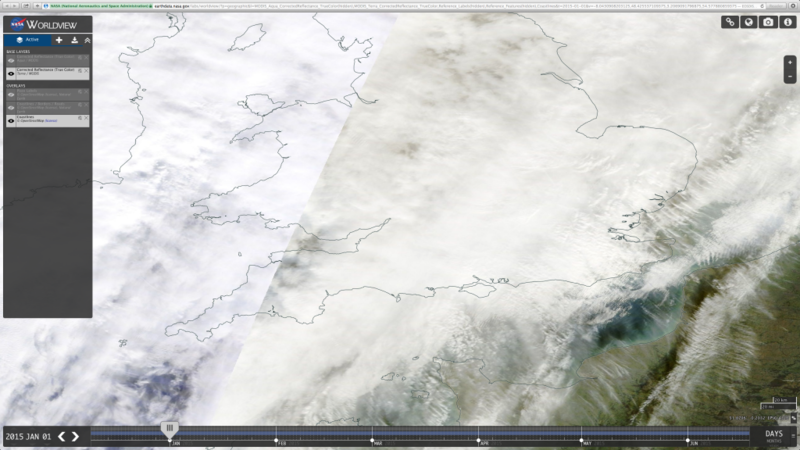 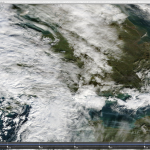 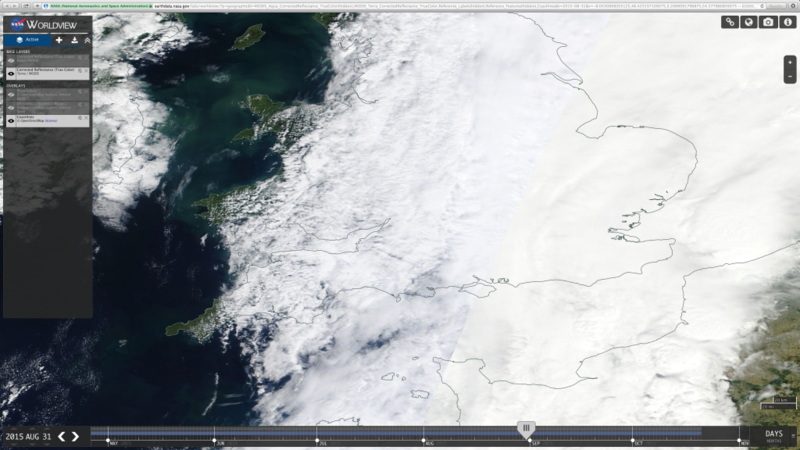 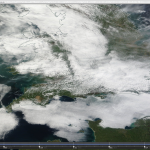 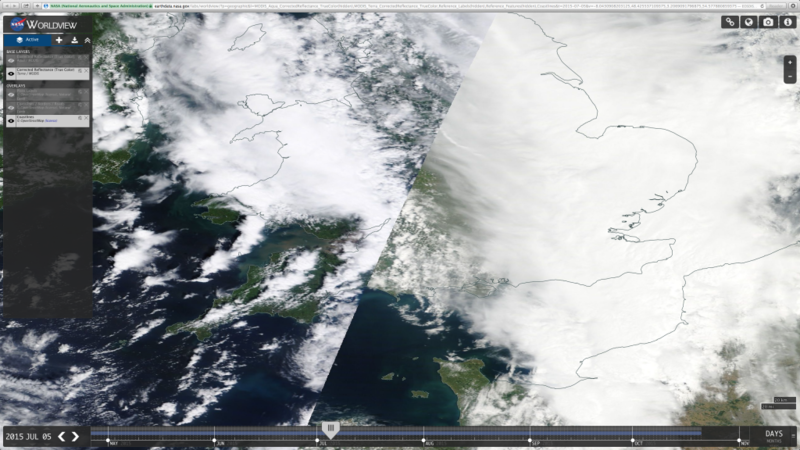 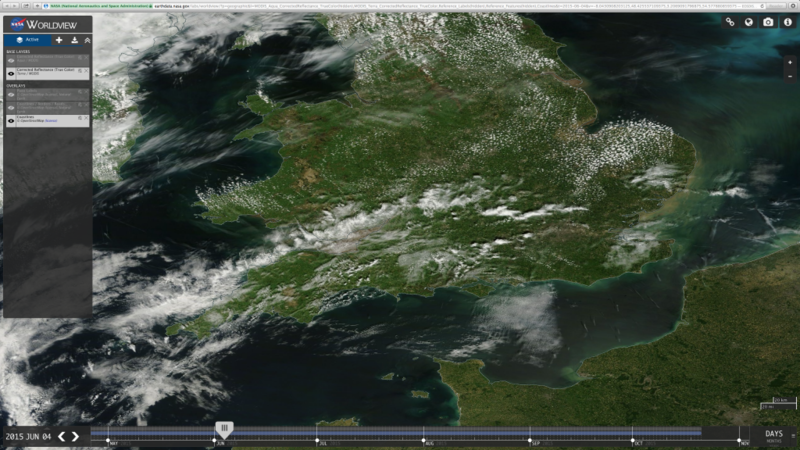 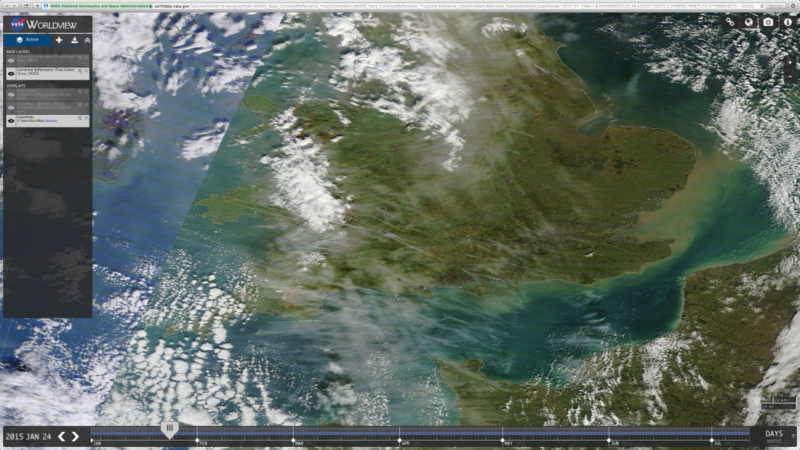 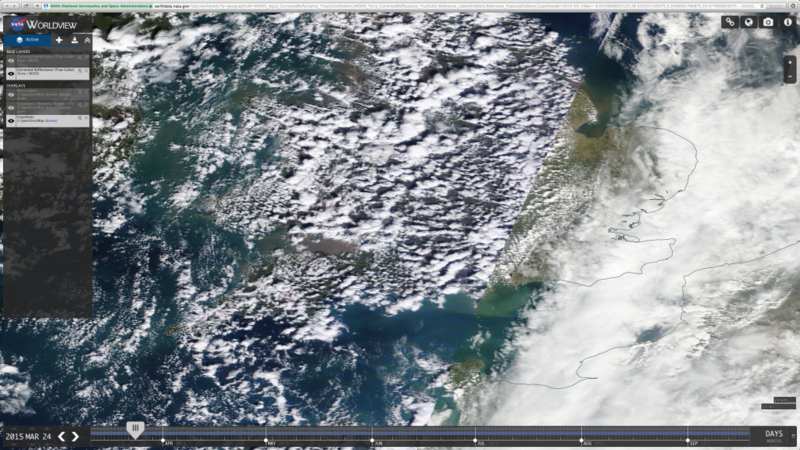 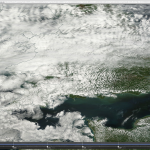 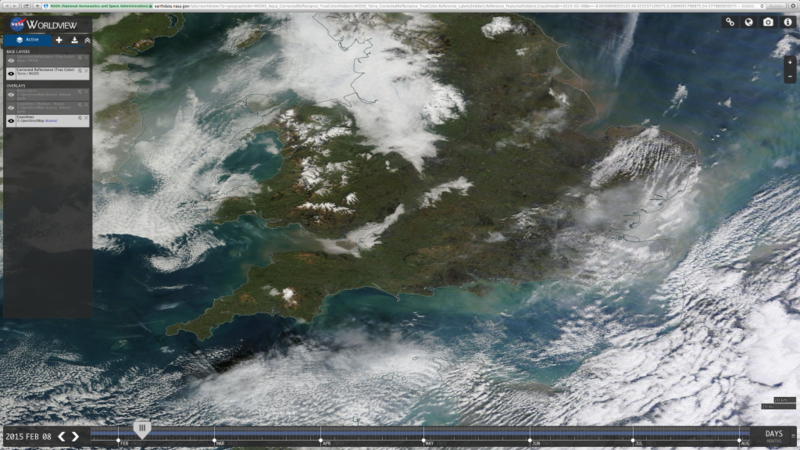 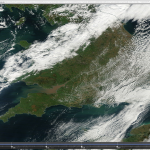 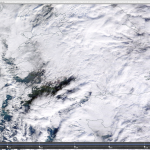 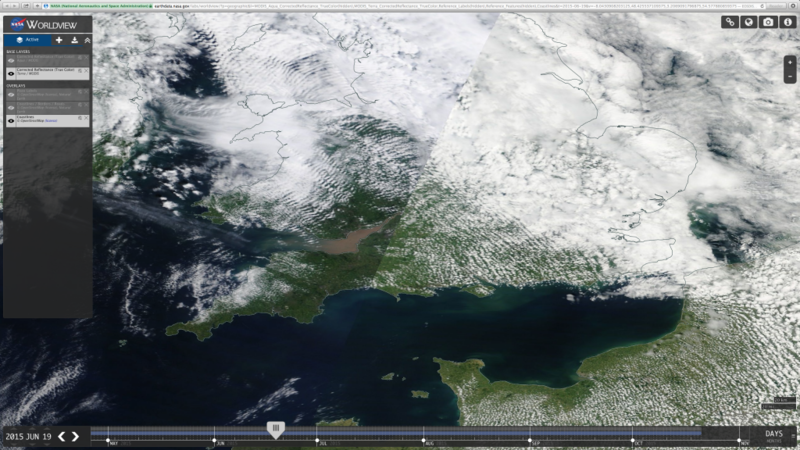 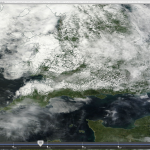 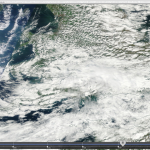 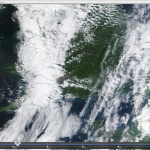 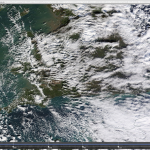 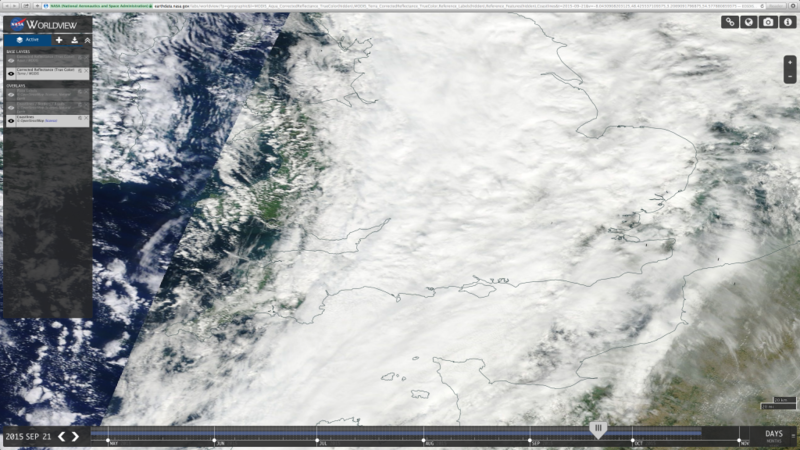 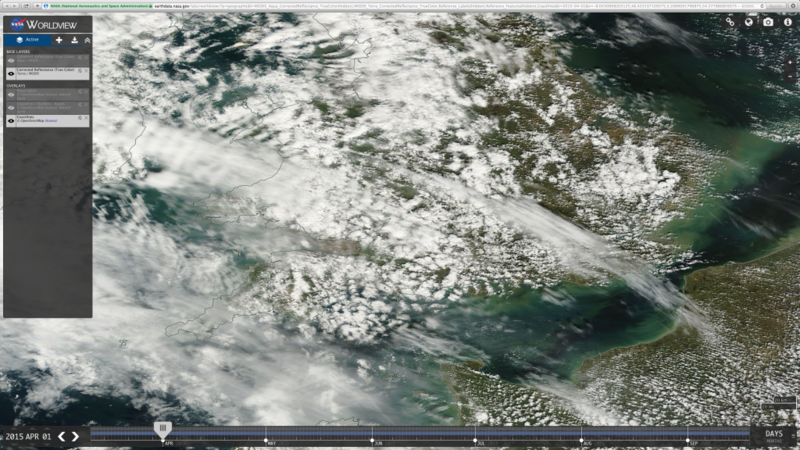 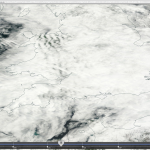 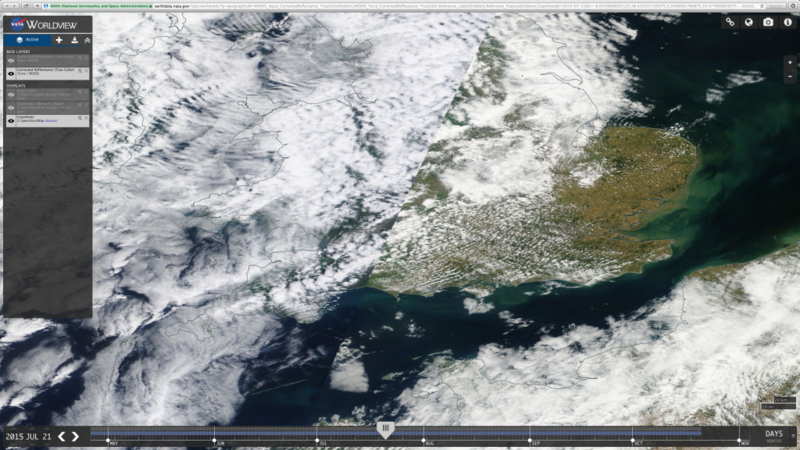 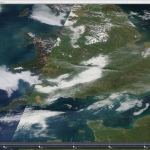 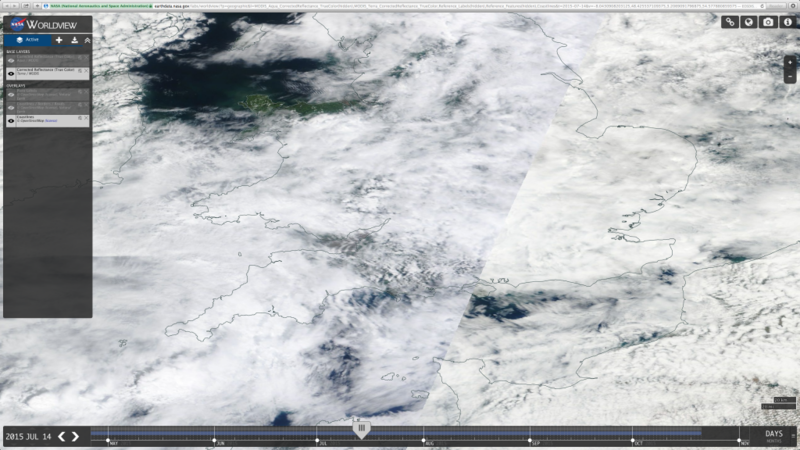 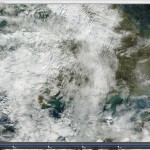 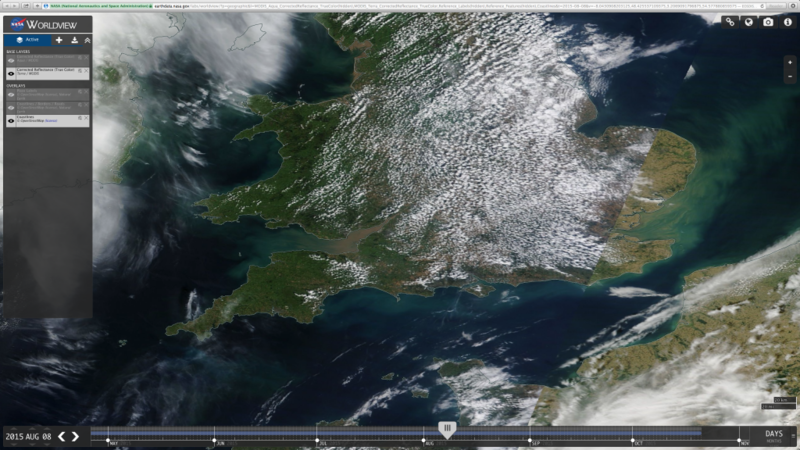 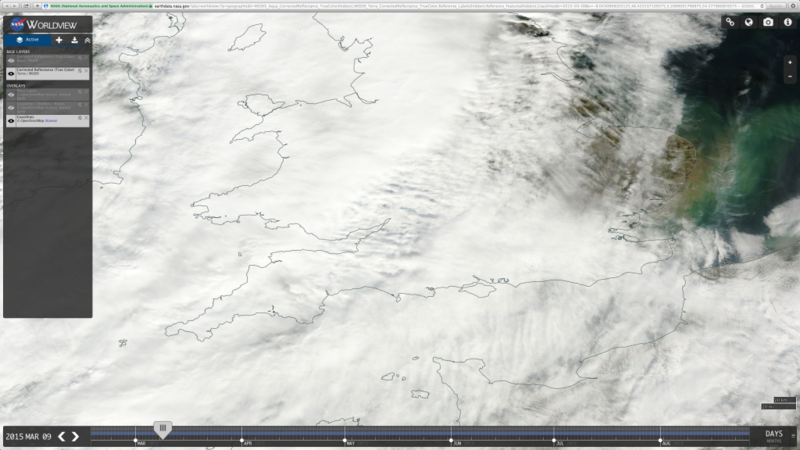 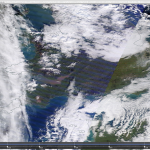 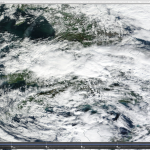 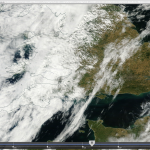 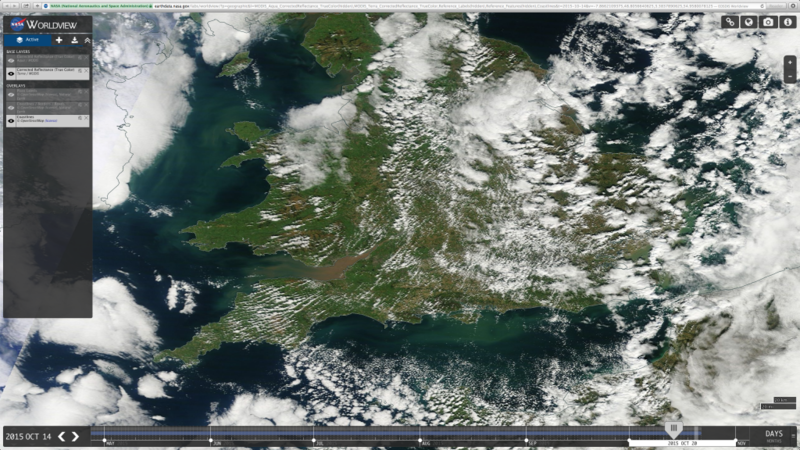 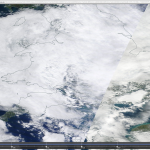 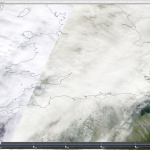 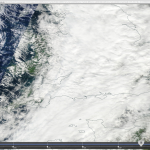 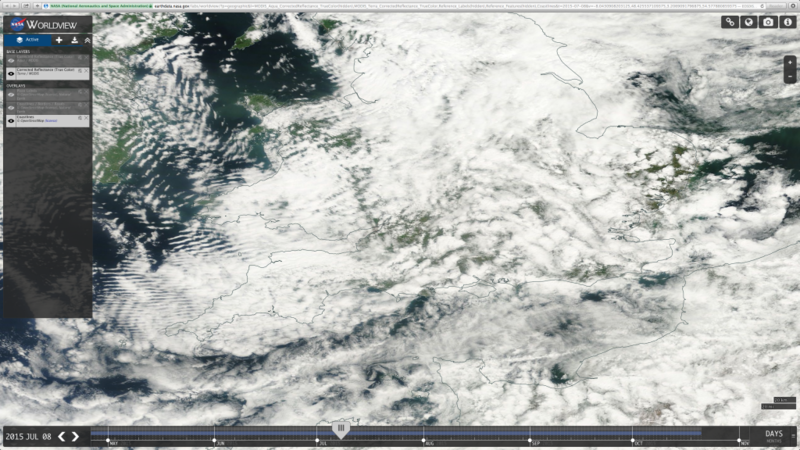 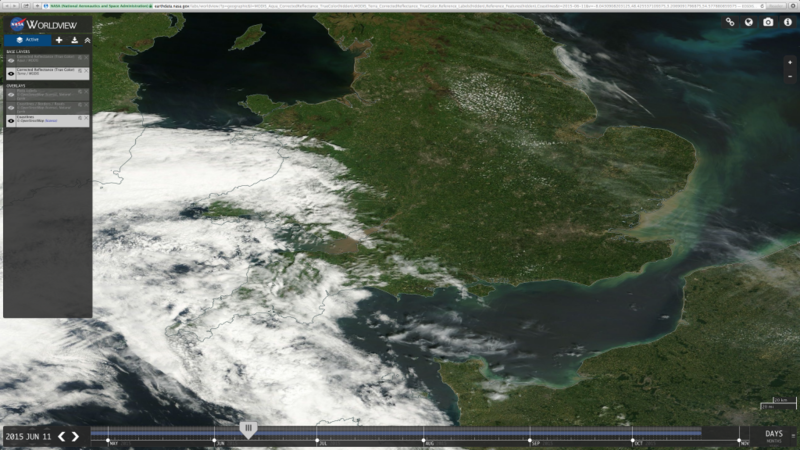 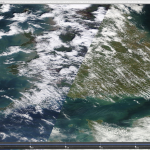 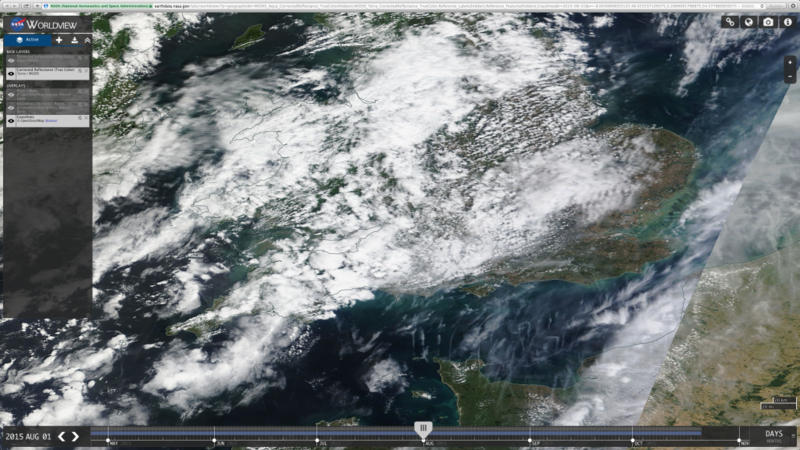 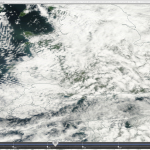 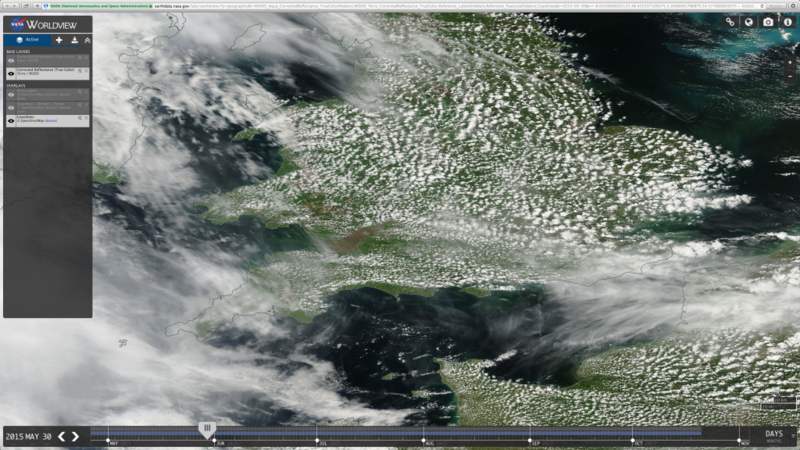 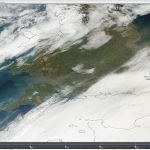 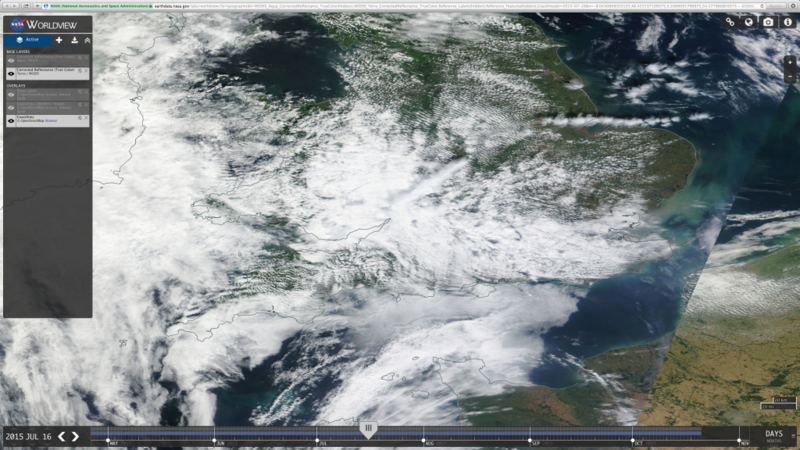 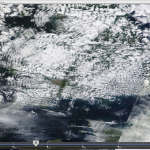 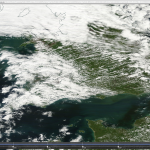 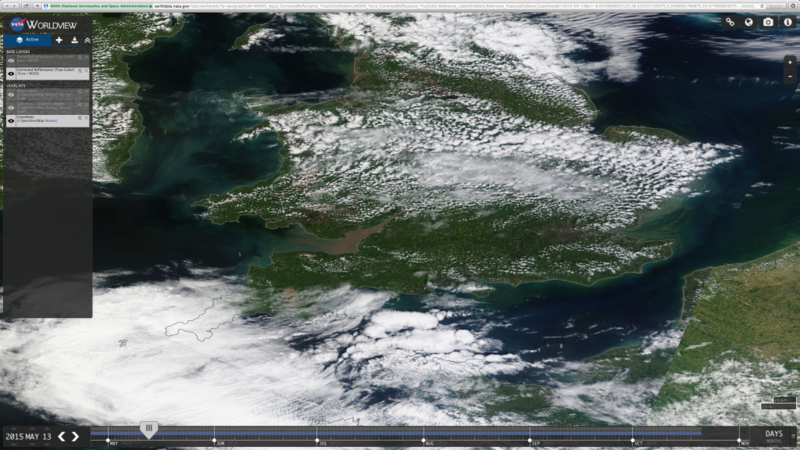 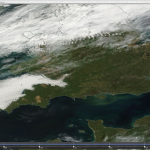 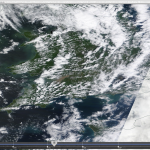 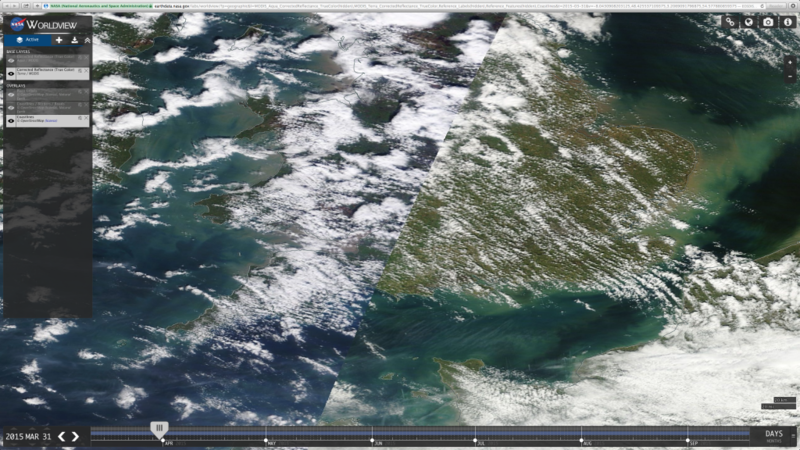 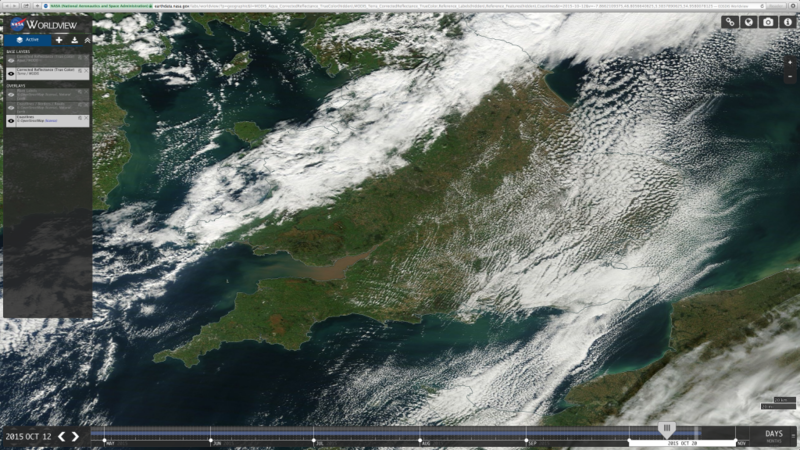 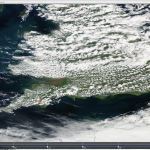 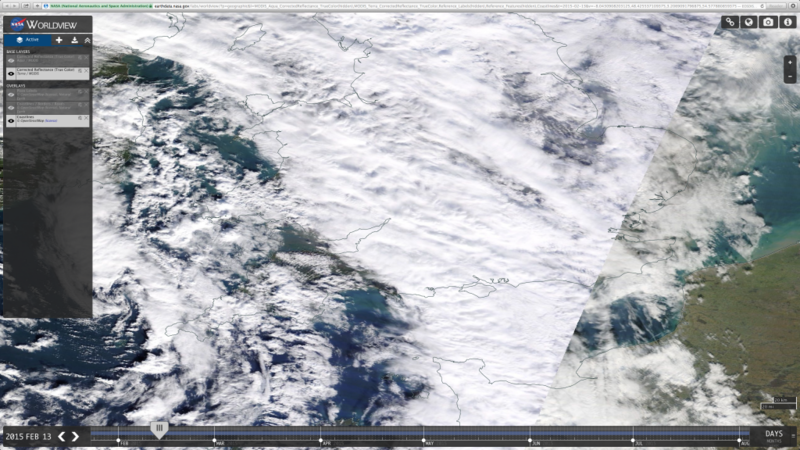 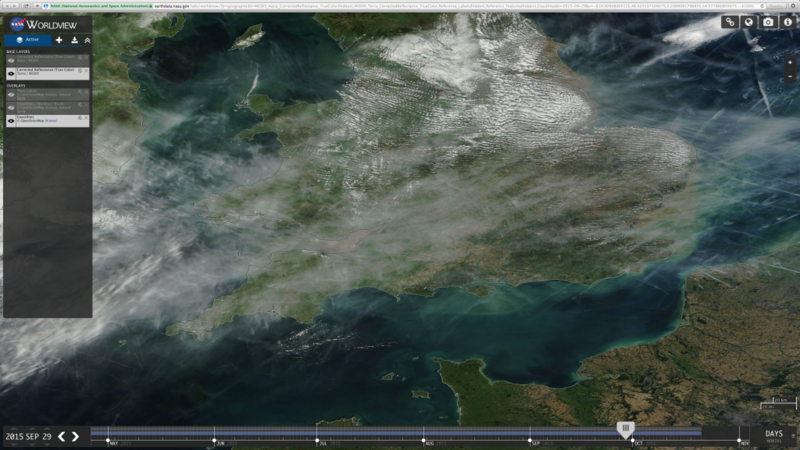 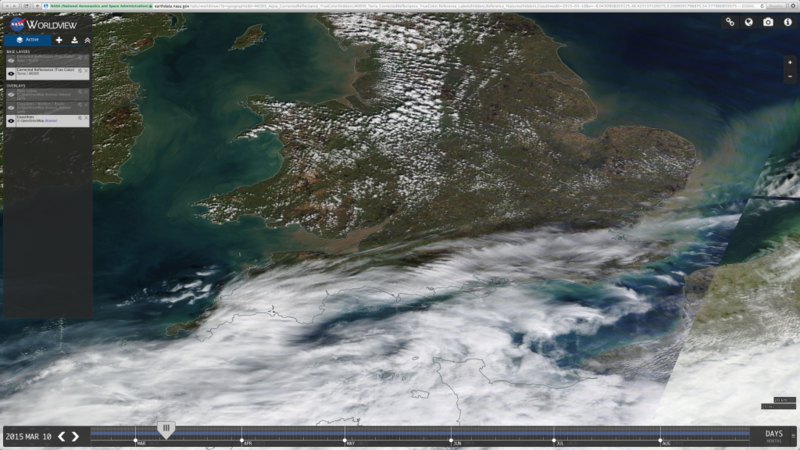 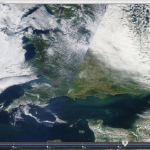 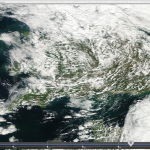 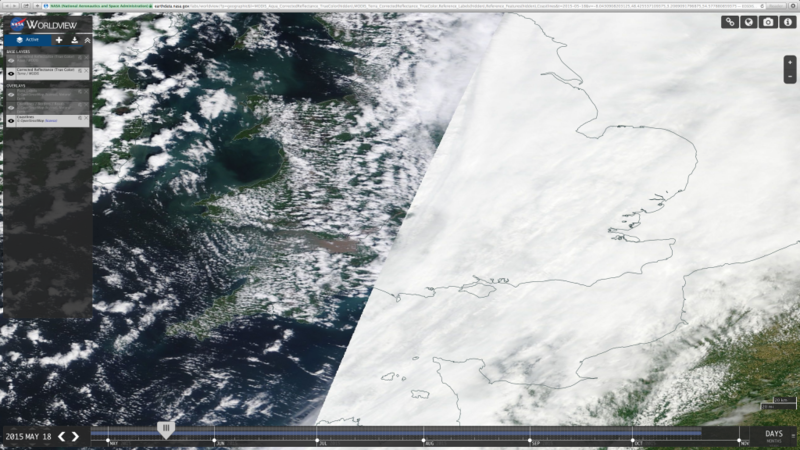 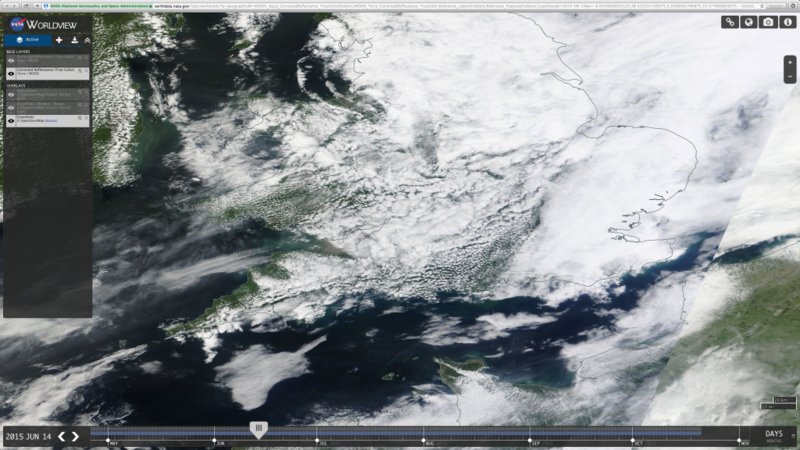 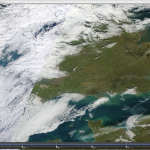 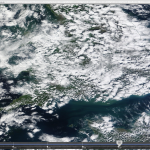 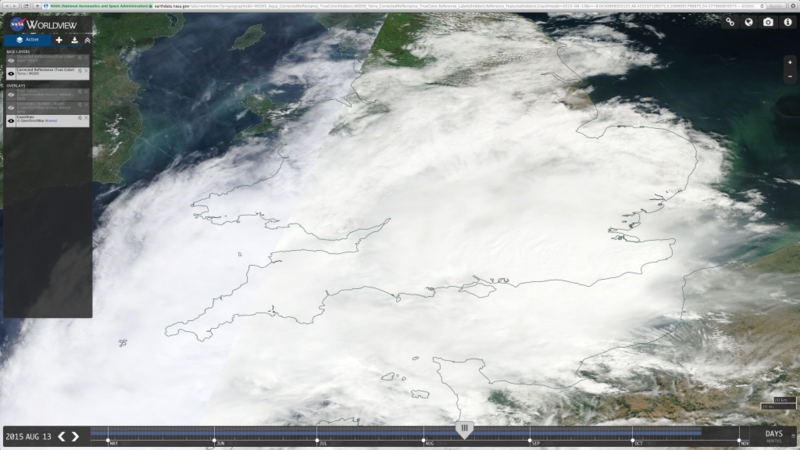 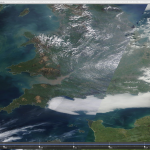 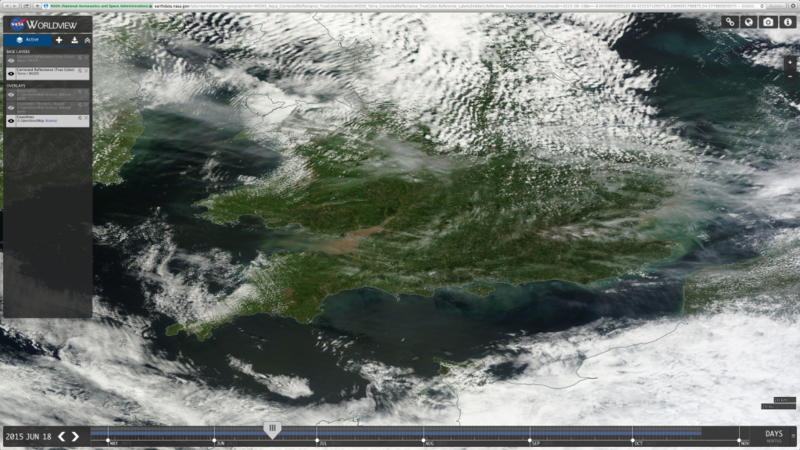 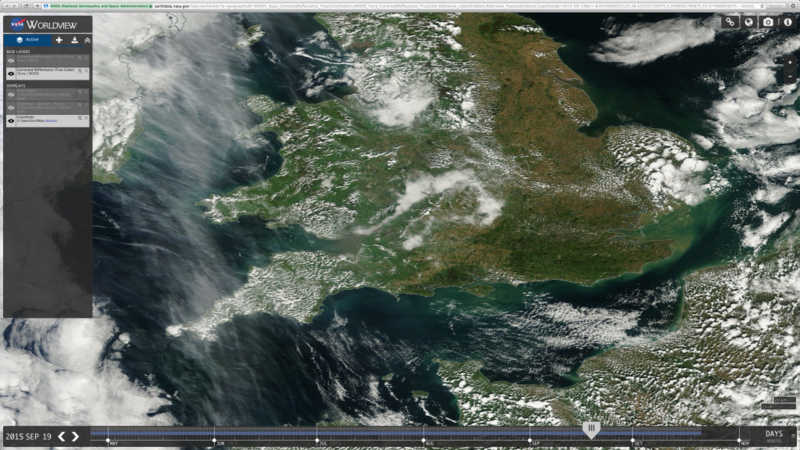 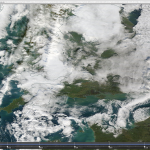 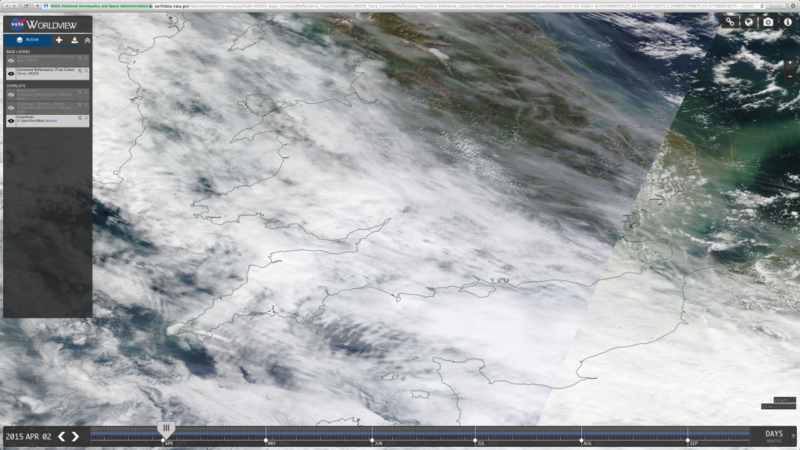 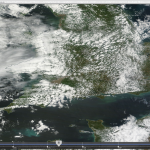 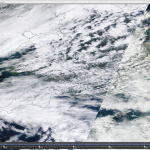 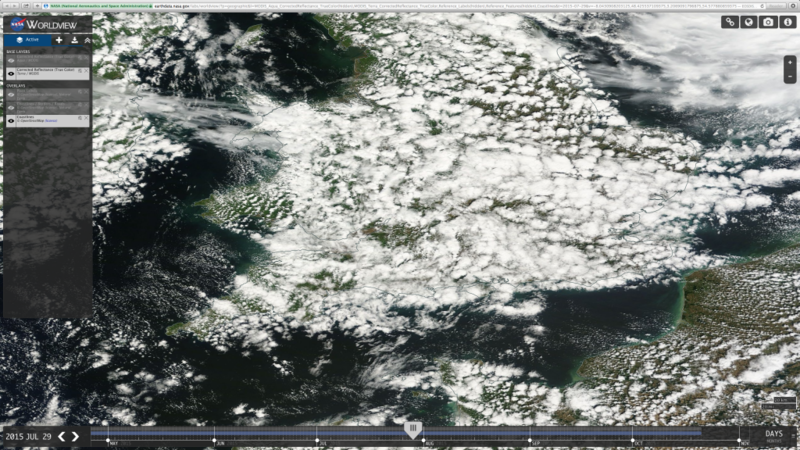 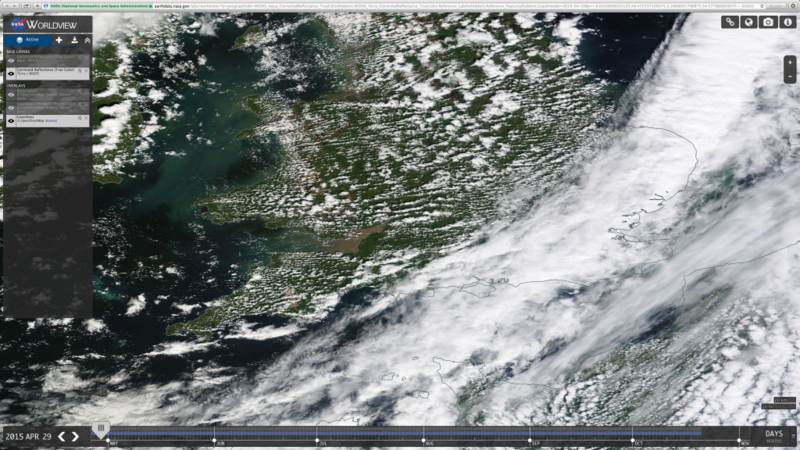 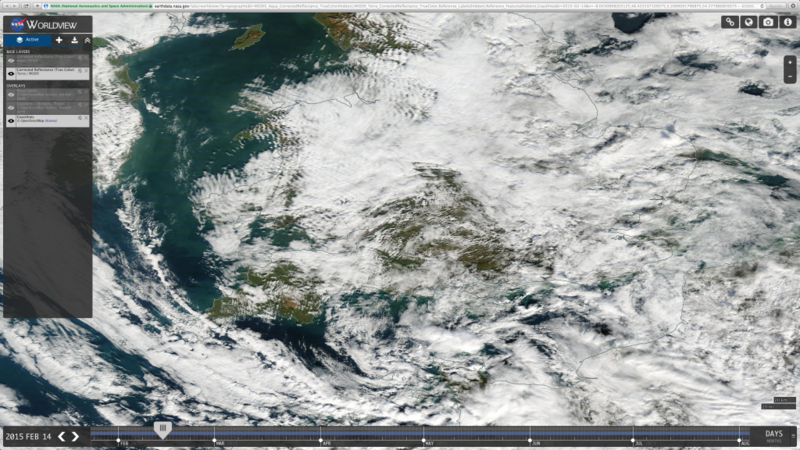 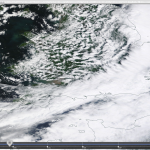 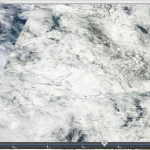 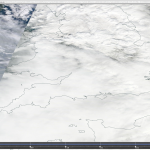 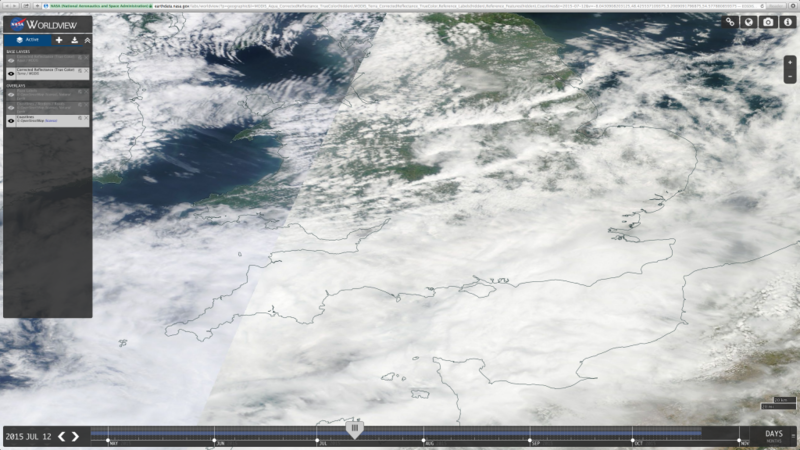 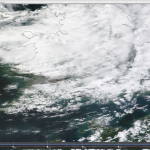 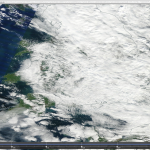 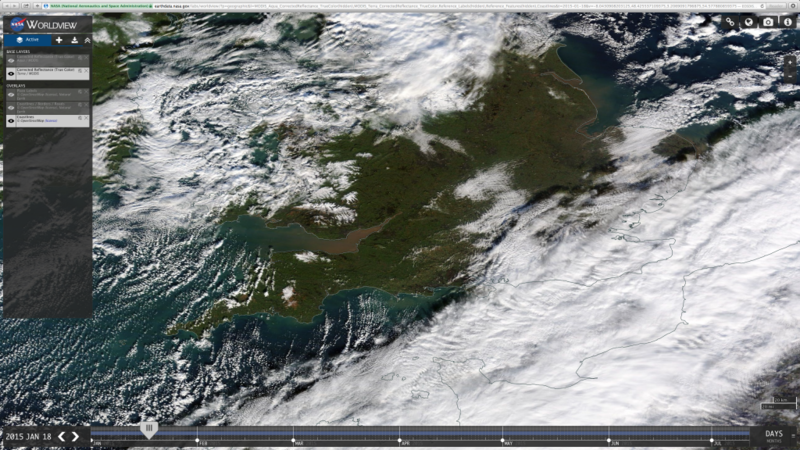 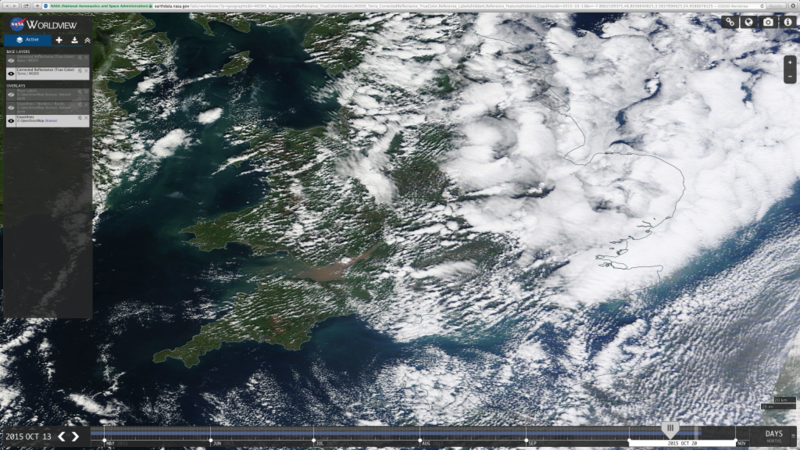 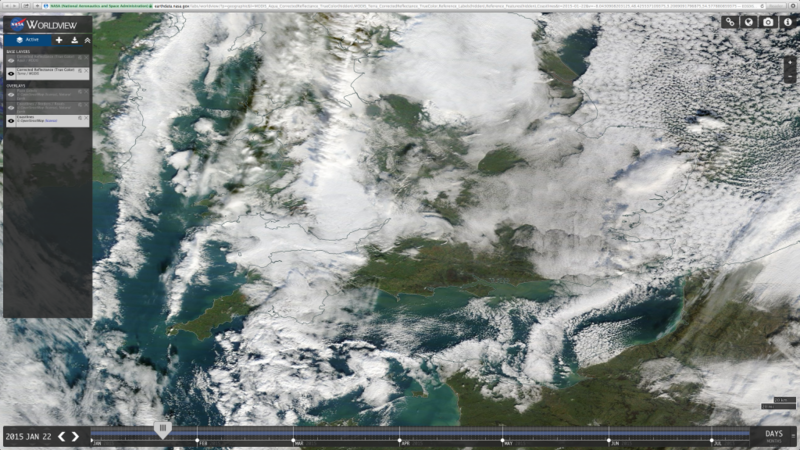 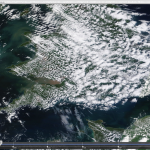 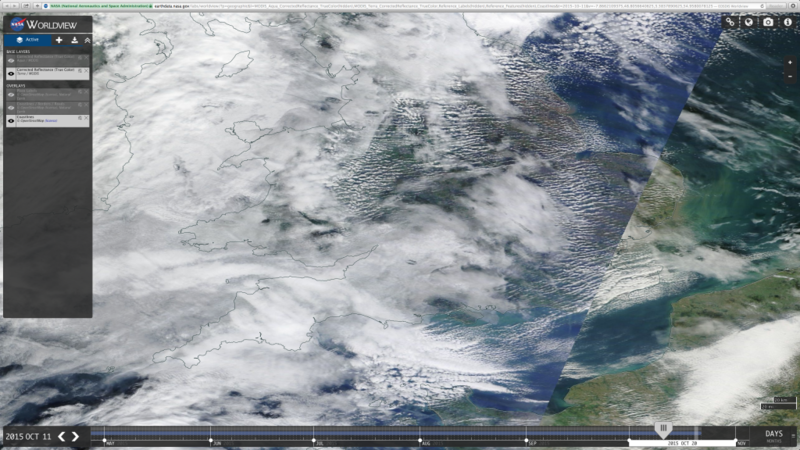 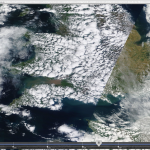 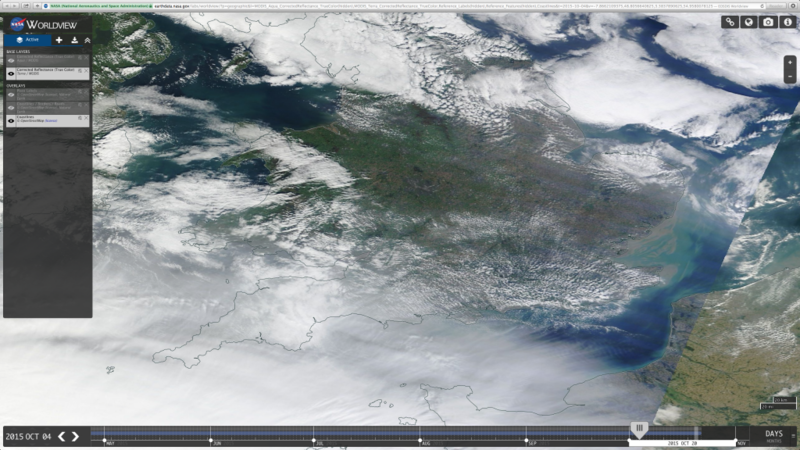 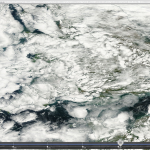 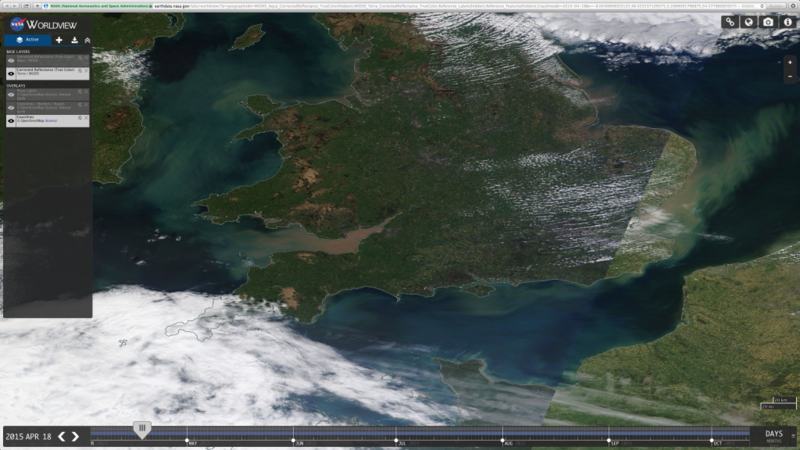 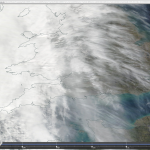 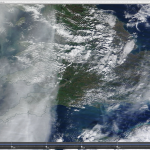 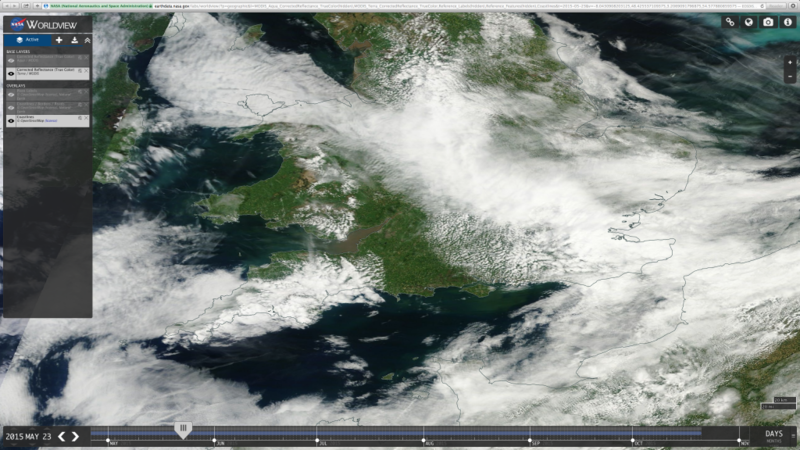 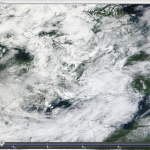 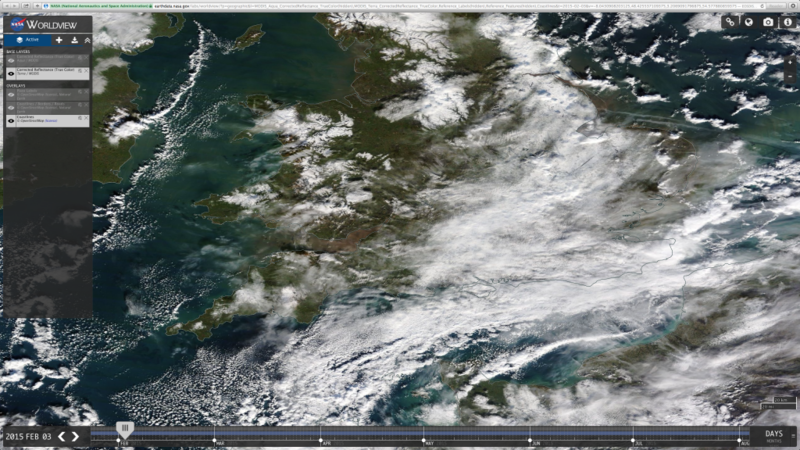 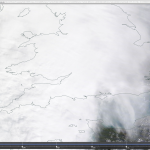 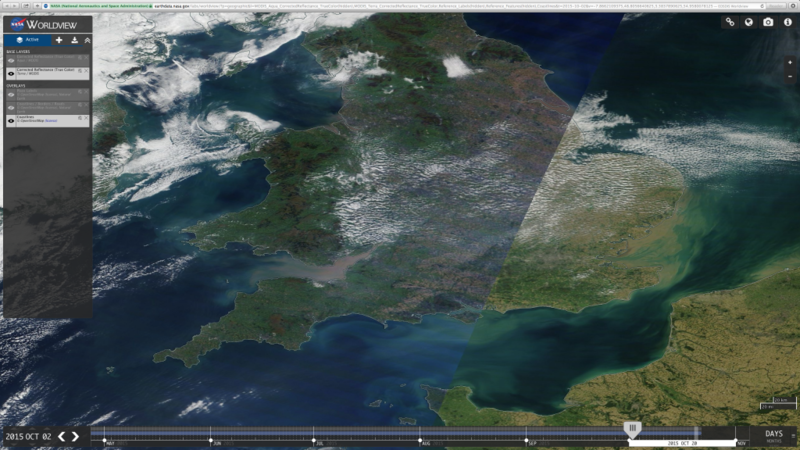 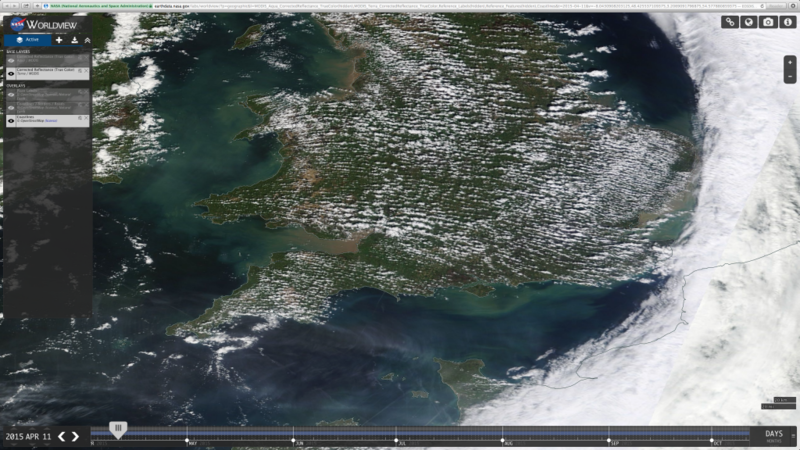 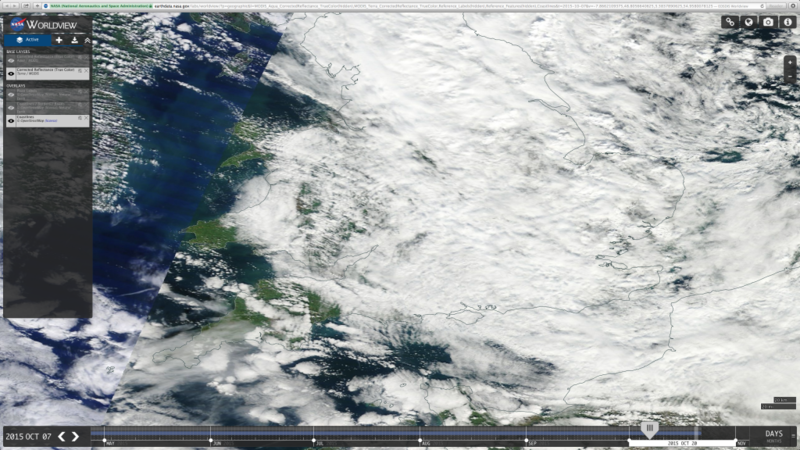 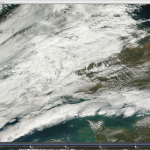 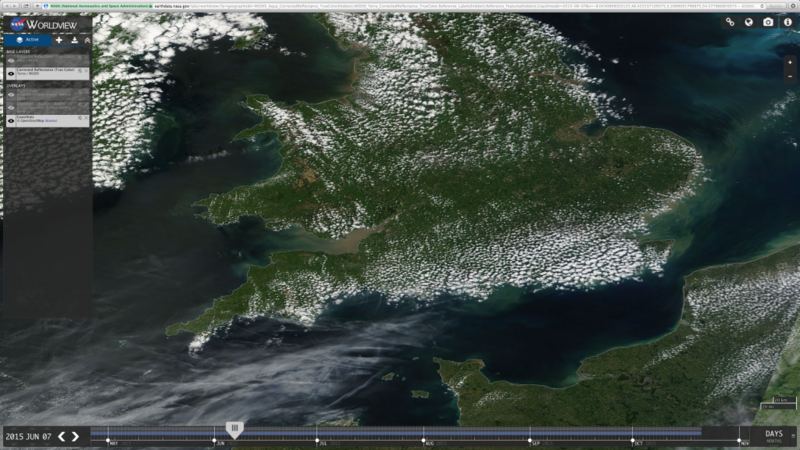 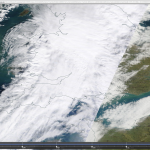 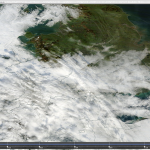 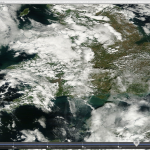 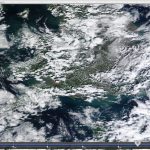 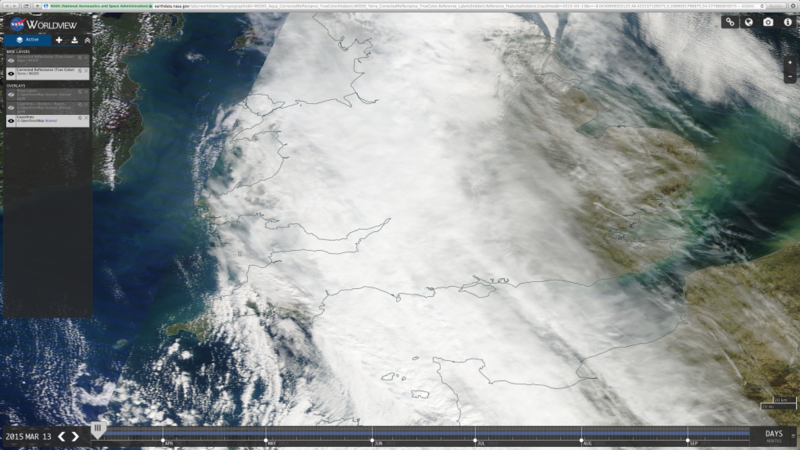 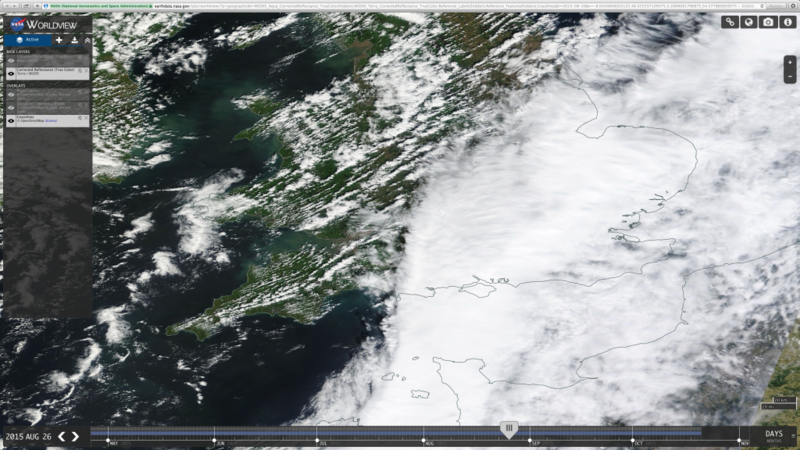 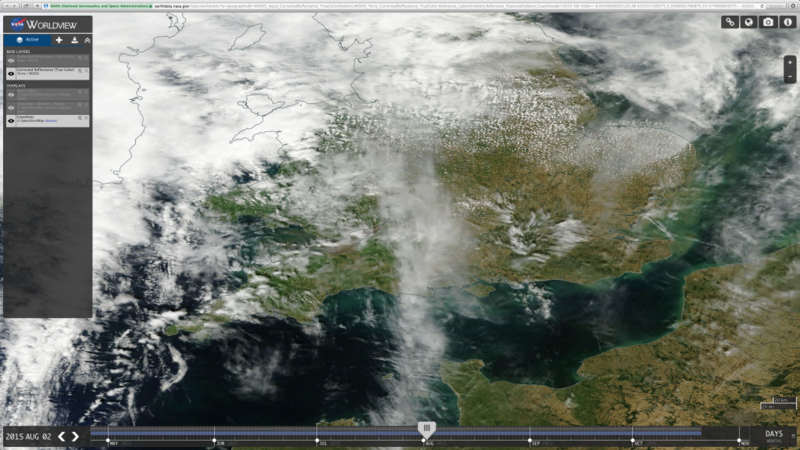 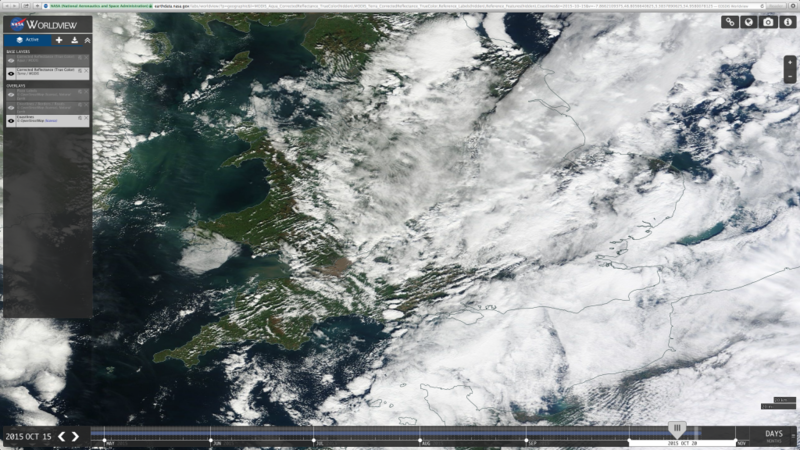 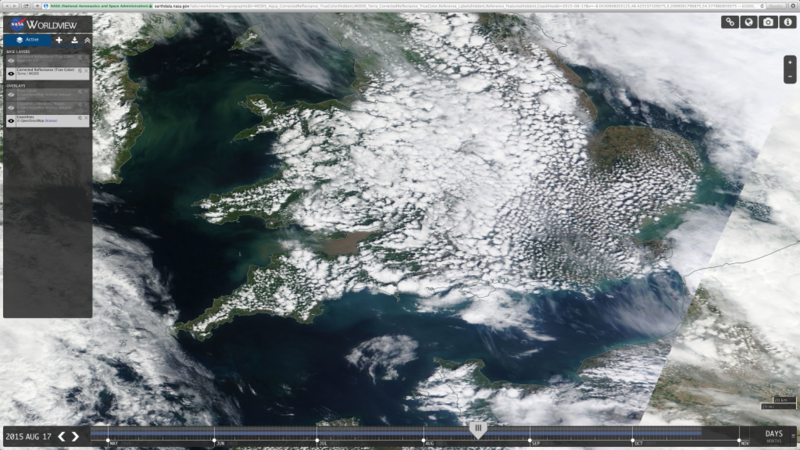 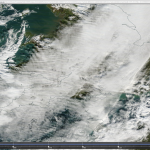 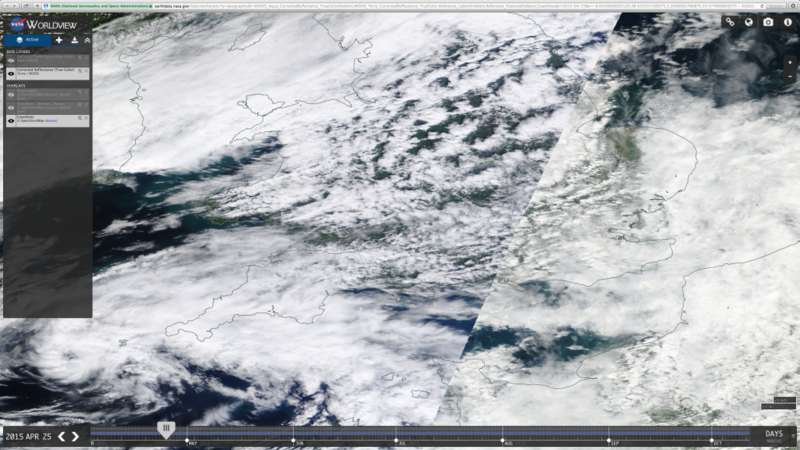 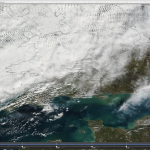 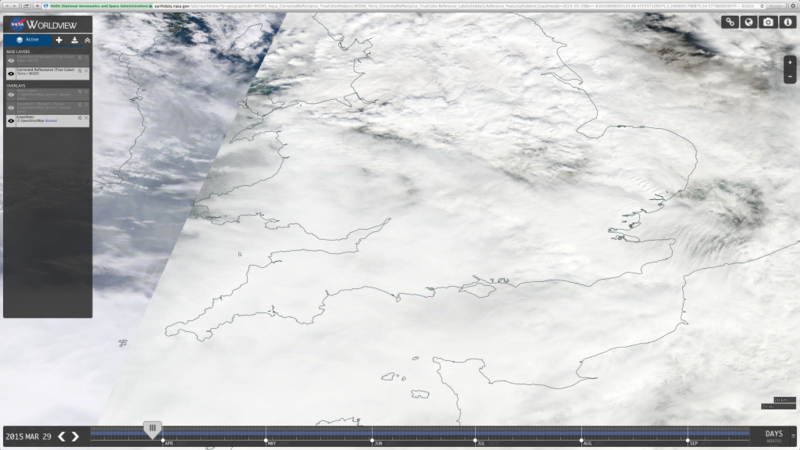 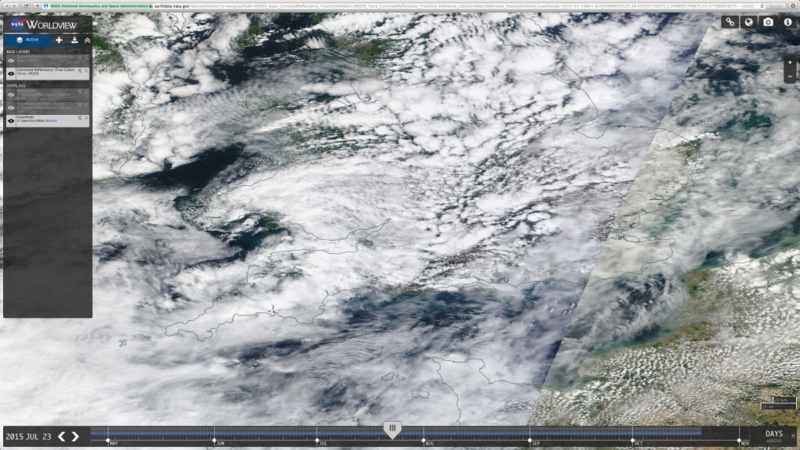 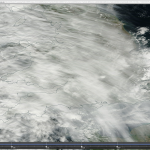 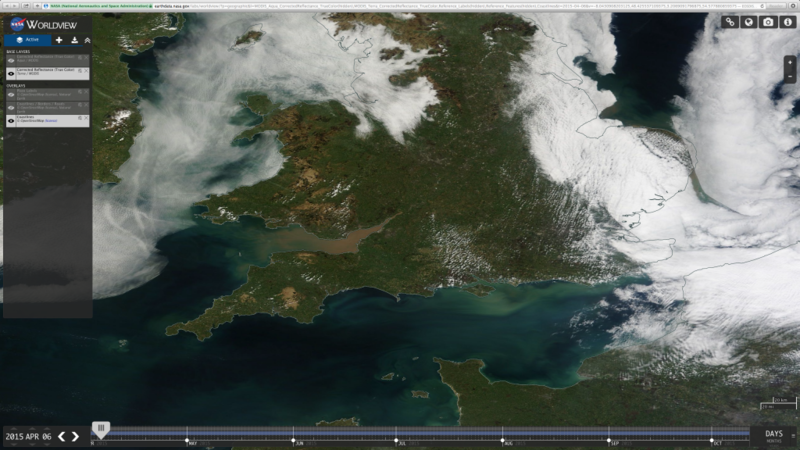 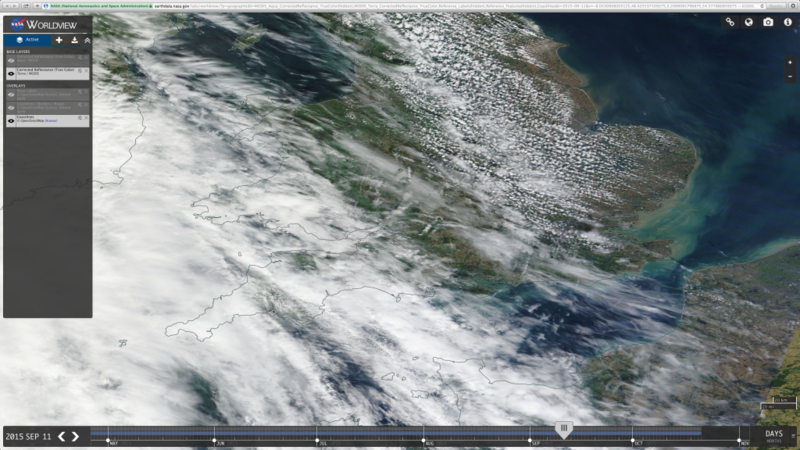 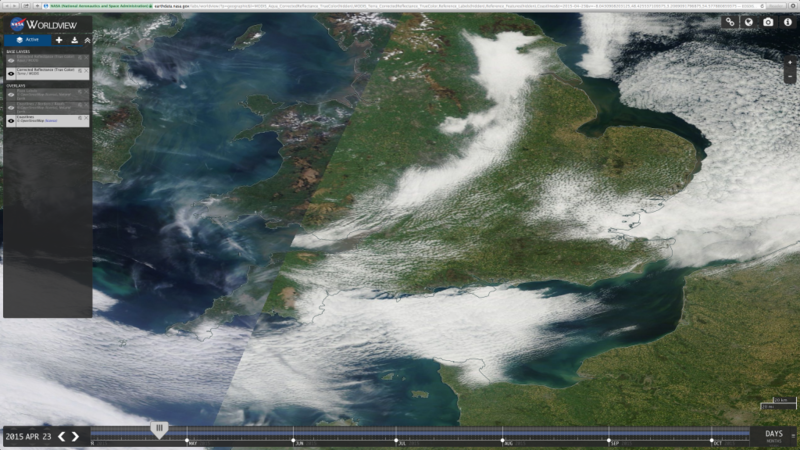 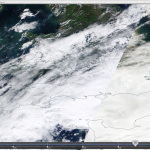 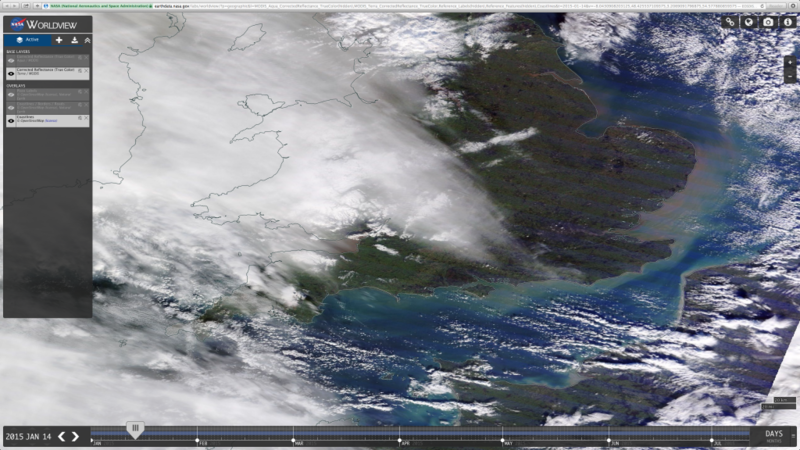 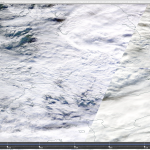 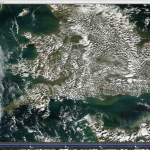 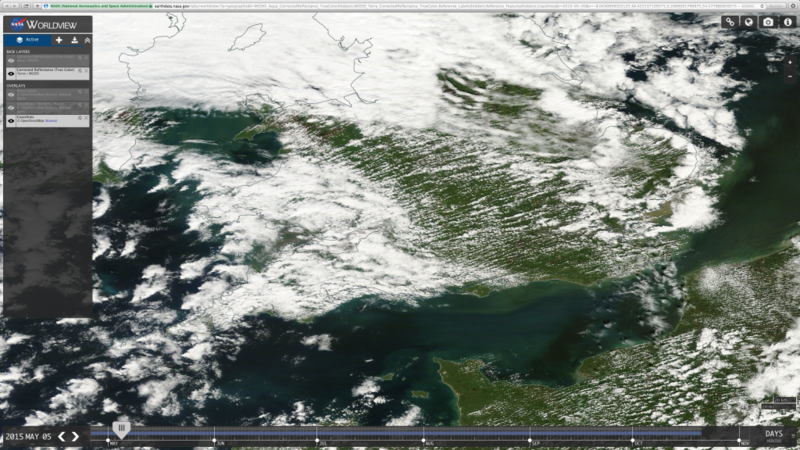 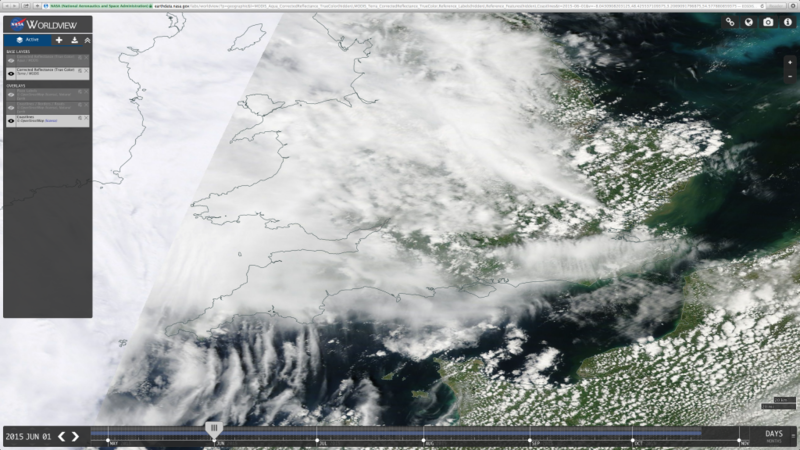 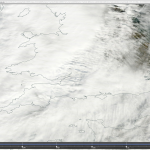 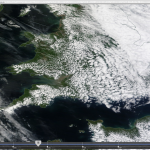 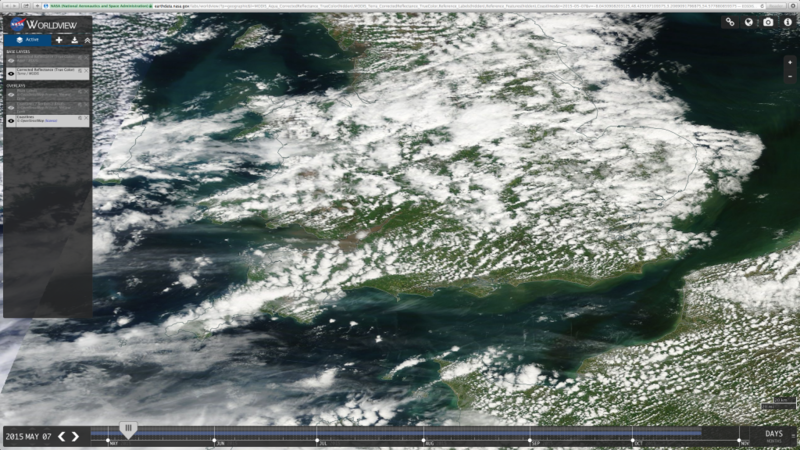 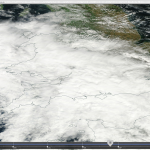 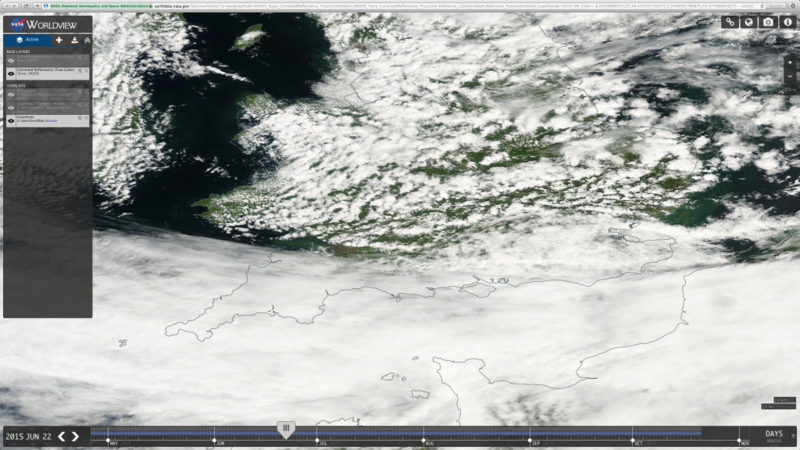 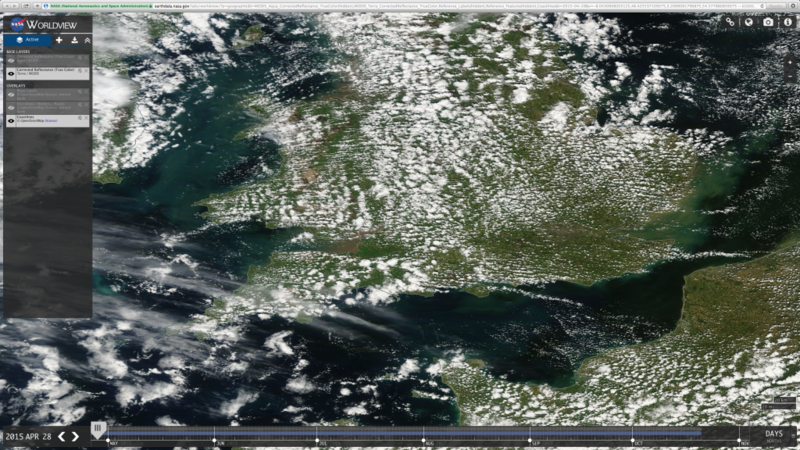 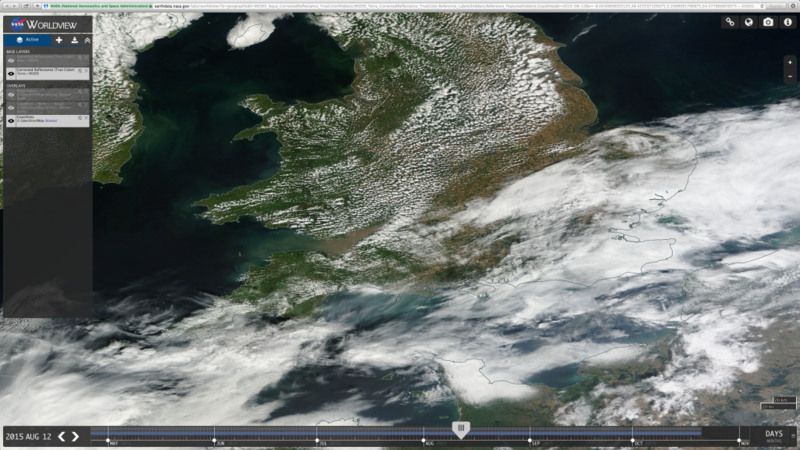 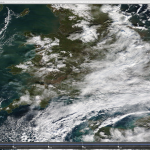 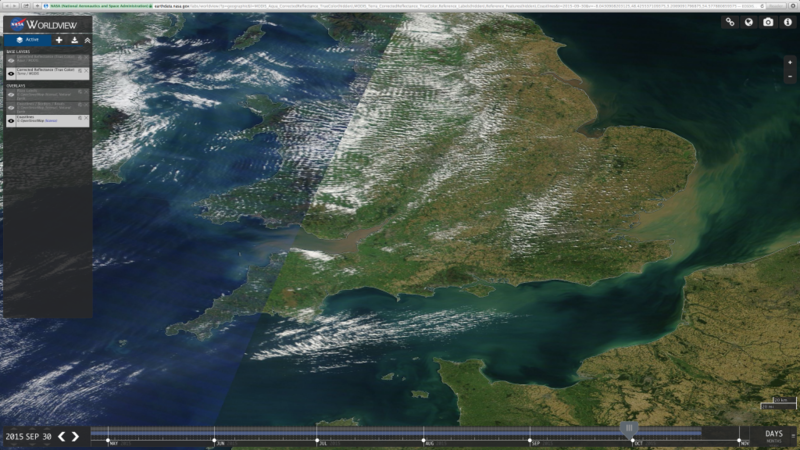 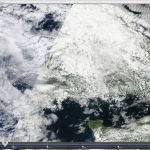 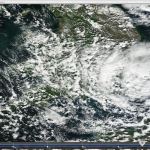 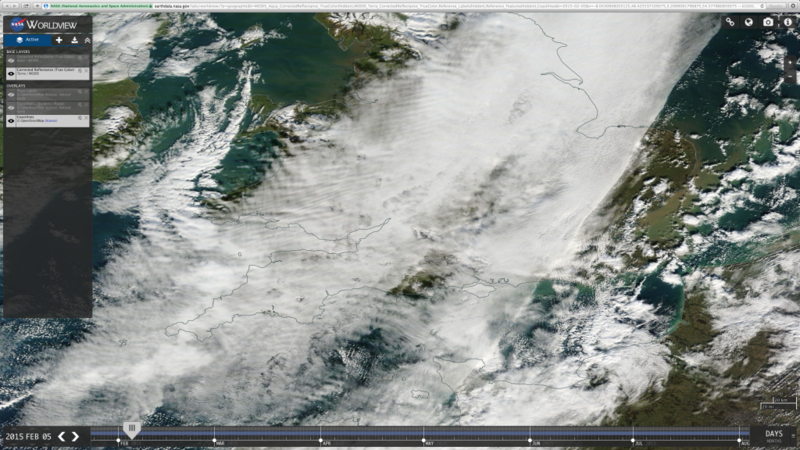 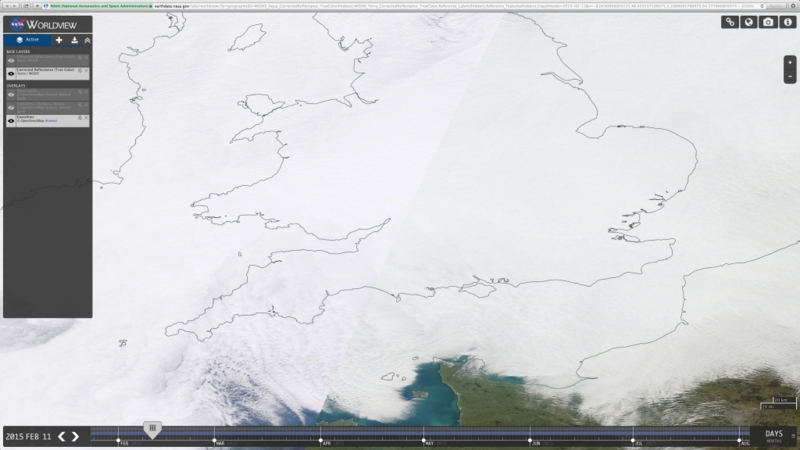 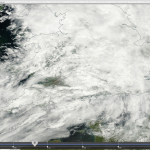 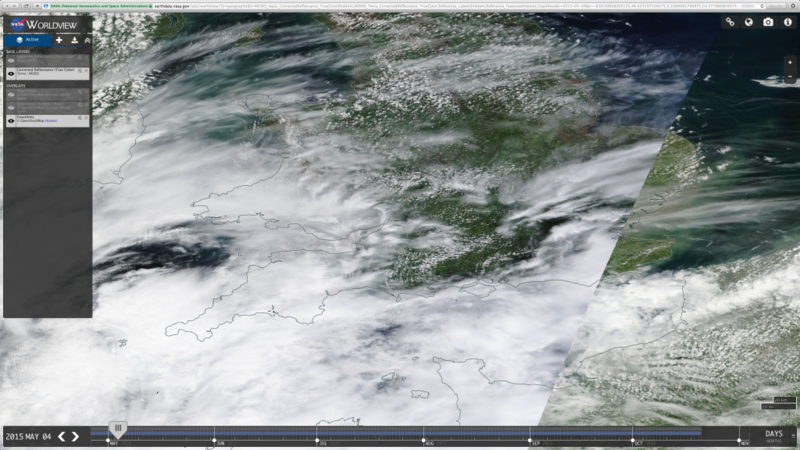 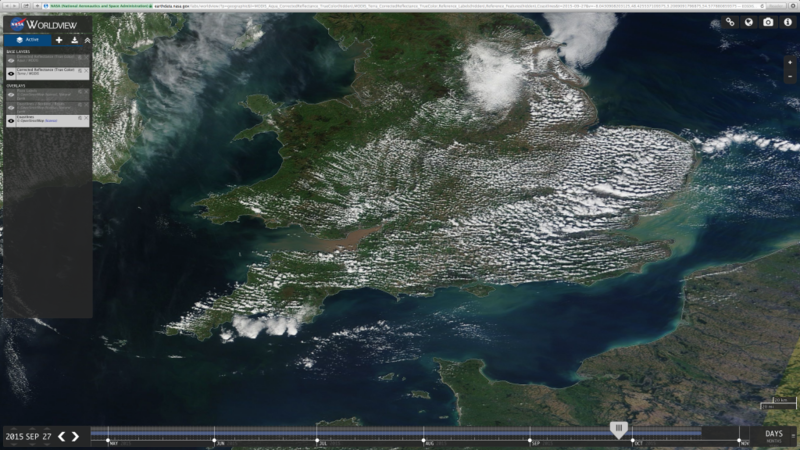 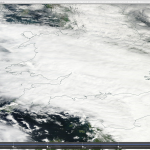 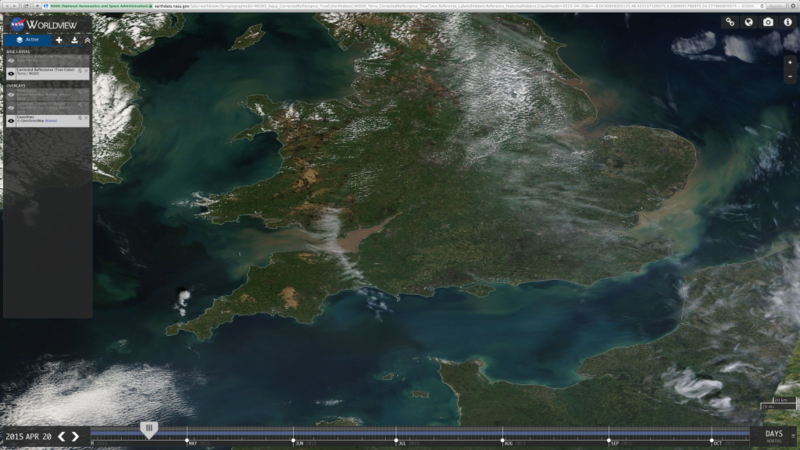 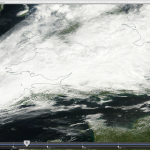 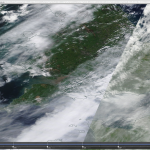 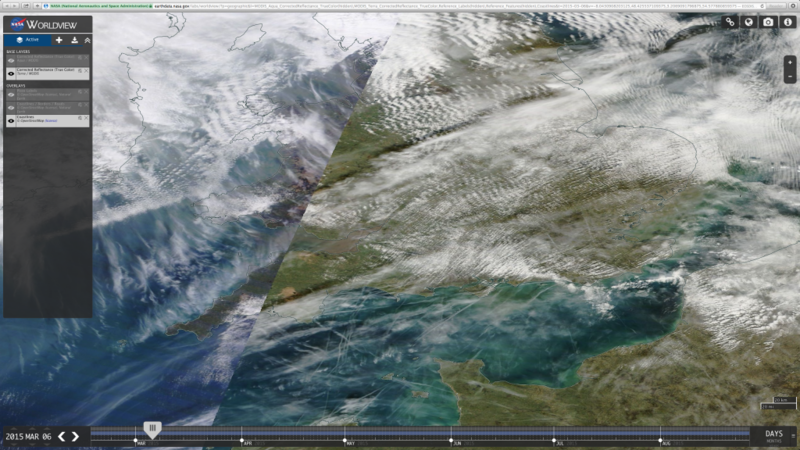 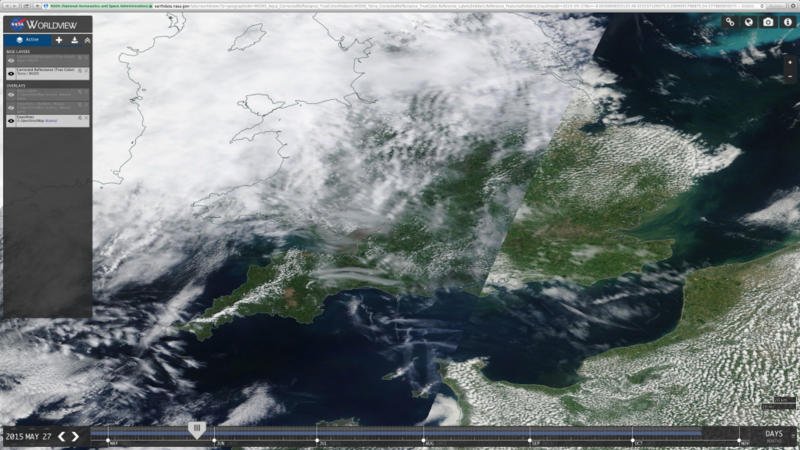 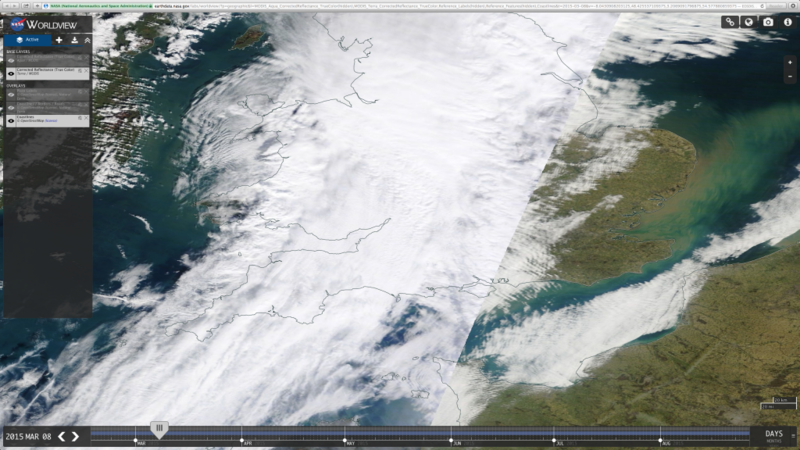 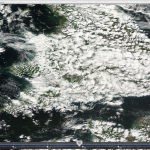 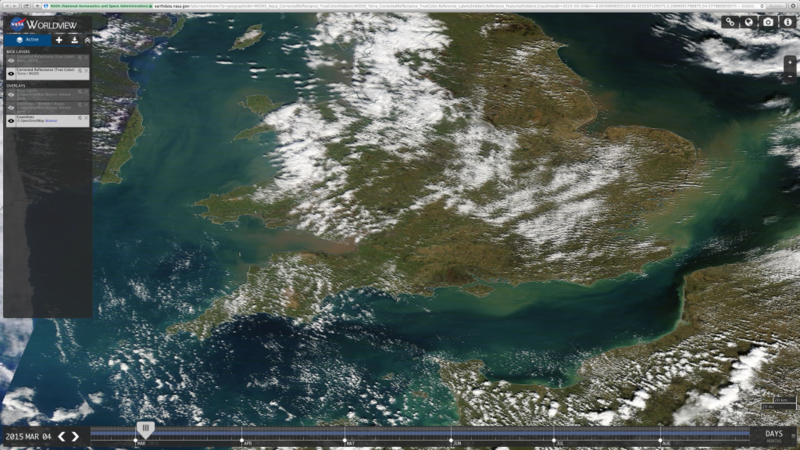 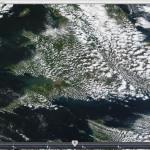 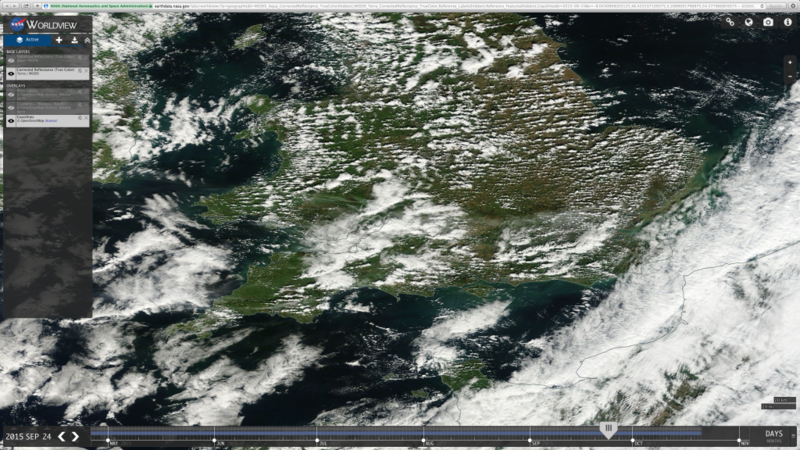 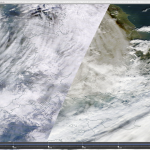 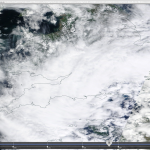 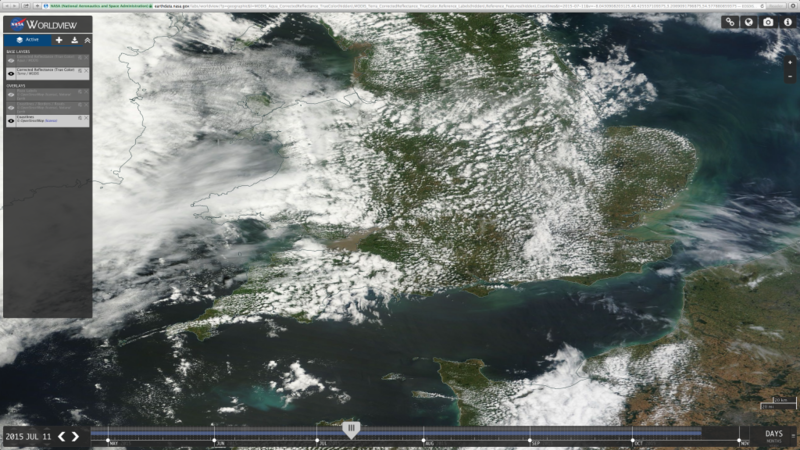 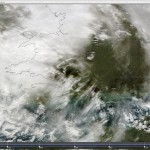 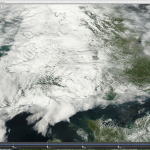 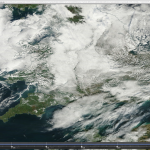 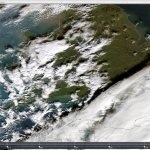 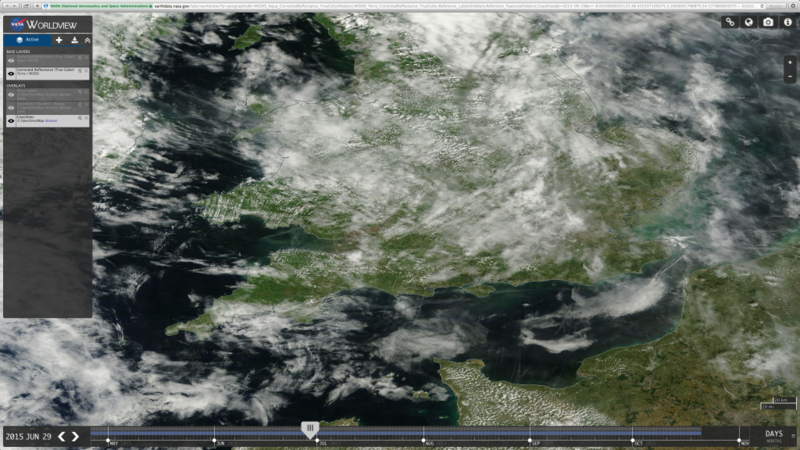 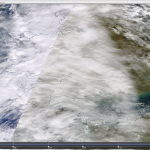 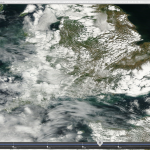 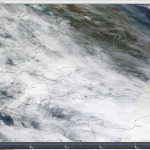 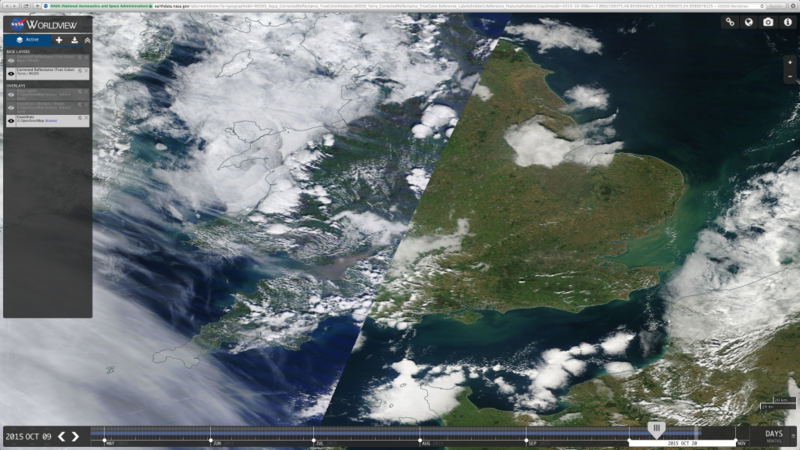 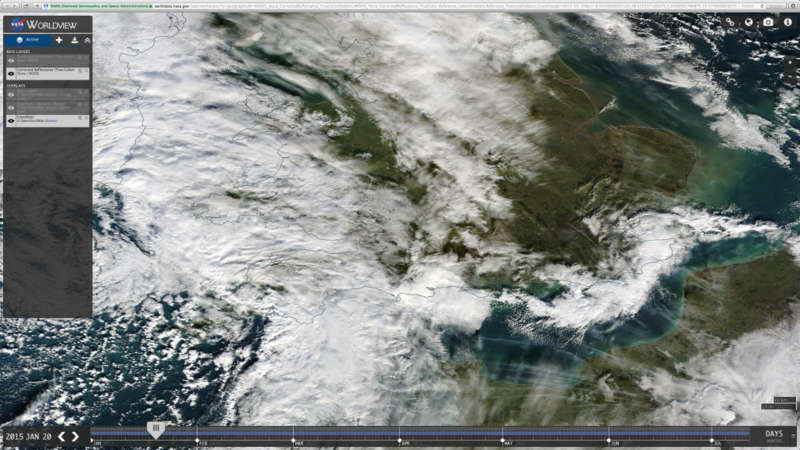 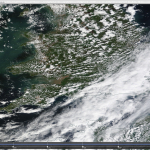 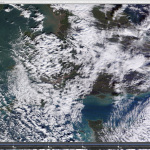 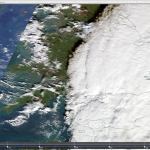 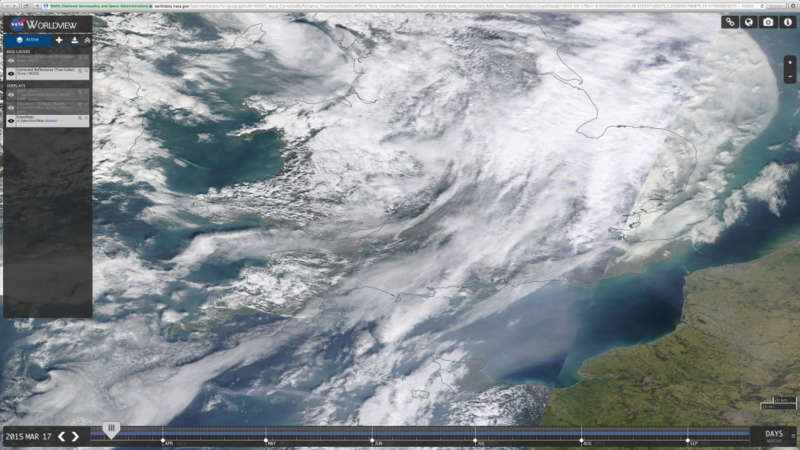 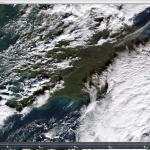 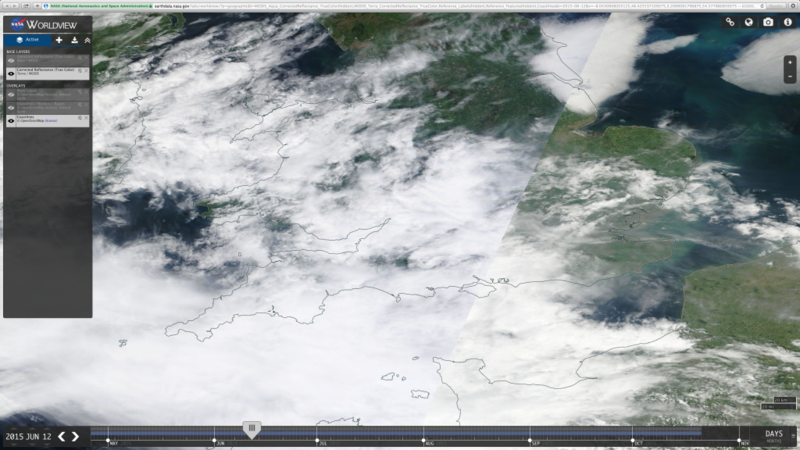 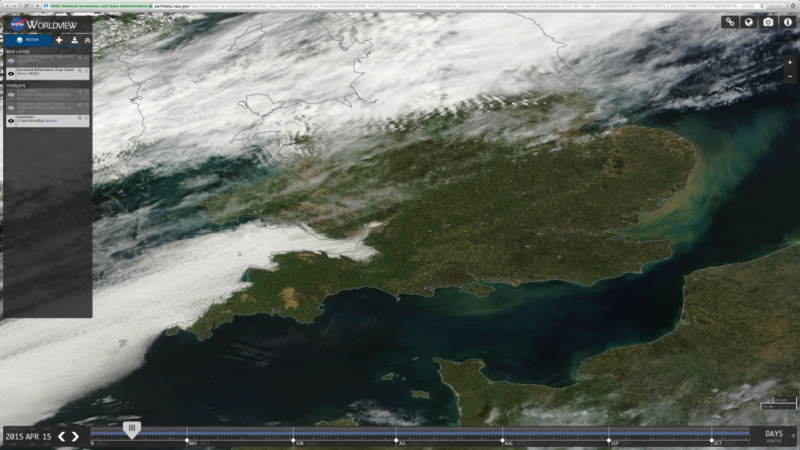 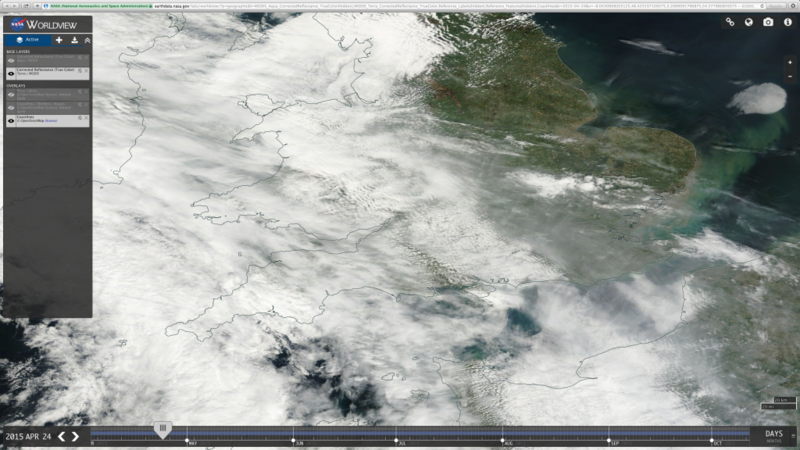 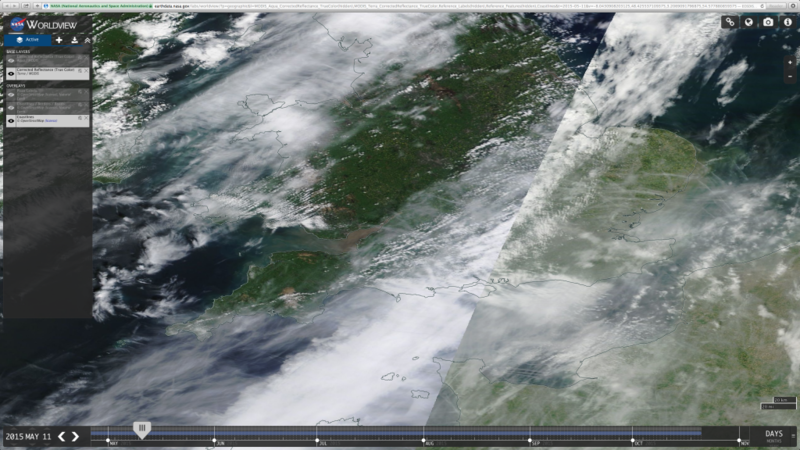 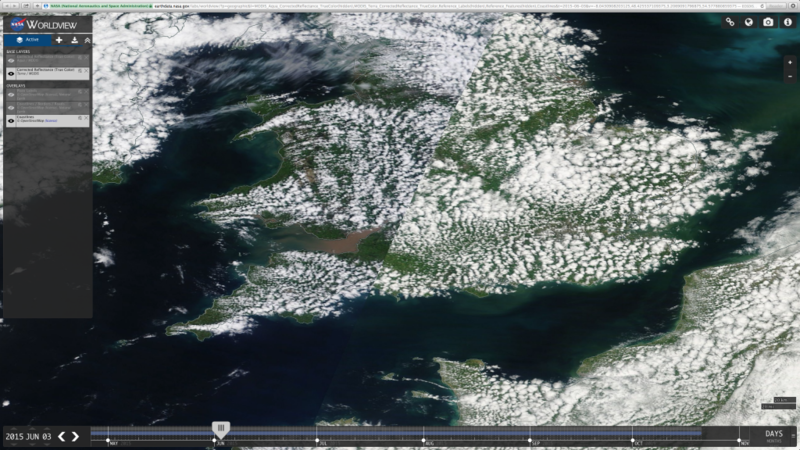 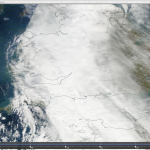 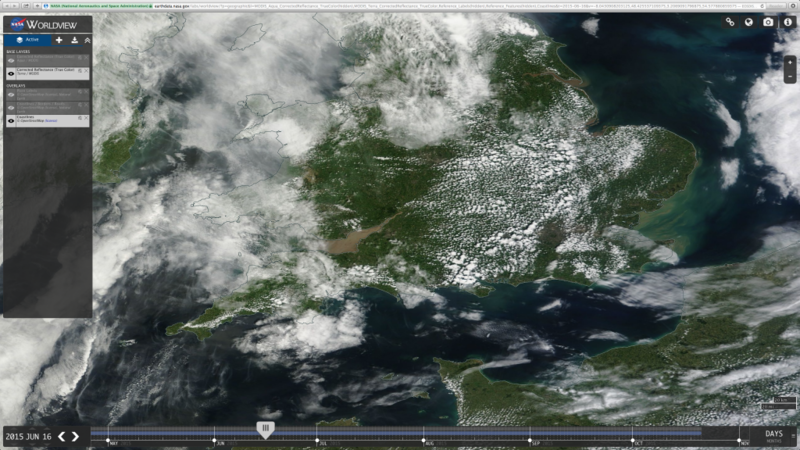 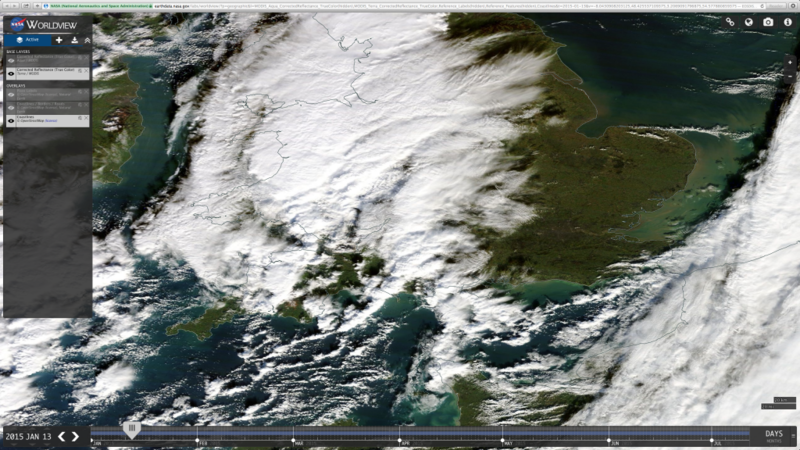 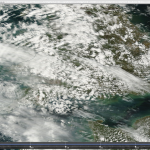 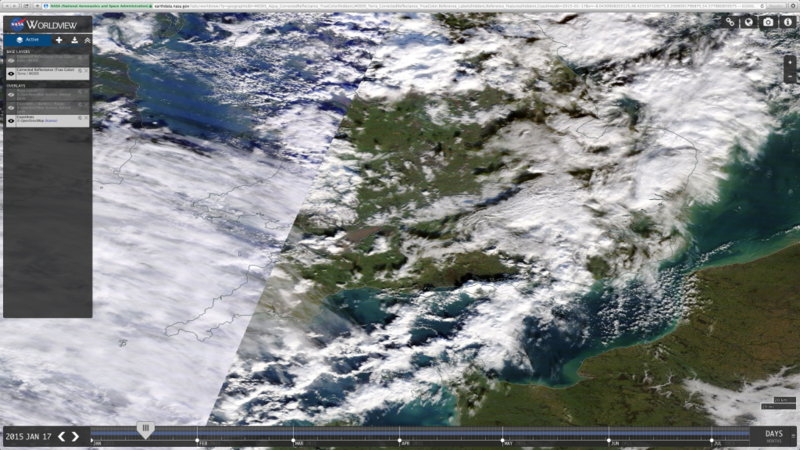 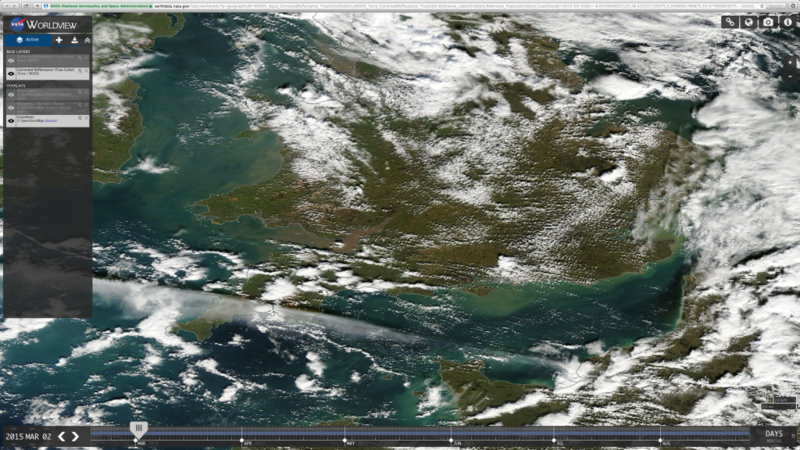 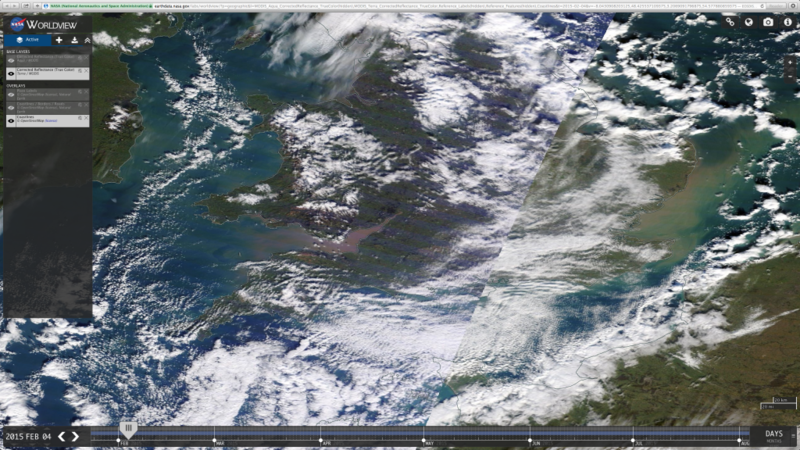 Below we have compiled a gallery of the sky over England from the Worldview satellite. 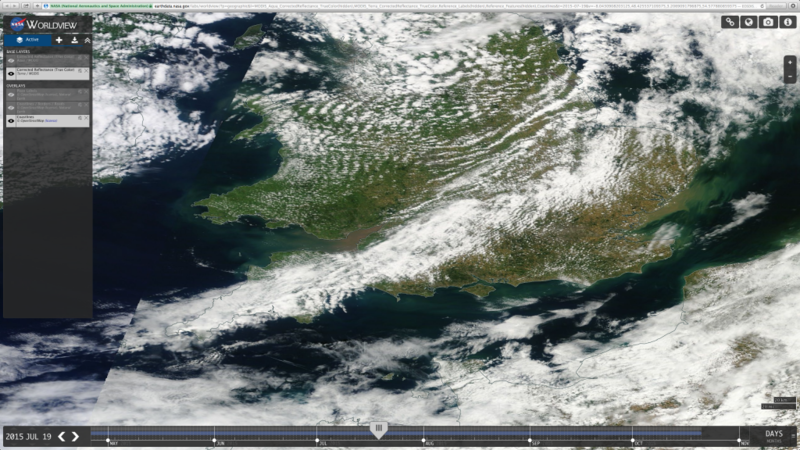 The gallery runs for the entire year so far until 20th October, but will be updated for the rest of the year as we proceed. 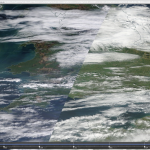 The images give a very clear picture of what is really going on above our heads as oppose to the sanitised MET Office/BBC view that we see on television. 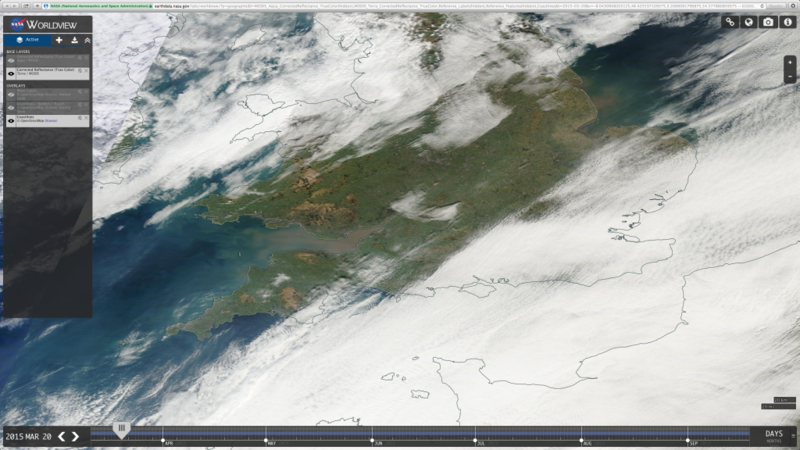 What becomes abundantly clear very quickly is how few days there have been this year with a clear sky. 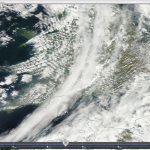 Almost every day is dominated either by spreading trails from aircraft, or, as has been the case increasingly in the past 2 years as the organisations behind the Climate Engineering programs try to hide their activity, induced Cumulus. 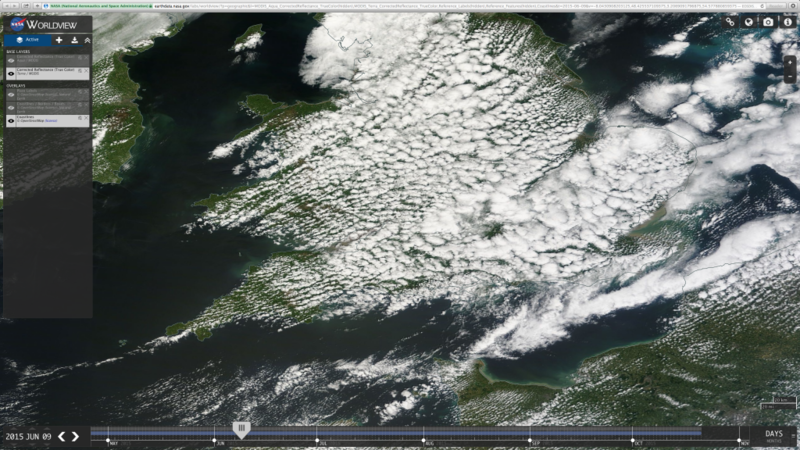 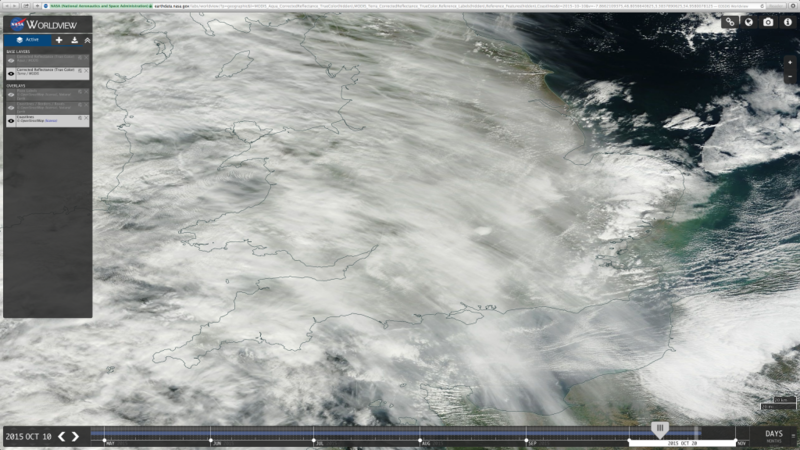 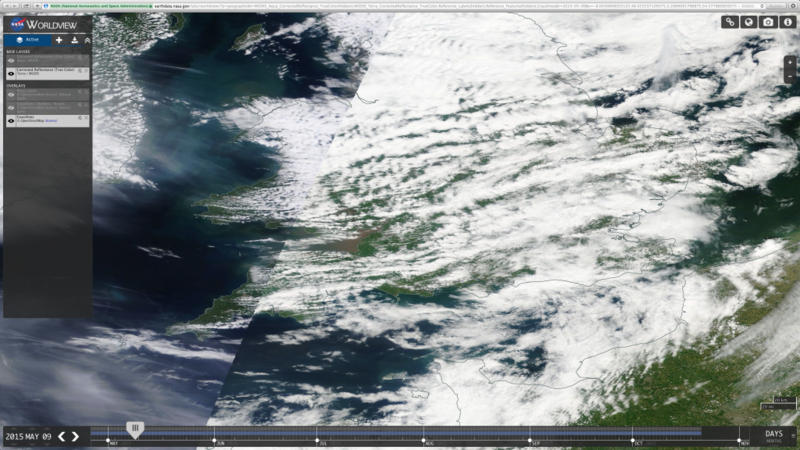 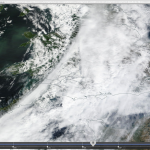 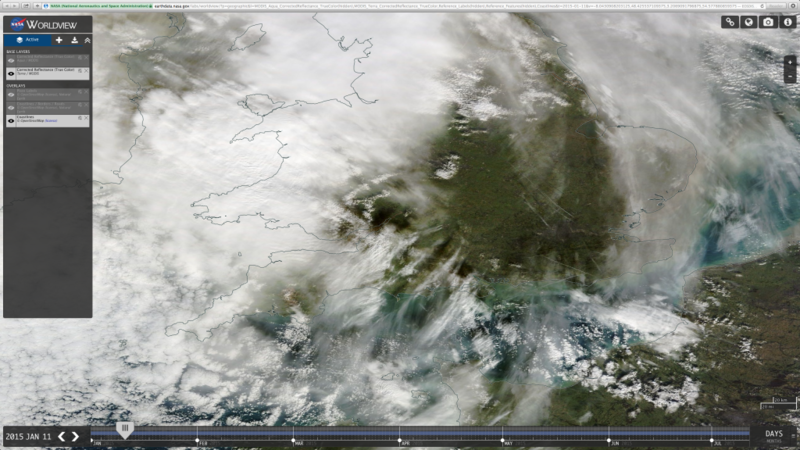 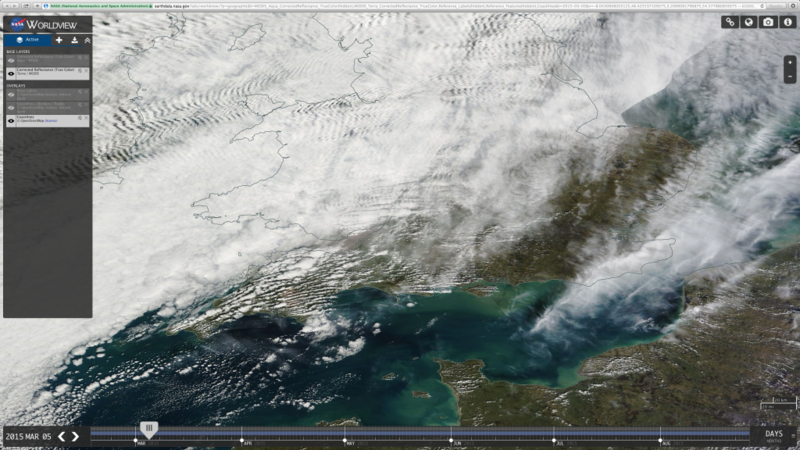 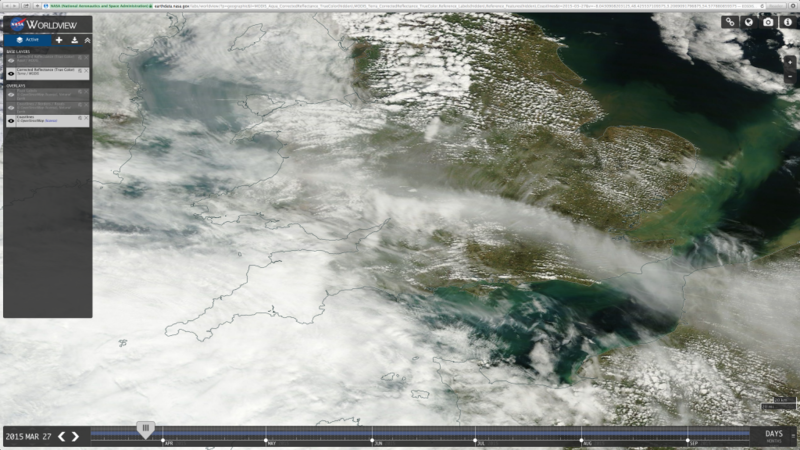 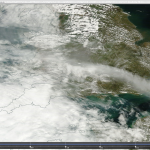 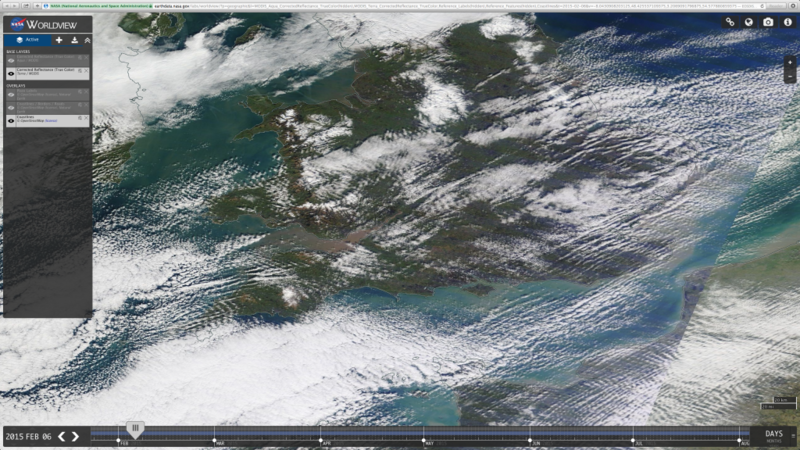 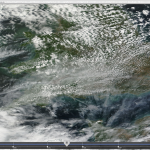 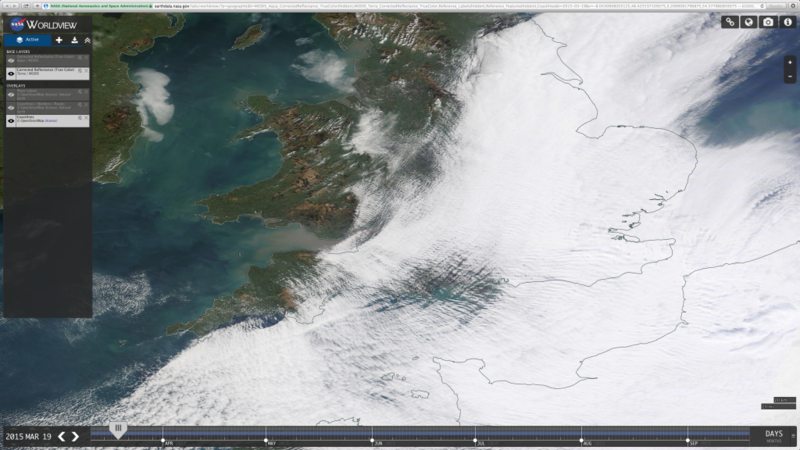 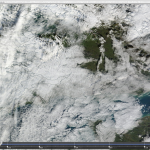 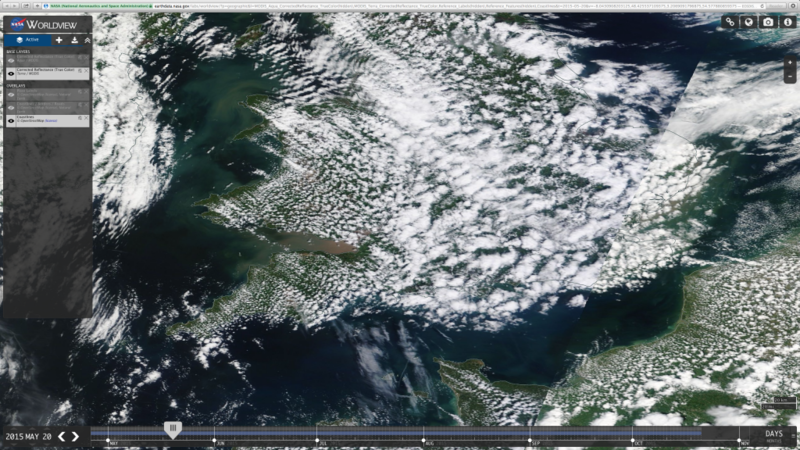 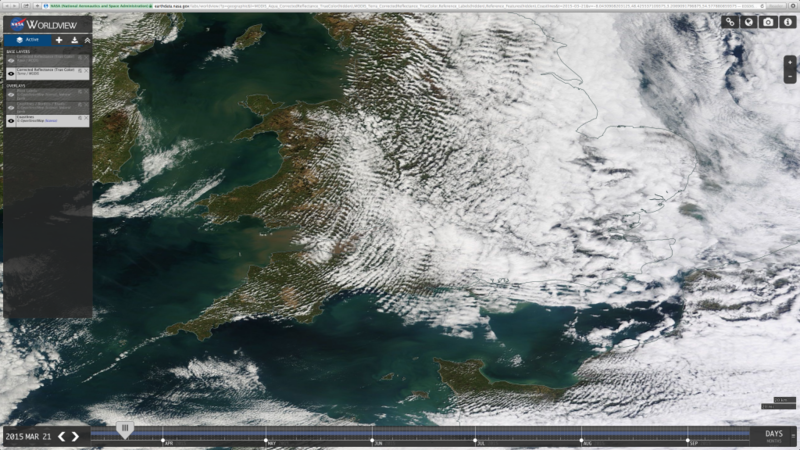 Induced Cumulus is formed from the tiny fibres sprayed by aircraft on a daily basis over the UK. 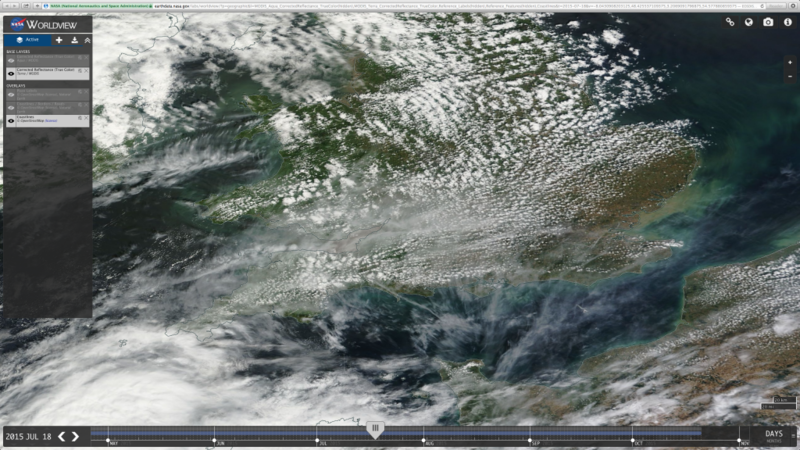 They seem to allow these clouds to form first nowadays, and then spray heavily above them, so the activity of the persistent spreading trails is hidden to a large extent. 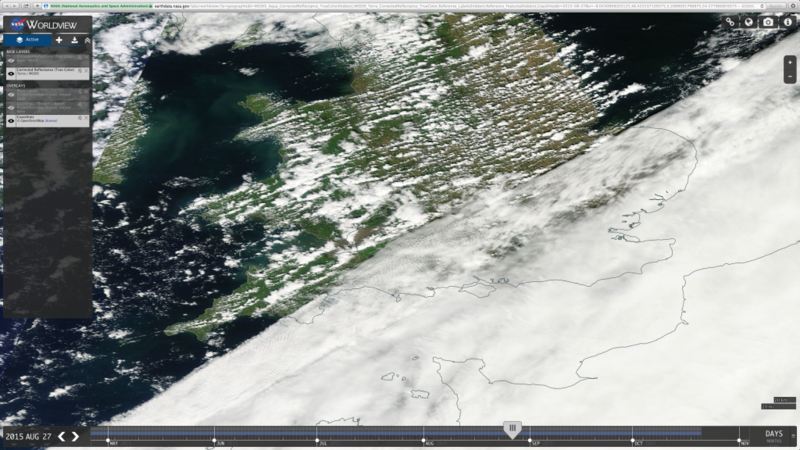 People are realising in increasing number now that aircraft are not supposed to make clouds, so the spreading trails are a really obvious giveaway now that Climate Engineering programs are underway on a daily basis. 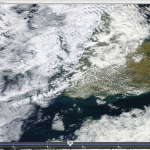 As a result every effort is now made to keep the amount of persistent spreading trails to a minimum until the induced Cumulus has developed sufficiently. 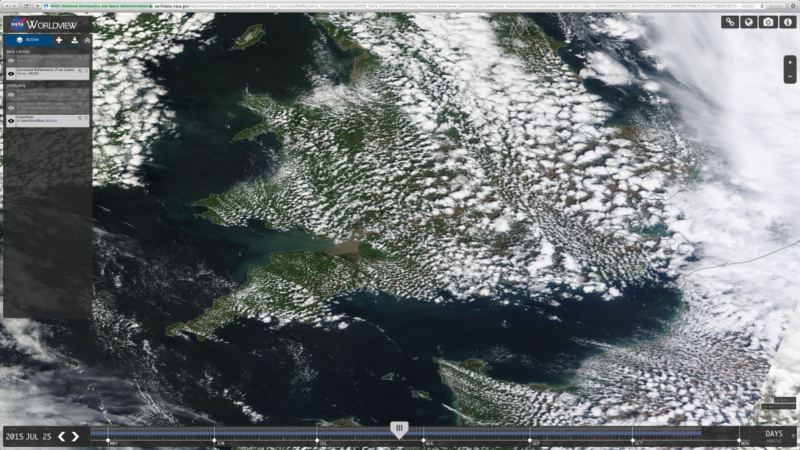 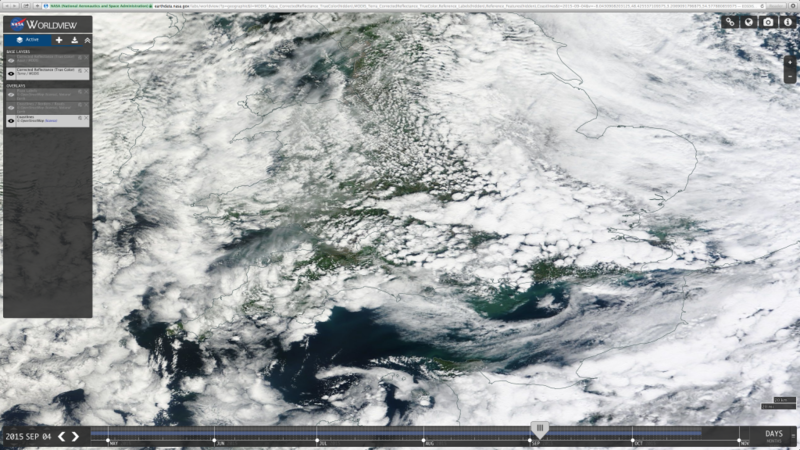 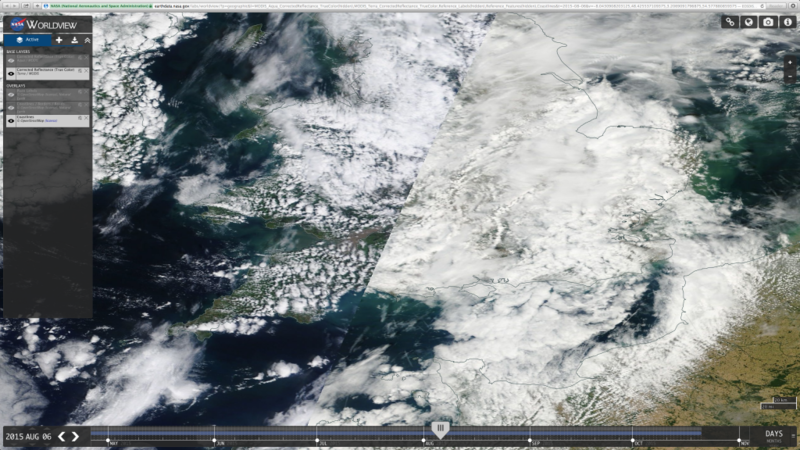 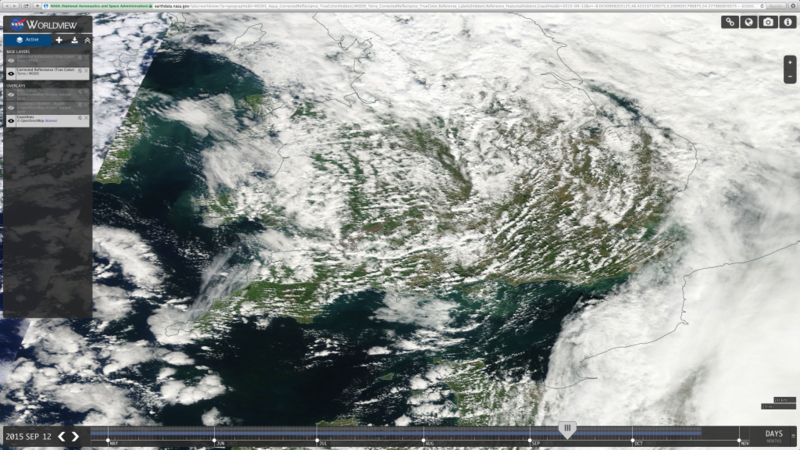 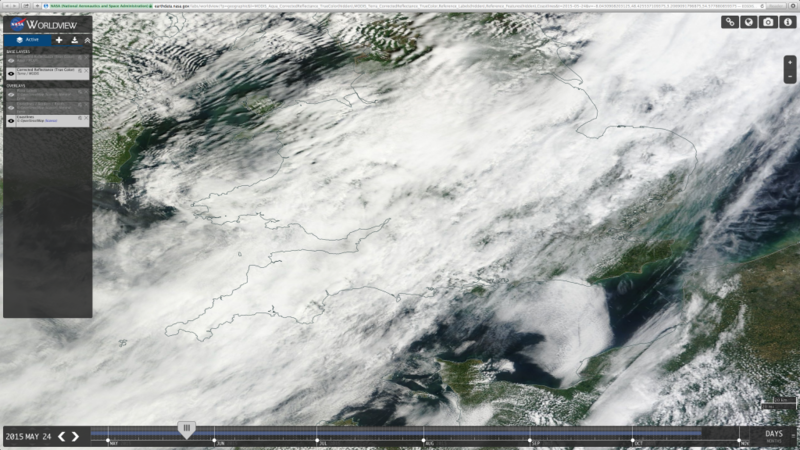 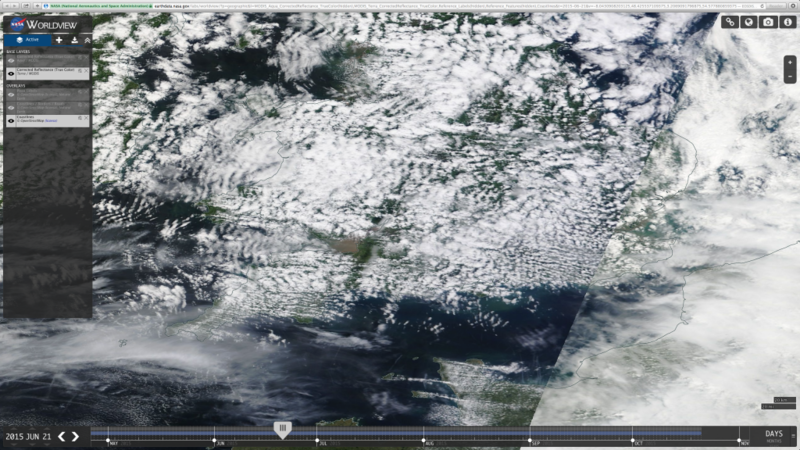 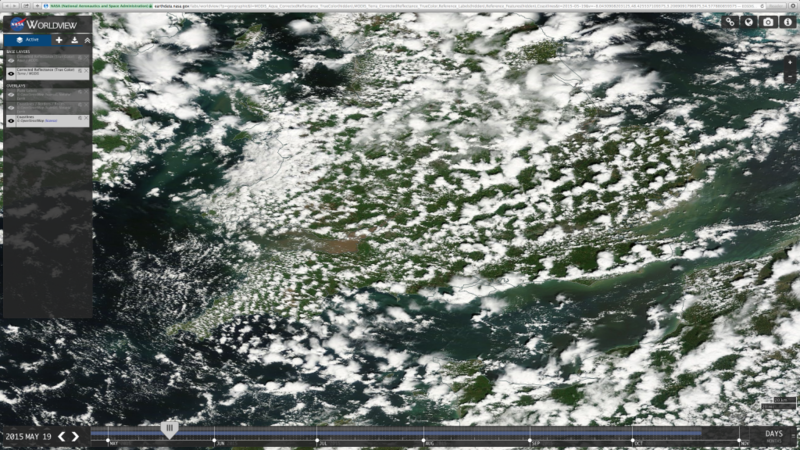 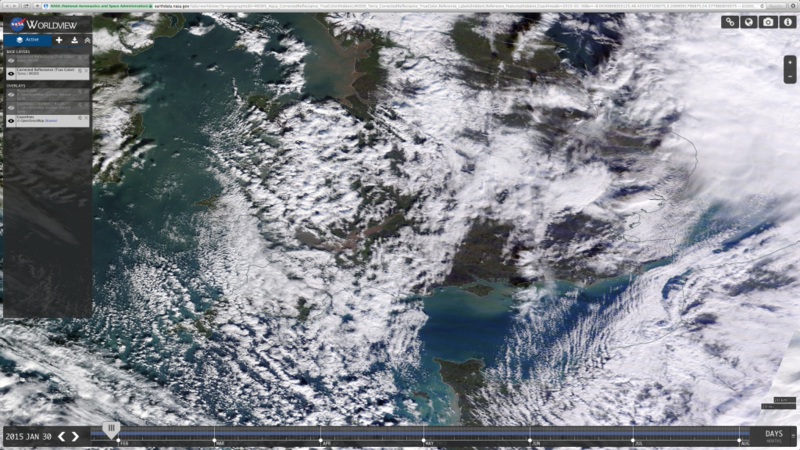 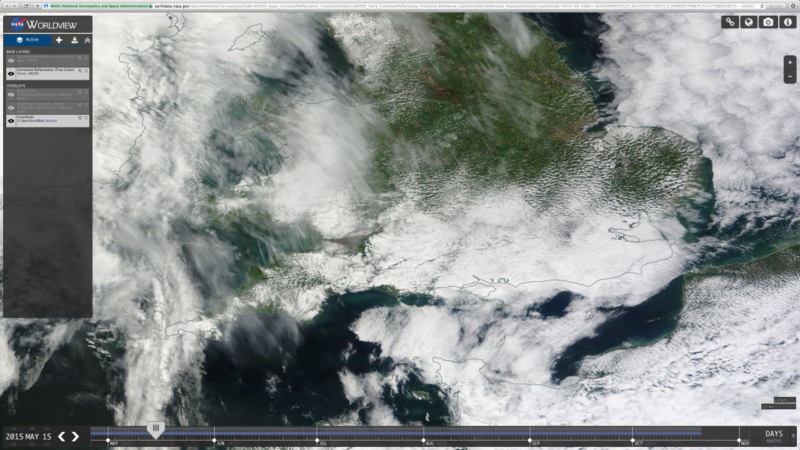 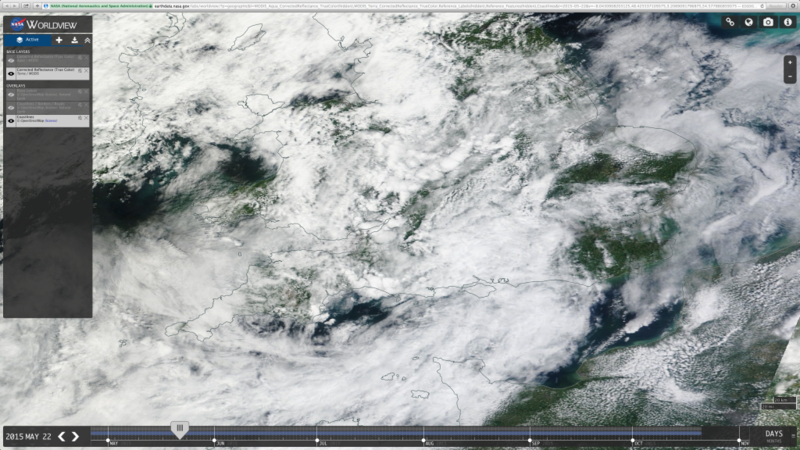 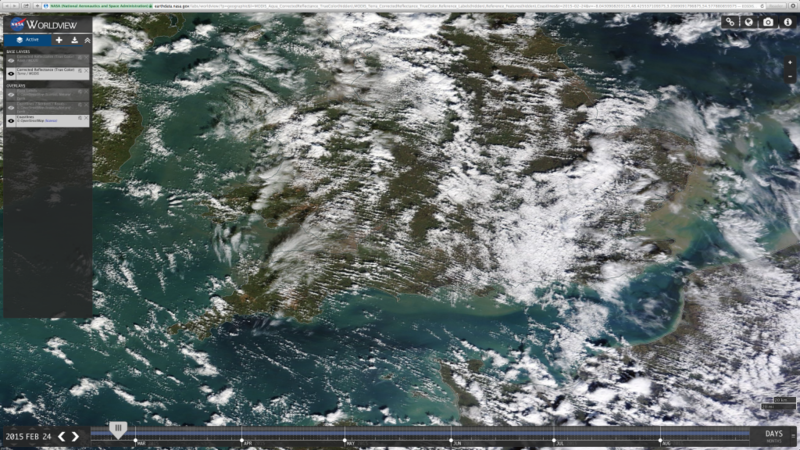 Another thing that is very clear in this series of images is the regular patterns of the induced Cumulus. 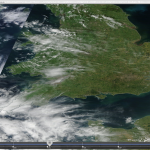 We have reported now for some time that they seem to form in long lines (gallery coming here soon), and also that they never seem to form at sea, only on land. 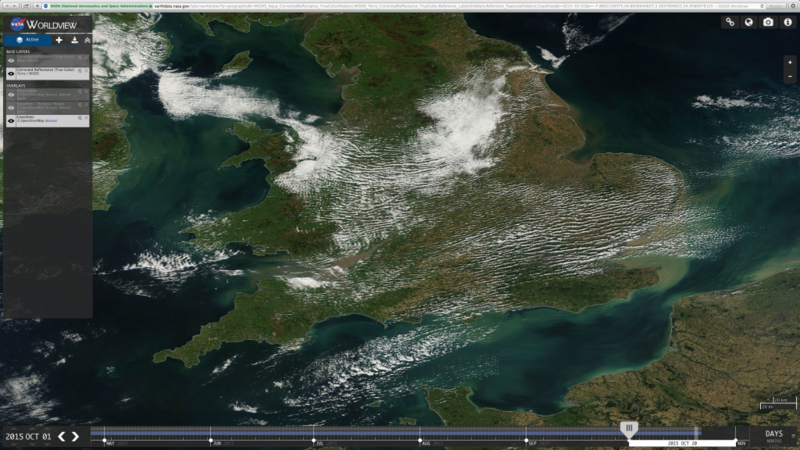 In deed this phenomena is so clear in these images that we have no hesitation now in putting forward our previously tenuous theory that these types of induced clouds form partly as a result of some land-based system. 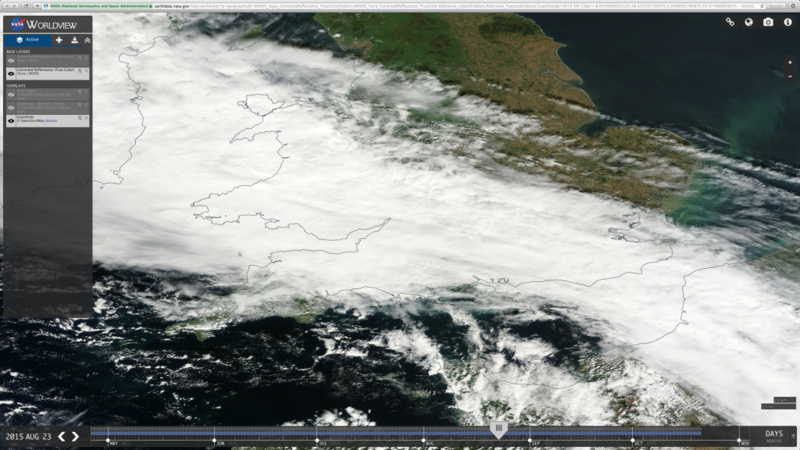 We don’t have more detailed information on that system yet, but we are looking into this at the moment, suffice to say that when we see a particular type of cloud hugging the coastline, irrespective of time, temperature, season or any other variable, we can be sure that this is not a natural cloud at all. 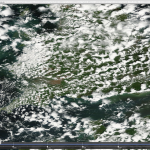 We do suspect that moisture levels may be relevant but apart form that they are simply a product of tiny plastic fibres and some form of land-based RF or EMF system, probably incorporated into the cellphone tower network. 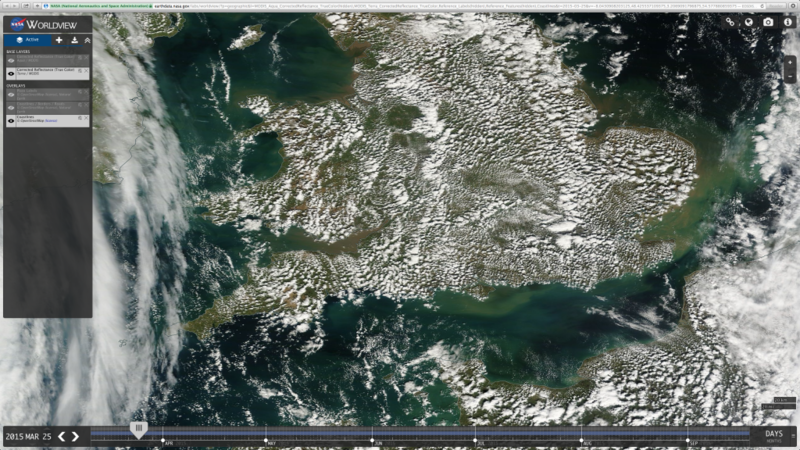 More on this soon, but for now marvel at the gallery. 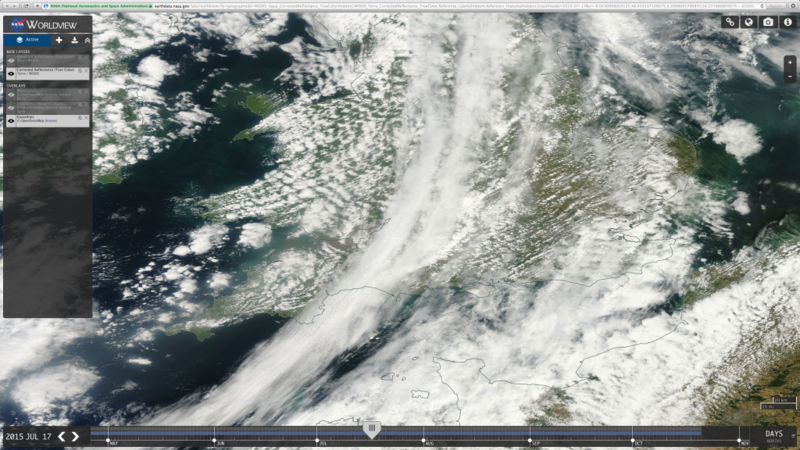 Last but not least we see many skies dominated by long spread out persistent trails at all stages of spreading. 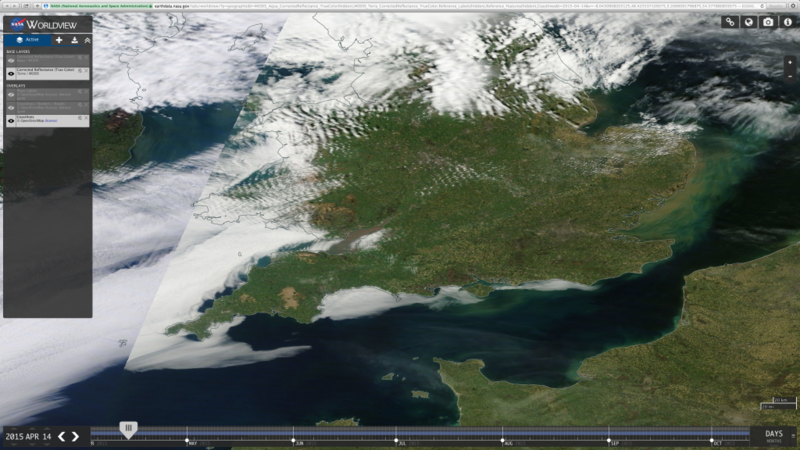 They form huge banks of what can only be described as a thin cloud layer or simply a layer of haze. 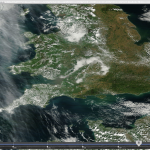 These are very obviously from aircraft and there is no disputing this, so we have conclusive proof here that trails from aircraft are spreading out in our skies on a regular basis to form huge cloud banks. 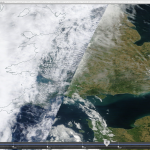 The MET Office will not admit this is happening for fear of having to explain it, but you can’t argue with this now that we have a daily diary showing that is the case on many days over the UK at least. 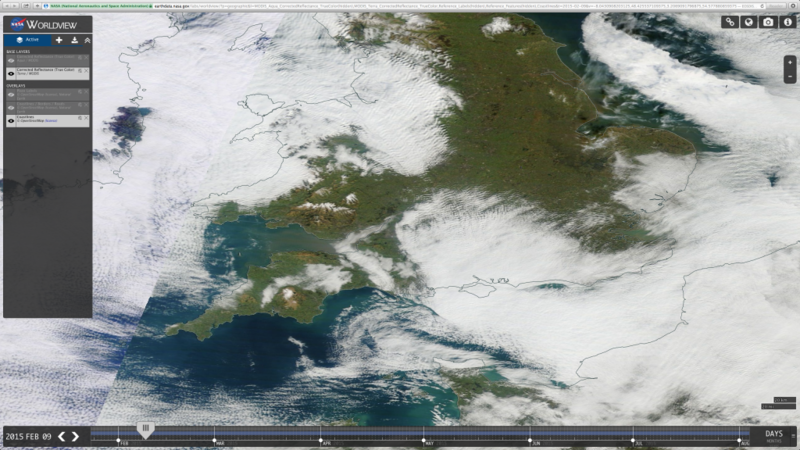 To summarise, it seems that this year we have had only a handful of truly clear skies. 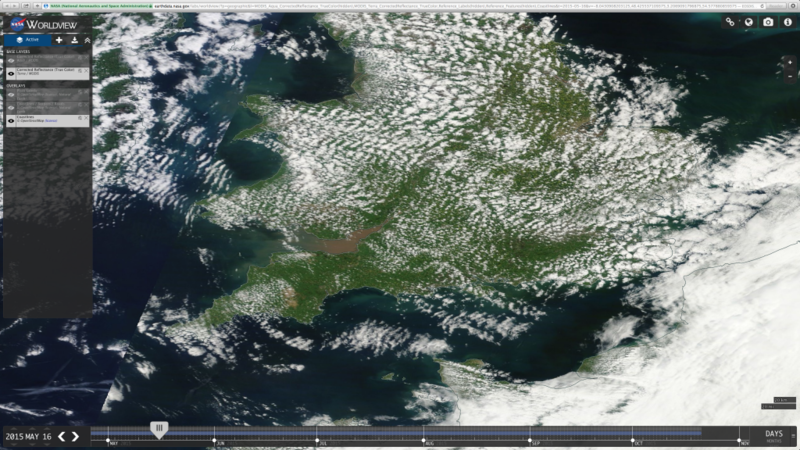 On days when there is cloud cover it is almost entirely either induced Cumulus, spreading trails forming haze or bobbly cloud*. 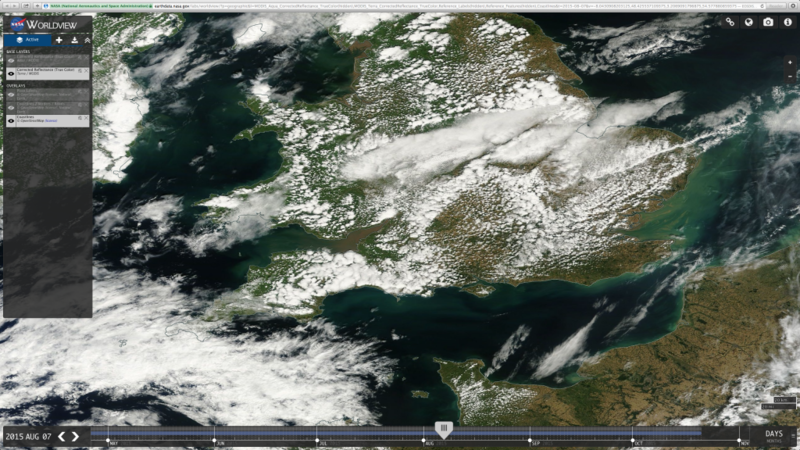 There seems to be almost no naturally occurring cloud in our skies. 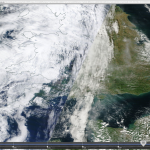 That is a travesty and brings home the extent to which our weather is being manipulated and indeed the extent to which we are being lied to by the organisation that know full well what is unfolding in our skies. 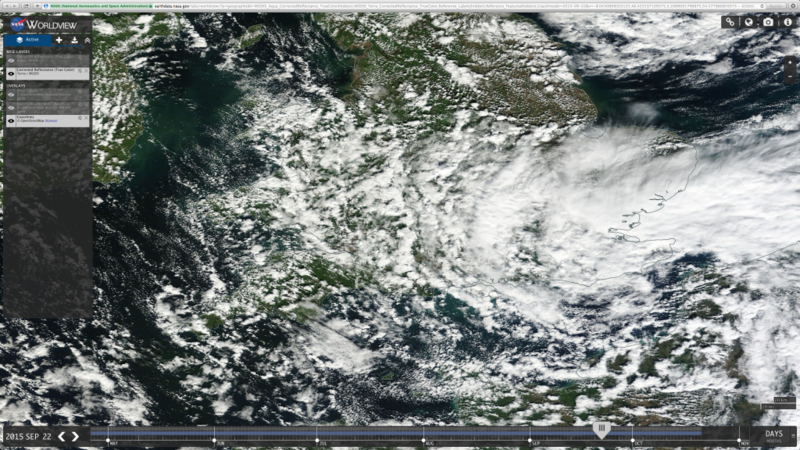 If you are still unconvinced after viewing this gallery then you really are trying very hard not to accept the bitter reality. 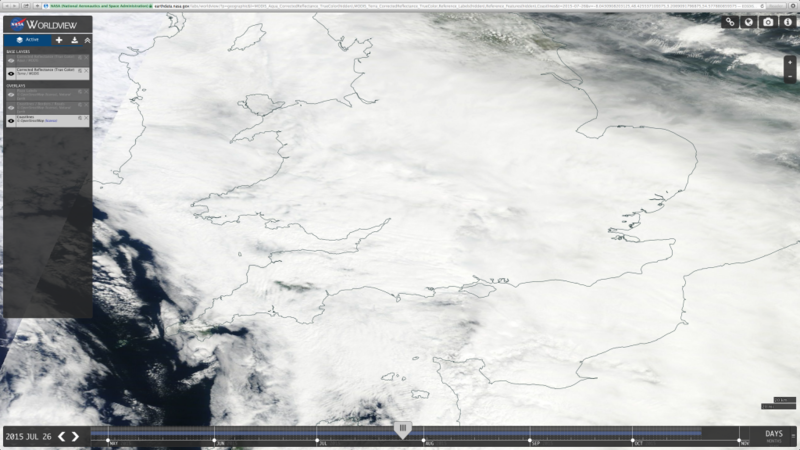 Sorry to spoil you illusion but this really is happening and it really is this big and this serious.